Islands of Italy Mostly Sicily Sardinia, too. Sicily has made a modest splash in the wine market over the past 10 to 20 years. When we were young, the calling card for Sicily was the wine of Marsala and these were, for the most part, relegated to use in the kitchen. 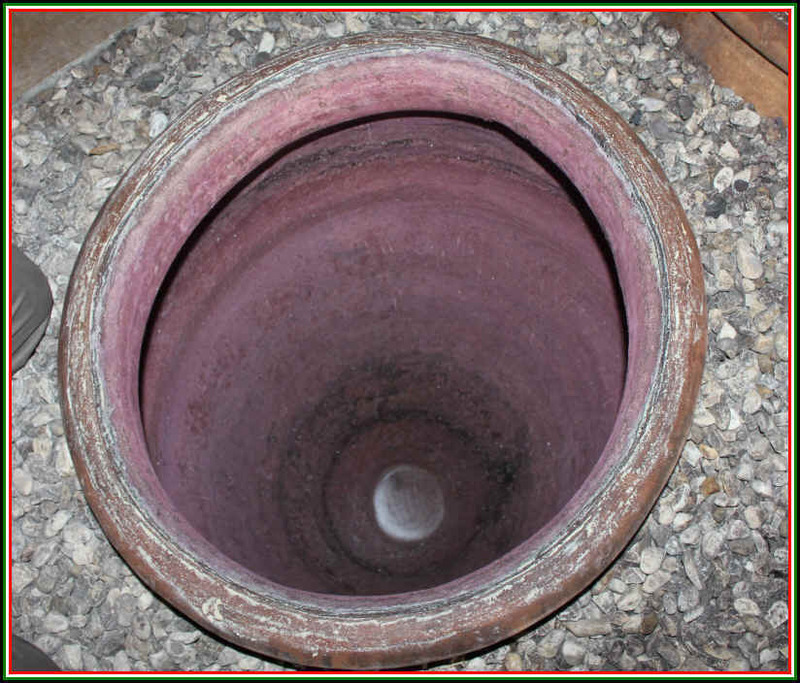 It was a wine used to deglaze the pan for Veal or Chicken dishes. Or it was used to make Zabaione. 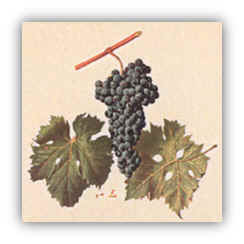 The name Marsala was bastardized by large California wineries. Today, for example, Constellation Brands offers cheap, fortified wines called Marsala under the labels of Cribari, Paul Masson and Taylor (from New York State!). These have little to do with real Sicilian Marsala, but frugal restaurateurs provide the largest segment of the market for these wines in the U.S.
For table wines being sold in bottle, the wine called Corvo was perhaps the "Blue Nun" or "Mouton Cadet" of Sicily. It was a modest quality wine with an easy-to-pronounce name and a relatively low price. The owners of that brand are trying to resurrect it today, but it's not on the radar of most wine consumers. It's been said that today Sicily makes more wine than all of New Zealand. This is a remarkable concept. We wonder if many shops carry more wines from Sicily or more from New Zealand...??? Most of the wine produced in Sicily was sold in bulk to winemakers in cool climate regions and places where the sun doesn't shine so reliably brightly. Wine was put into tankers and shipped to less sunny climes where vino Siciliano could "fortify" other wines. It's been said, for example, that there was demand in Piemonte for some of the Nerello Mascalese wines from Etna was purchased in bulk to add to Barolo and Barbaresco wines. 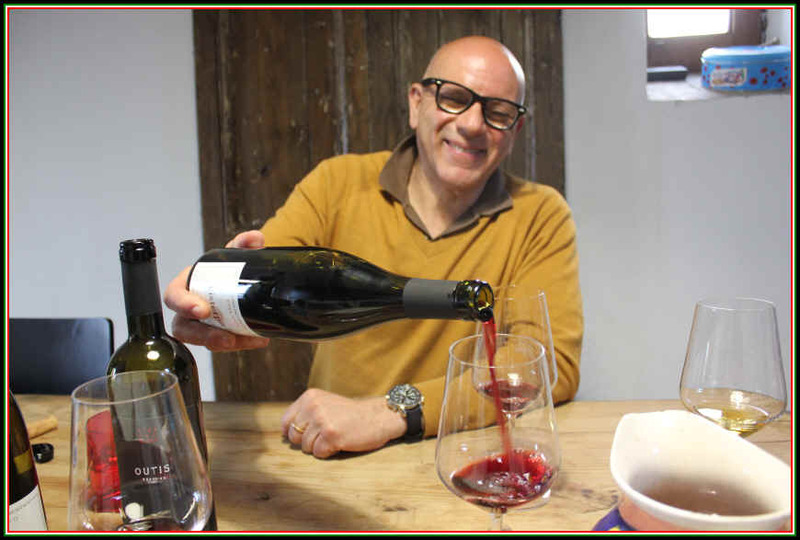 British wine expert Tim Atkins recently posted an article on Sicily and claims that only 20% of the wine produced there is actually sold in bottles. And Sicily is maybe the fourth largest wine-producing region in Italy behind Puglia, the Veneto and Emilia-Romagna. For the 2016 vintage, we see that 58% of the wine made in Sicily is white, the other 42% is rosato and red wine. This is a big change as red production, thanks to Nero d'Avola and Etna Rosso wines is on the rise. Information from the 2010 census on Italian grapes shows the plantings of Cataratto to be down 46% from the 2000 census, while Nero d'Avola jumped by 31%. But it seems there's less land devoted to vineyards today than, say, 20+ years ago. 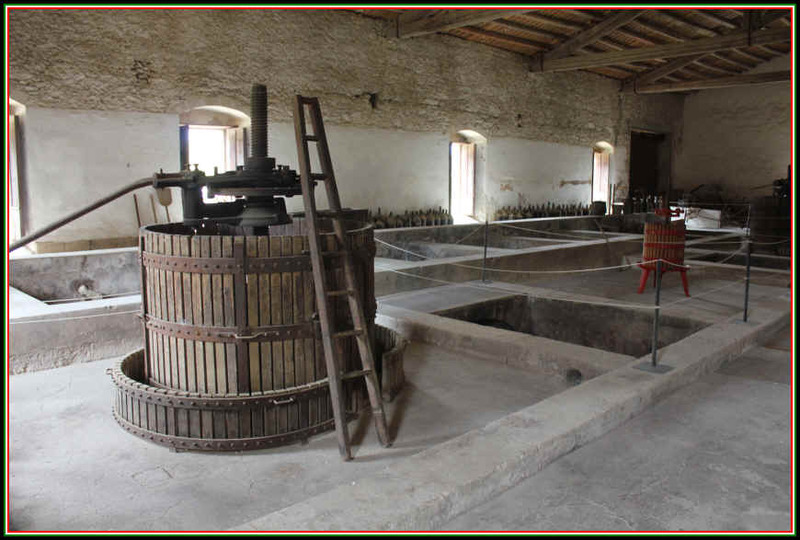 Back then there was plenty of "industrial" winemaking and catering to bulk buyers. These days, thankfully, there are many more artisan, quality-driven producers and Sicilian wines are quite in vogue these days. 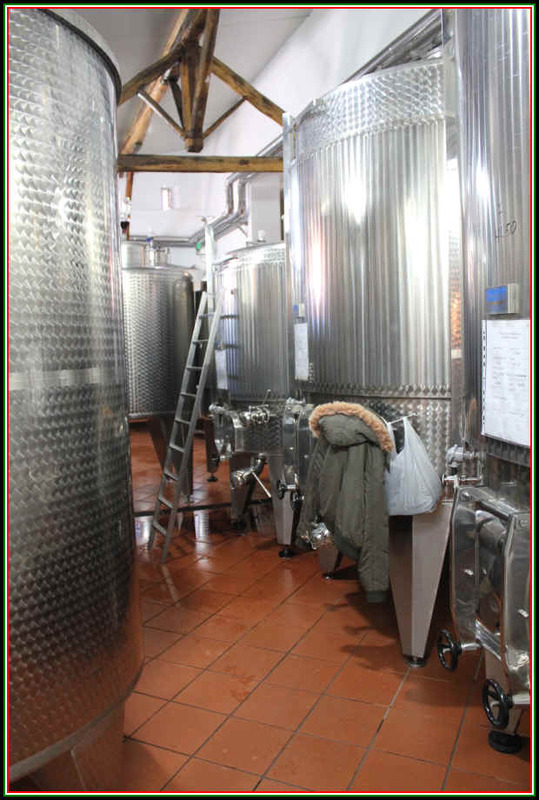 There was, and is, a large grower's cooperative winery called Settesoli. 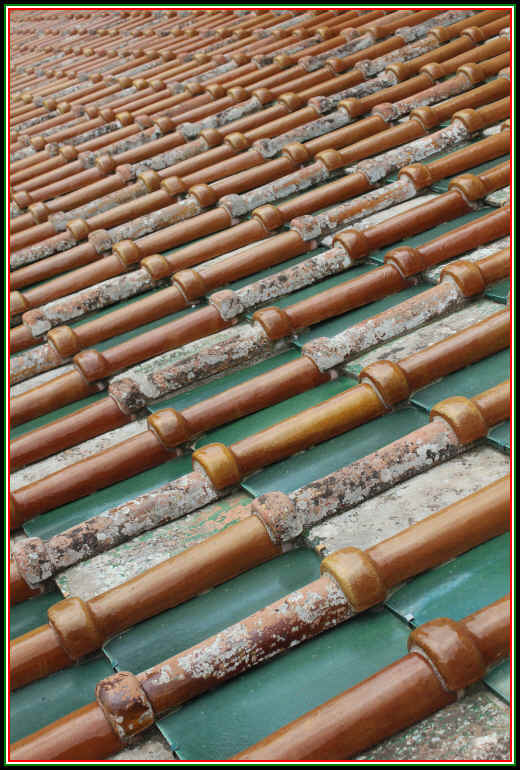 It's located about 40 miles east of Marsala and about 40-something miles south and a bit west of Palermo. The co-op was founded in the 1950s. In the 1970s the head of the organization was the son of a founding member, Diego Planeta. 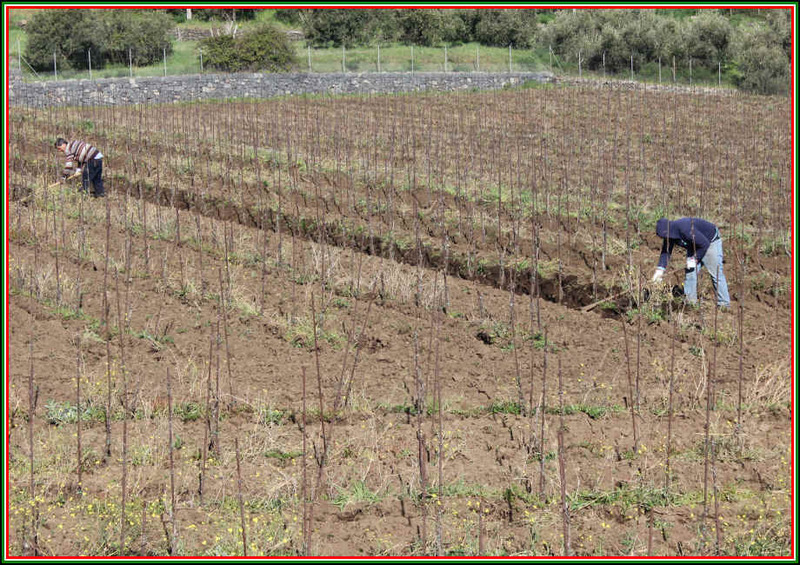 He had some brilliant ideas for putting Sicily on the map, so-to-speak and these included planting "international" grape varieties to show the world what could be made. Many growers thought Planeta to be out of his mind, but it turns out he was crazy like a fox. The members of the co-op were encouraged to plant grapes such as Cabernet and Chardonnay. In doing so, they were shown how these varieties were cultivated in wine regions with a history of quality production, something a bit foreign to farmers who grew grapes for quantity and abundant yields, not for quality fruit. This ended up changing the face of Sicilian wine production. Planeta then planted his own vineyards with both international and locally indigenous varieties. He launched his winery in 1995 and it's grown from a small sapling into a small forest. 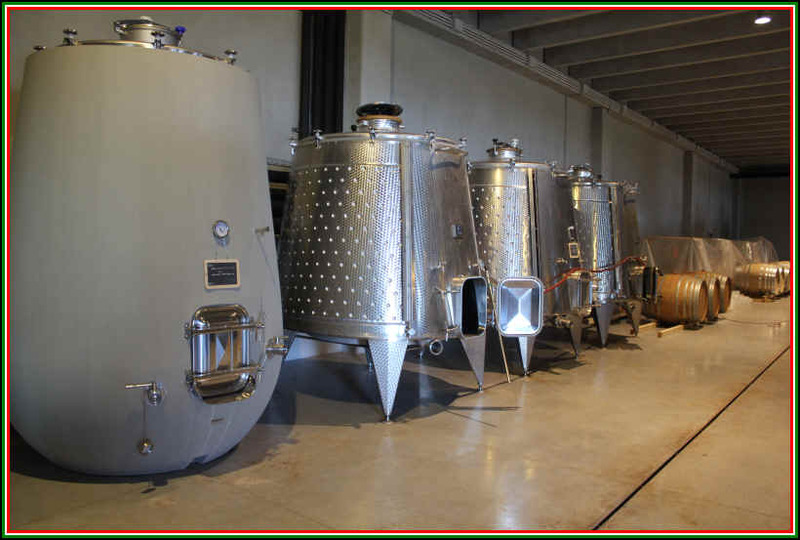 They have 370+ hectares of vineyards and produce north of two million bottles annually. The Planeta Empire is now comprised of five wineries in various locations and they make some really good wines. There's a similar story concerning the famed Rallo family whose roots are in Marsala. 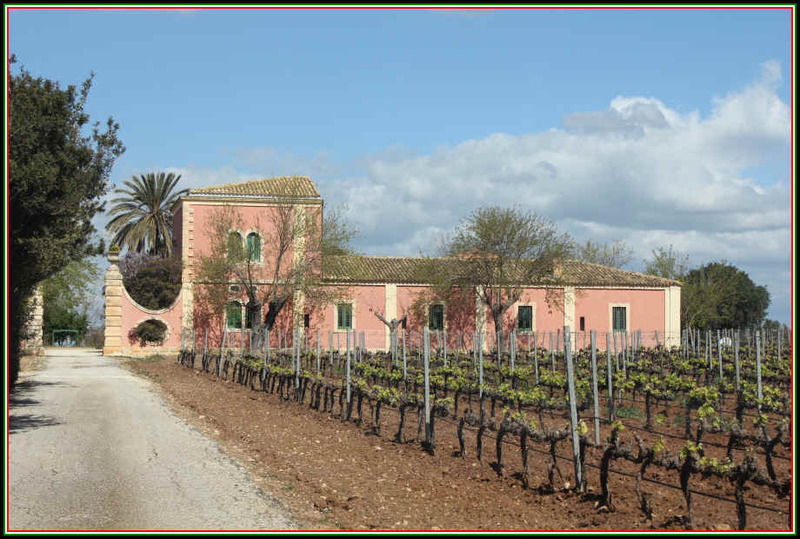 In 1983 Giuseppe and Gabriella Rallo launched the winery called Donnafugata which is now run by their children, daughter Jos� and son Antonio. They dabble with international varieties and this brought a lot of attention to their wines. You'll find they make a Chardonnay and have some wines incorporating Cabernet, Merlot, Tannat, Petit Verdot and Syrah. Happily, they do make wines from local varieties, too. 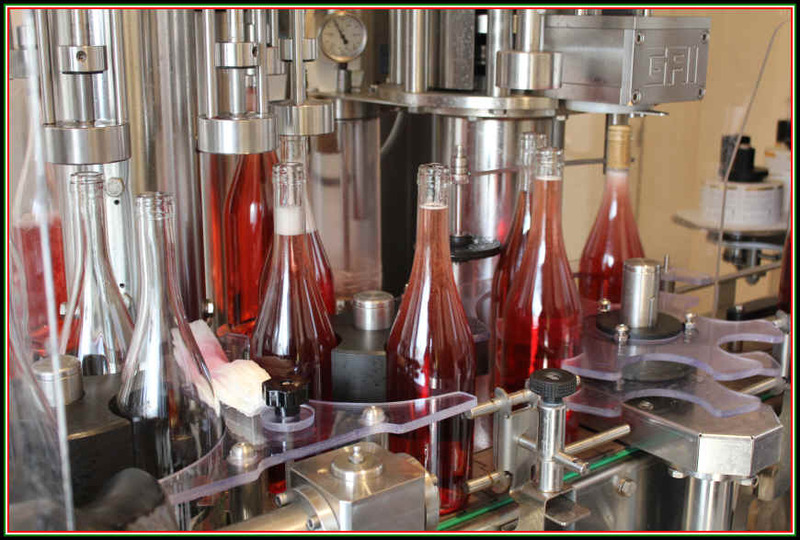 Jos� Rallo has credited their production of international varieties with bringing world-wide attention to their Donnafugata wines. She has said this also helped them to better understand their historical grapes, thus improving the quality of their wines. Today, by the way, that Settesoli co-op farms something like 6,000 hectares of vineyards and they make about 24-million bottles of wine annually! 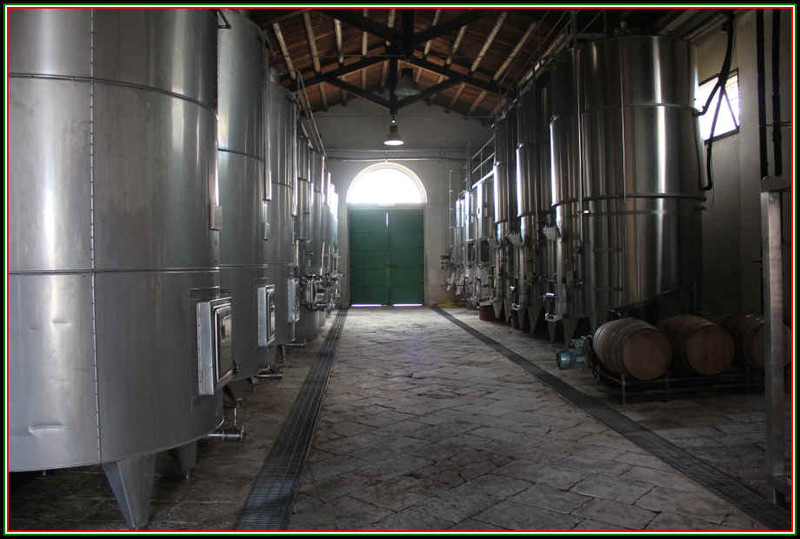 It's the largest winery in Sicily and we've read that in the area of Menfi, something like 70% of the 5,000 families living there are affiliated in some form or another with this mammoth wine producer. 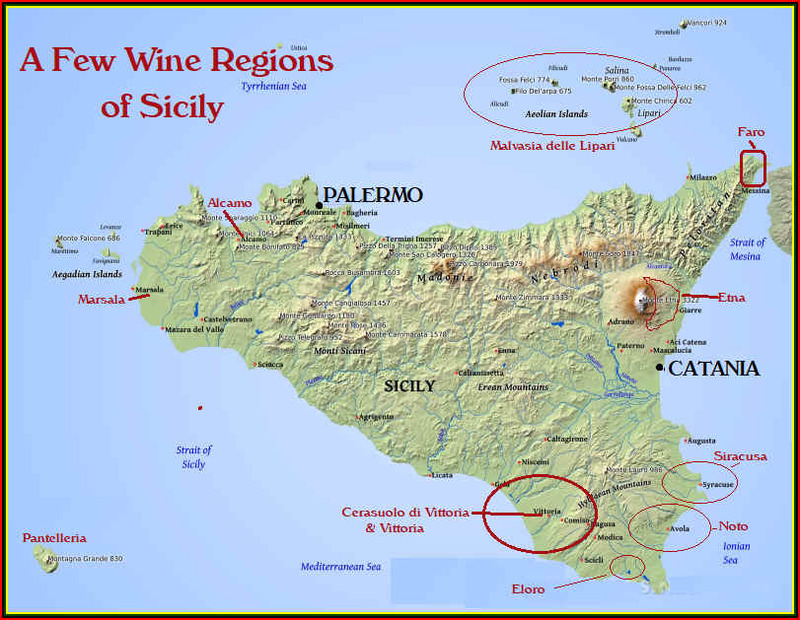 This map highlights just a few of Sicily's wines regions. 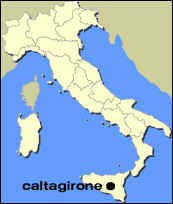 Palermo and Catania are two major cities and they both have airports connecting to Rome and the rest of the world. As of 2017, though, we found Sicily to still be a bit isolated. It's not simple getting there from many places in and around Europe. Rome is a major connection, however. 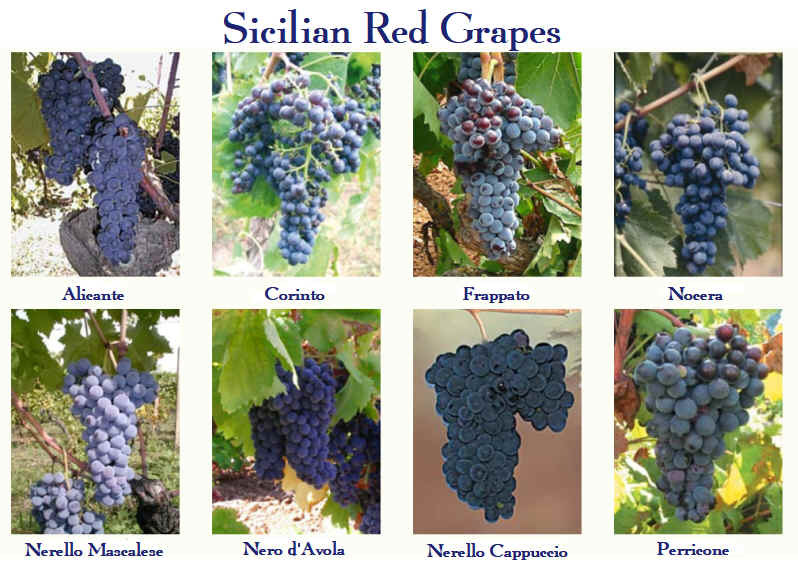 There are numerous indigenous grapes in Sicily and you can find all sorts of other "foreign" varieties in the region today. 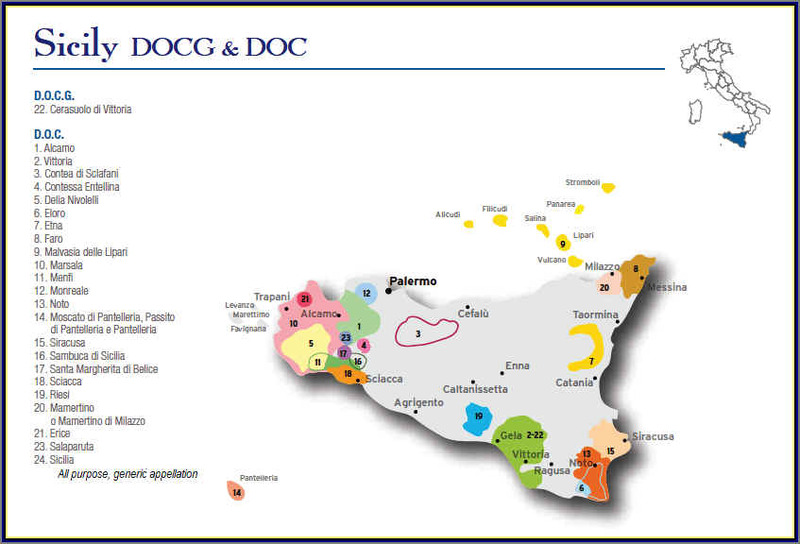 There is but one DOCG in Sicily and a bunch of DOC designations. 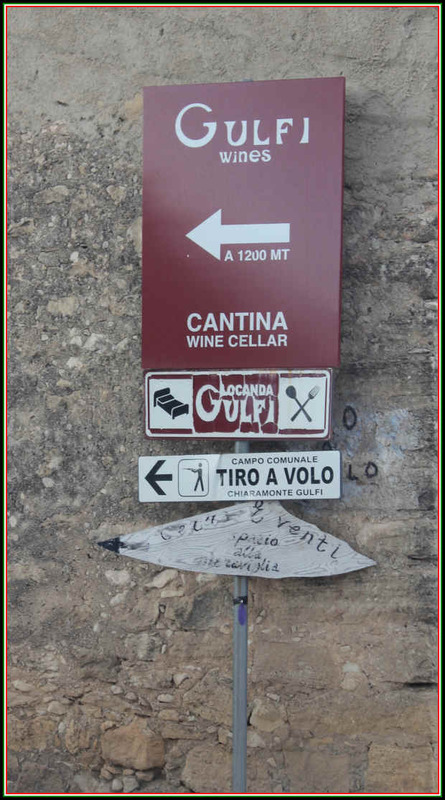 Just to point out how easy it is to be confused about Sicilian wine in particular and Italian wine in general, we found this document (October 2017) by an agency which allegedly helps educate the world about vini Italiani. It's called FEDERDOC and it's an organization representing approximately 90 Italian wine consortiums. 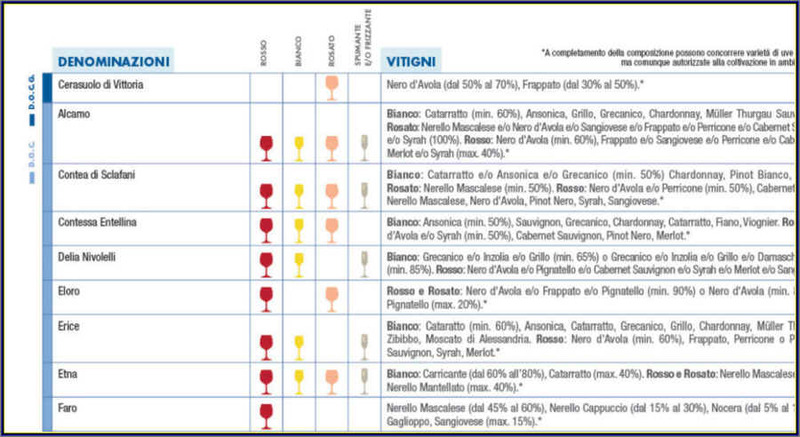 The lone DOCG in Sicily is listed at the top of this chart. 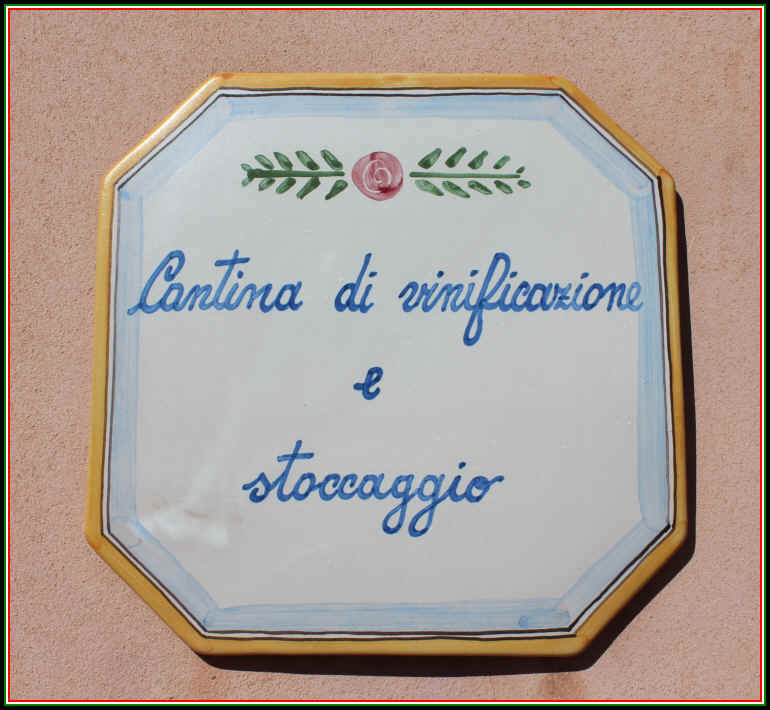 It's "Cerasuolo di Vittoria" and you'll notice they have an icon of a wine glass in the column for "Rosato" or pink wines. In fact, the DOCG applies solely to red wines which are a blend of Nero d'Avola and Frappato. 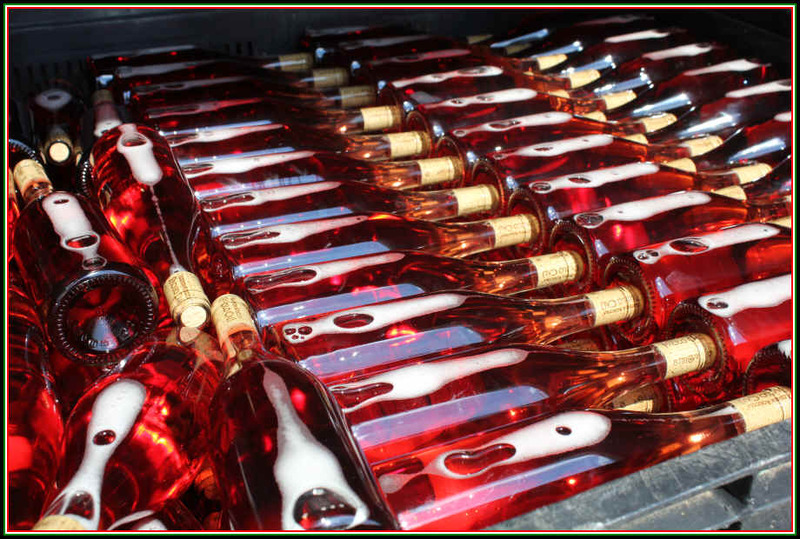 There is no DOCG for a pink wine labeled Cerasuolo di Vittoria. Perhaps someone creating that document confused "Cerasuolo d'Abruzzo," a pink wine made from the Montepulciano grape in the region of Abruzzo. 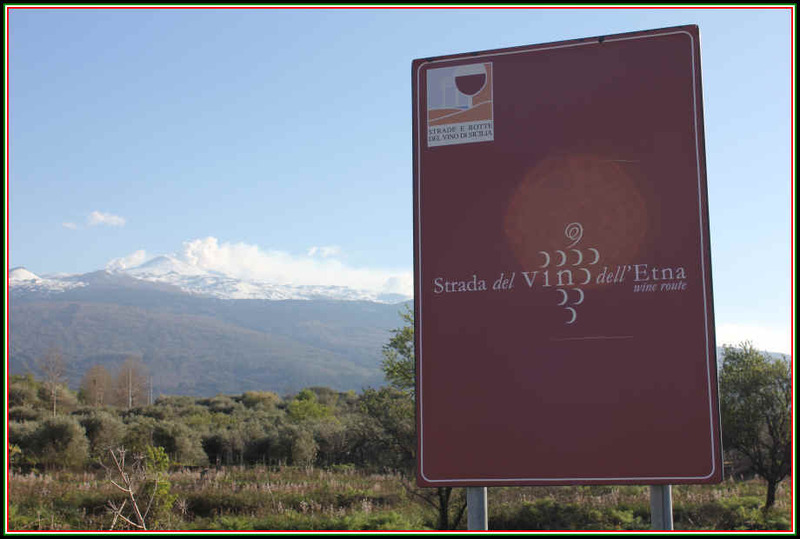 Sicily has a few grower's consortiums...there's one for Etna and one for the Cerasuolo di Vittoria. There's one for the wines of Monreale and other for Sclafani. 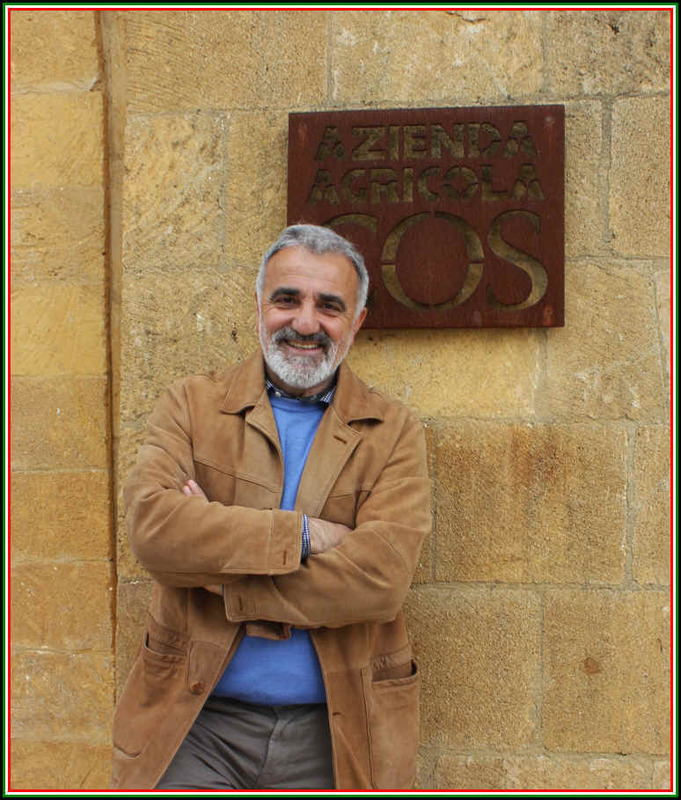 The main consorzio of Sicilian wines has a web site that is remarkably poor. It is merely for wine producers and assists, perhaps, in administrative issues and dealing with government bureaucracies. But there is no educational material for consumers. There's a Wines of Sicilia web site claiming to offer educational material. On a page called "Meet The Grapes" you won't find a word about Nerello Mascalese or Nerello Cappuccio. Carricante is missing as well, leading us to wonder if Etna is actually part of Sicily. Sicilian table wines, though, are now much more easily found than a decade ago. 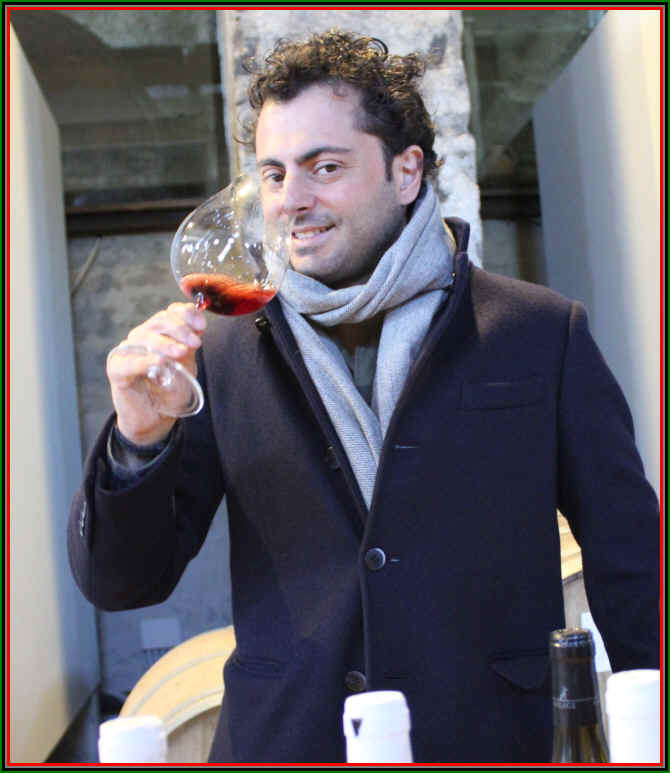 As of this writing (2018), the wines of Etna, made of Nerello Mascalese and Nerello Cappuccio, have found a following and comparisons with Nebbiolo wines from Piemonte are made by many. Etna's white wines are certainly worth exploring, too. 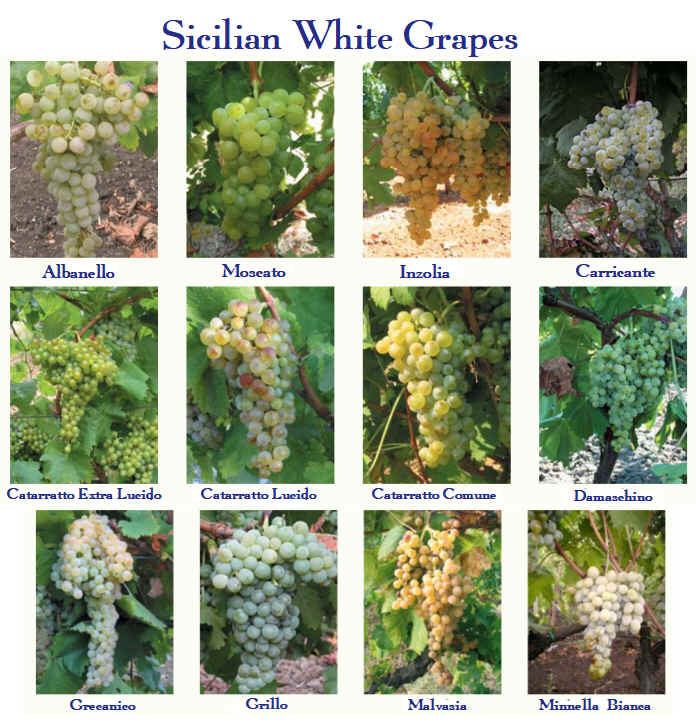 The Carricante grape can produce profound and age-worthy white wine. The Nero d'Avola wines from southeast Sicily have gained a share of the wine market here in the San Francisco Bay area and there is quite a range of styles and prices for those wines. We had seen an article where someone touted the great Syrah wines from Sicily. This was certainly news to us, as we love good Syrah. 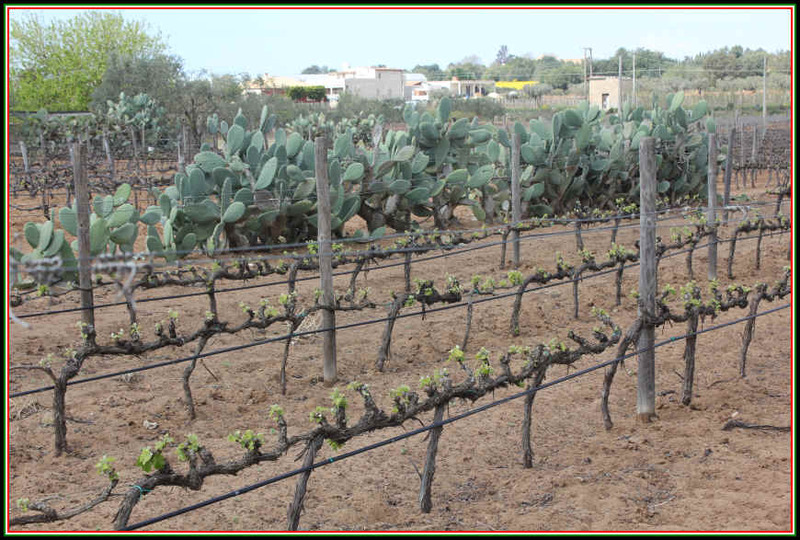 In researching information about Sicily and its wines, we were surprised to learn that Syrah is rather widely planted. A number of wineries make it as a varietal wine and others use it to fortify other reds. Still, we cannot claim to have tasted an especially profound Syrah from Sicily. There are wines made of other international grapes. You can find Cabernet Sauvignon, Chardonnay, Sauvignon Blanc and Merlot. It seems growers uprooted indigenous varieties in the 1980s and 1990s, hoping to cash in on the demand for varietal wines. But competing against wines from New World wine regions such as California, Australia, Chile and Argentina proved to be a daunting task. 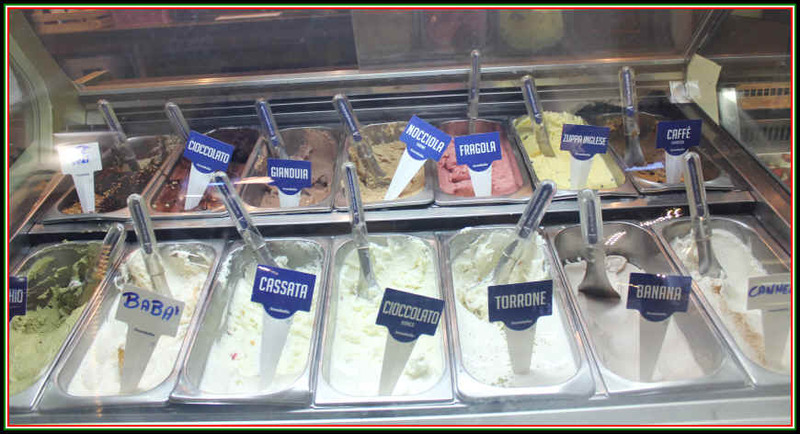 Maybe international varieties are of interest to their home market in Sicily or Italy, but they have rough waters to navigate with respect to finding a slice of the consumer "pie" in international markets. But there are exceptions to every "rule," and we must admit that some blends of indigenous and international varieties can be quite good. Try a bottle of Donnafugata's top reds. Mille e una Notte is Nero d'Avola with Petit Verdot, Syrah and other reds...quite good. Their Tancredi is Cabernet with Nero d'Avola, Tannat and other reds...also a table-worthy wine. We are generally more interested in grape varieties which produce benchmark Sicilian wines from indigenous grape varieties. 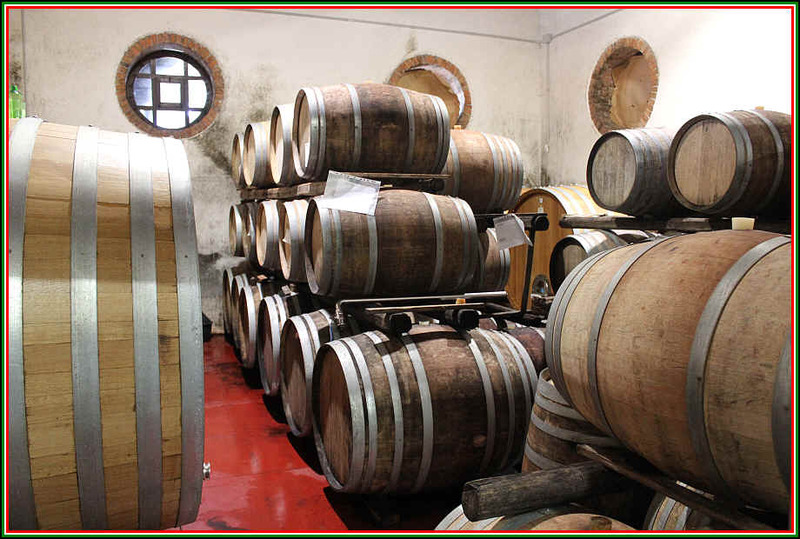 The notion of artisan Marsala can be credited to the late Marco de Bartoli whose winery makes a range of exceptional wines. The wines of Etna have become a hot commodity over the past decade and now "outsiders" are investing in that region, too. 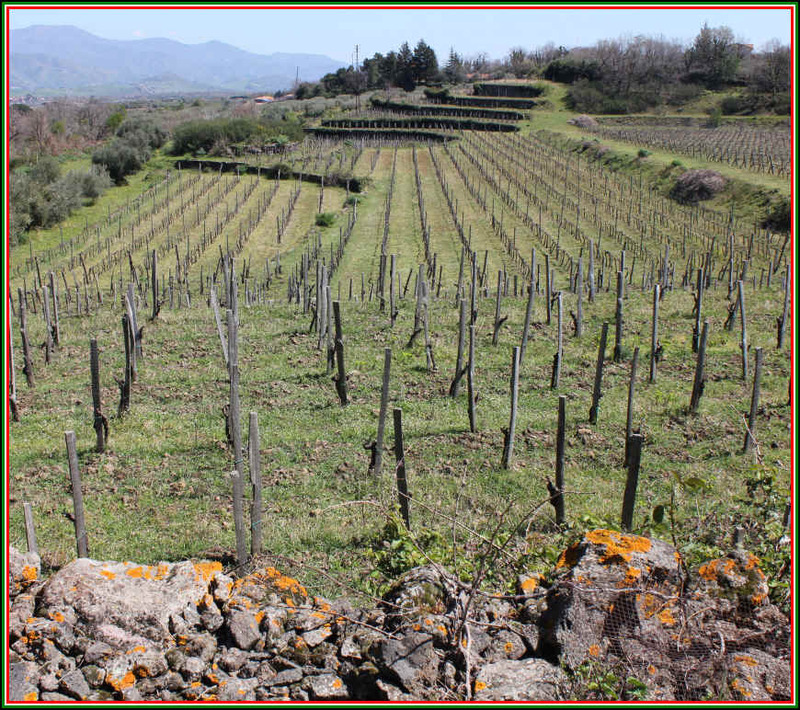 Early "outsiders" were Sicilians and the Cusumano family from western Sicily and the Planeta family now have wineries in Etna. 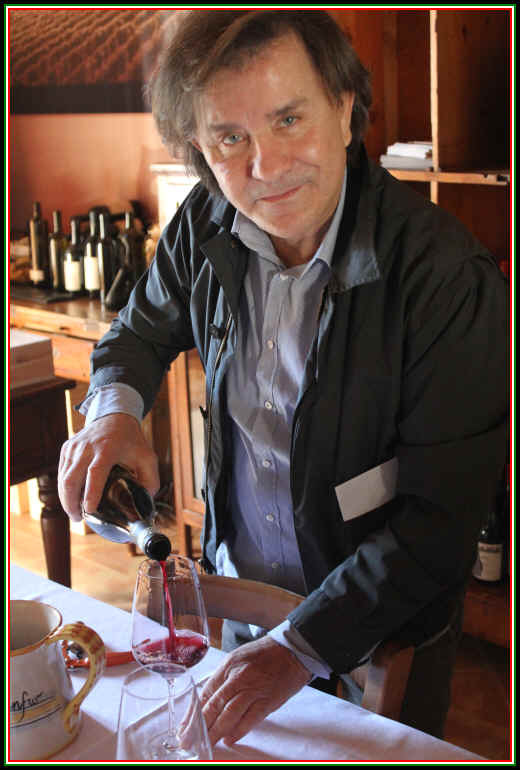 Famous wine importer/exporter Marco de Grazia put down roots in Etna back in 2002, or so. He had a vision for this region when most people were blind to its potential. Now Piemonte's Angelo Gaja of Barbaresco fame has invested in Etna. One observer opined "this is either the beginning of the end or the end of the beginning." 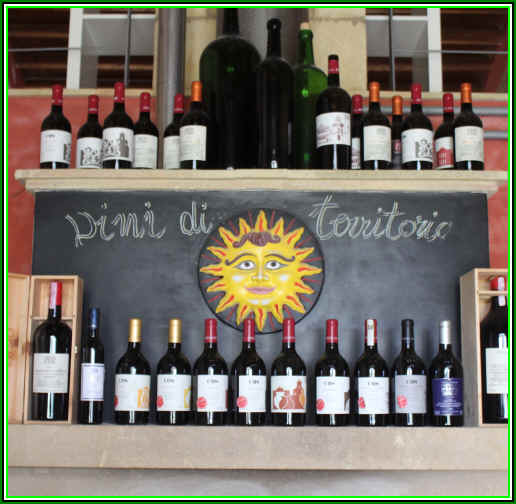 The bottom line on Etna is it's a region that's now producing some wines which are delicious in their youth and some which will repay cellaring. 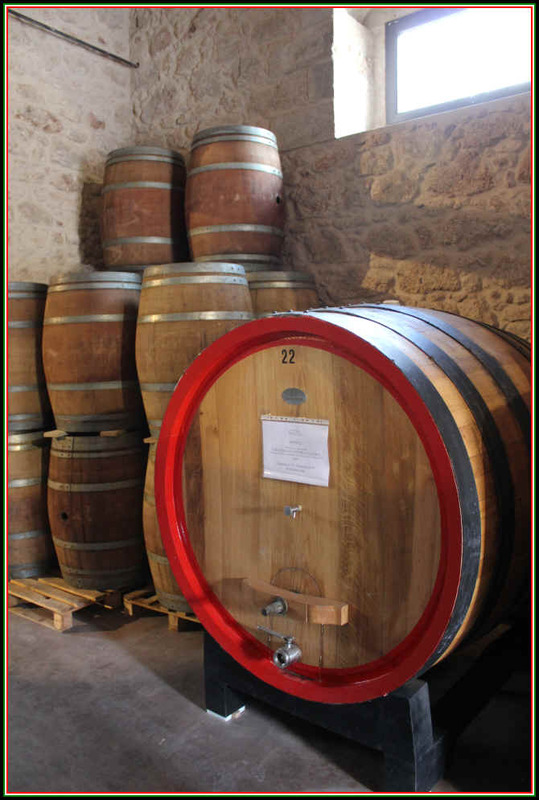 There are numerous rather commercial bottlings of the Nero d'Avola grape. The consumer who's a fan of many a drink-me-now Malbec from Argentina is likely to find something made of Nero d'Avola to be to their taste. There are some well-structured bottlings which are a bit more tannic and a bit austere in their youth. The DOCG blend of Nero d'Avola and Frappato called "Cerasuolo di Vittoria" can be quite good. We had thought of these as wines to drink in their youth. But Alessio Planeta shared a ten year old bottle with us and this was shockingly good. Giusto Occhipinti opened a 20 year old bottle and this, too, was remarkable. The Muscat wines of Pantelleria can be exceptional and there are some delicious Malvasia wines from Lipari, just off the coast of northeast Sicily. 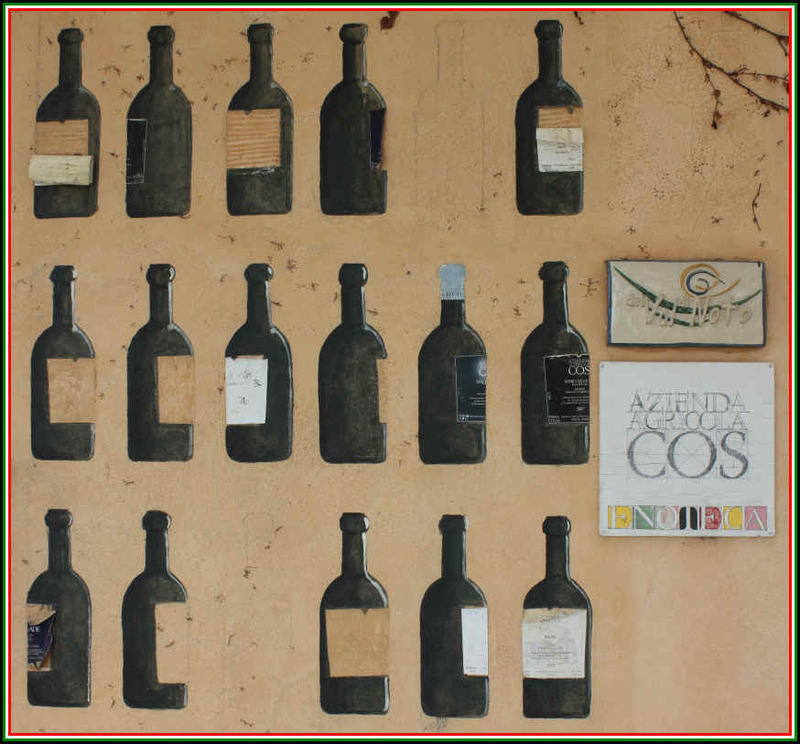 In Northeast Sicilia you'll find wines of the Faro denominazione and there are some wines from there worth exploring. 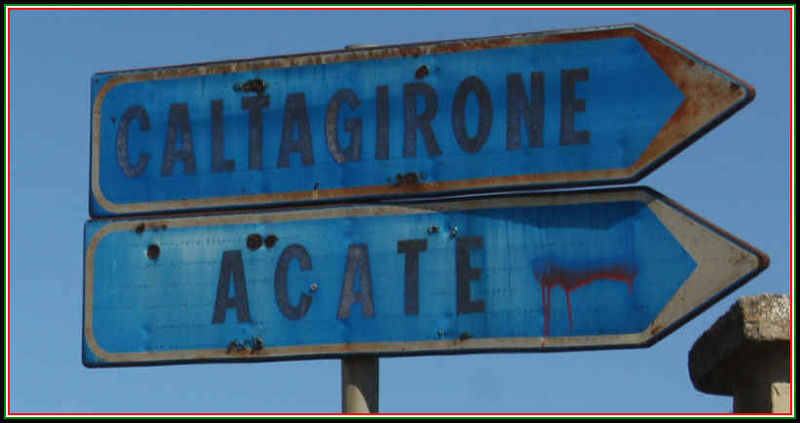 With nearly two dozen denominazione there is much to explore in Sicily. 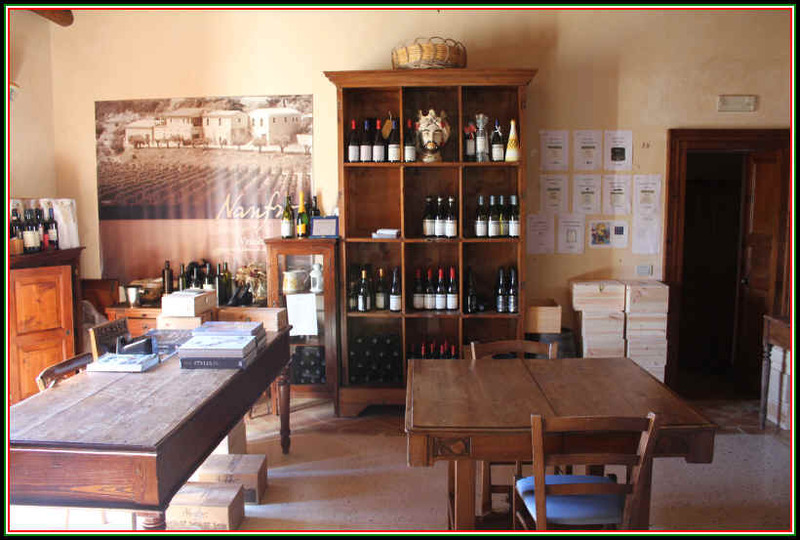 Alberto Graci's little azienda is situated in Castiglione di Sicilia on the northern side of the Etna wine region. He's in the Passopisciaro neighborhood, a damned good address if you're making wine from Nerello Mascalese and Carricante grapes. Alberto's grandpa made wine, but not in the Etna region. And in nonno's day, winemaking was about quantity, not quality. 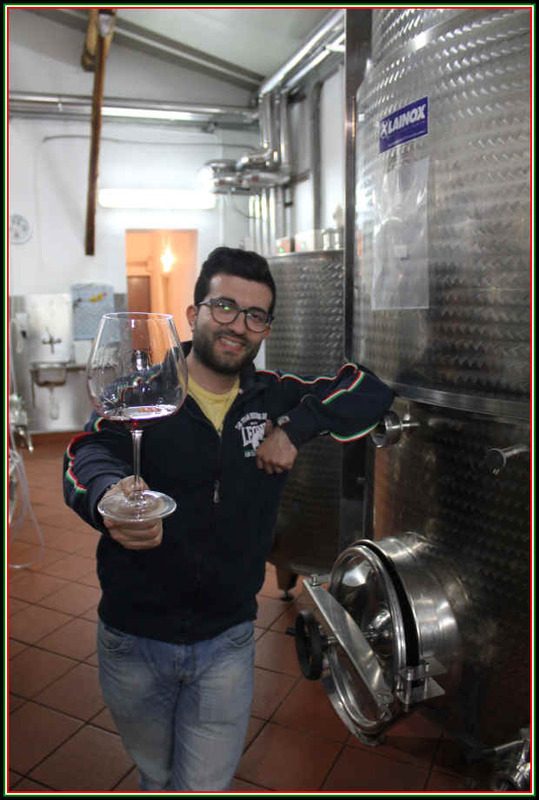 Graci left Sicily to pursue his studies and not winemaking. After his time at a university in Rome, he moved to Milan as an investment banker. When Grandpa died, he came back to Sicily and sold nonno's place (in central Sicily) and invested the proceeds in a property in the Etna area. 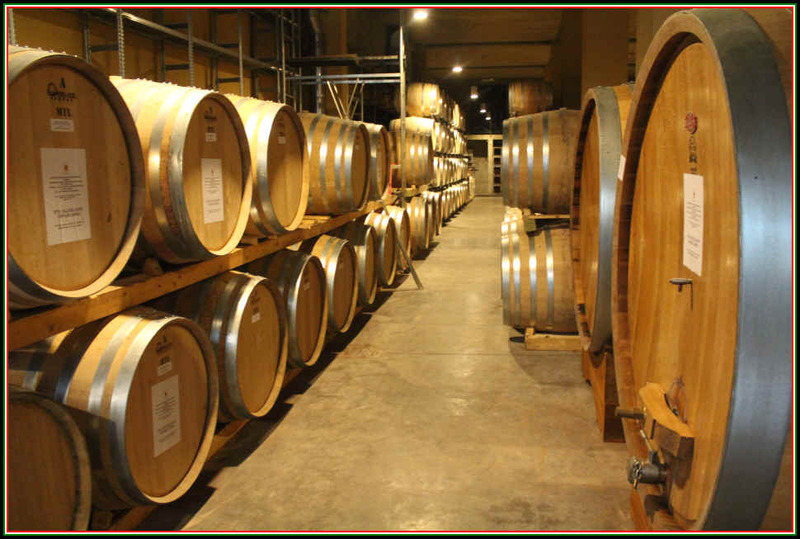 The winery was founded in 2004 and today it's a highly-regarded estate with elegant, showy wines. The cellar dates back to the 1860s, though, with a bit of a remodeling and upgrade. 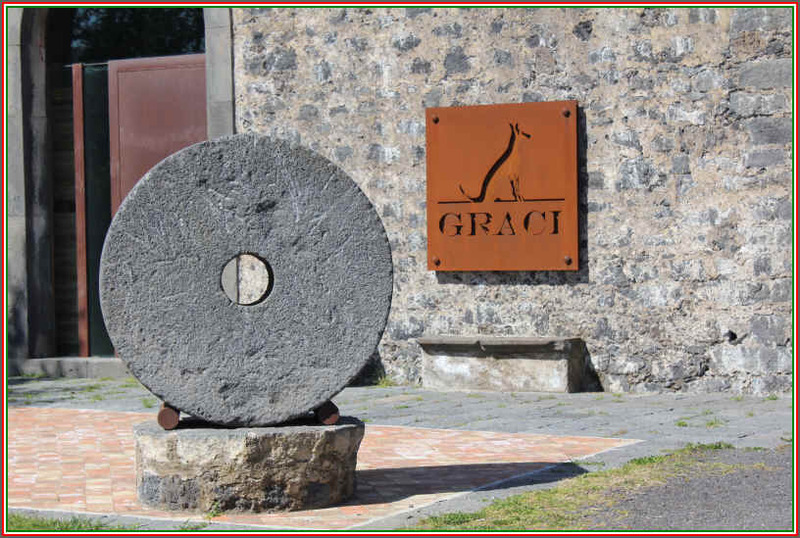 The Graci properties tally 25 hectares in size, but presently there are 20 hectares of vineyards planted in three sites. 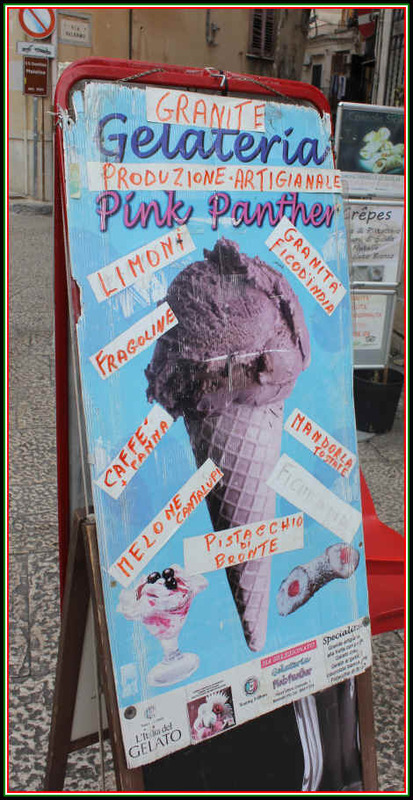 They have the Contrada Arcur�a and the Contrada Feudo di Mezzo, both in Passopisciaro. The third site is the Contrada Barbabecchi in Solicchiata, about 3 kilometers to the east. These vineyards range from 600 to 1100 meters above sea level. Barbabecchi is a rather old vineyard...planted more than a hundred years ago on their own roots as the phylloxera root louse has never taken hold there. Naturally, there's not a large quantity of wine from this site, but it is rather special. And, like the rest of the Graci vineyards, it's farmed organically. 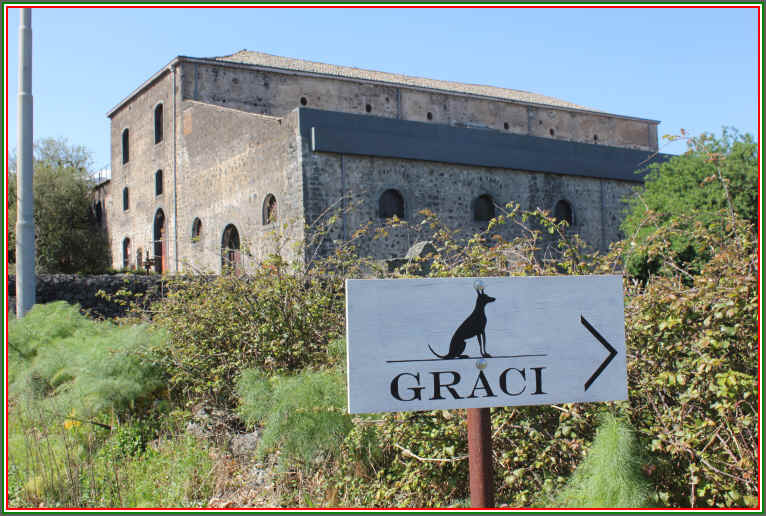 Graci, by the way, is viewed by our friend Angelo Gaja as one of the top Etna wine producers. Gaja, famed for his Piemontese wines (and now a few in Tuscany), is partnering with Alberto Graci on a new venture in a presently unheralded southwest Etna vineyard site. 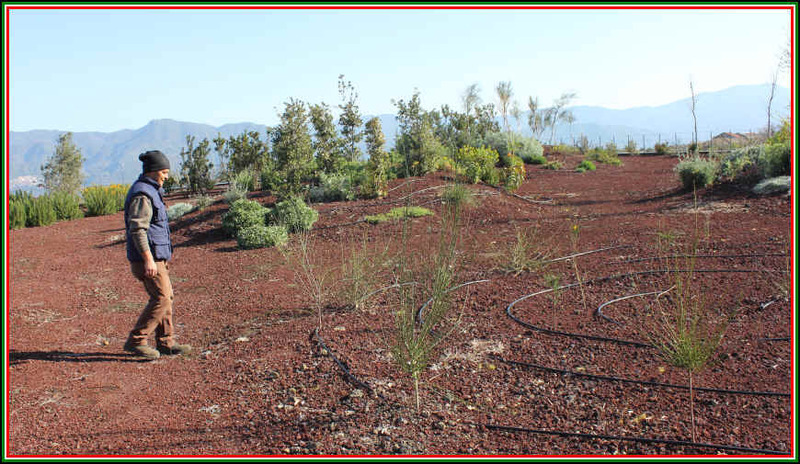 They purchased a 21 hectare property that's planted predominantly to Nerello Mascalese. Graci told us this part of Etna was, many years ago, viewed as a good quality location. It's been in the shadows, though, thanks to so many good wineries in other Etna locales. We've been fans of the entry-level Etna Rosso, but frankly all the wines are a delight. 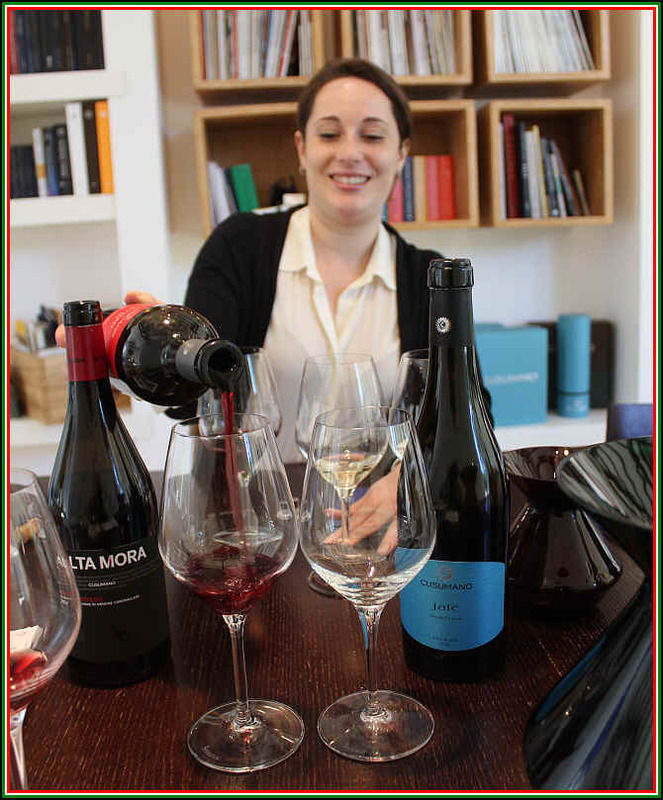 Graci is making some of the most charming and easily-drinkable wines in the Etna area at this point in time. We've had his wines in various tasting venues and they are consistently good. The 2014 Etna Rosso is made entirely of Nerello Mascalese and it is fermented in cement tanks using indigenous yeasts. Graci says he employs a long period of skin contact, typically about a month and yet you won't find his wine to be aggressively tannic. It's rather supple and elegant on the palate. We like the sweet, somewhat woodsy bouquet here and yet, remarkably, the wine predominantly aged in cement. 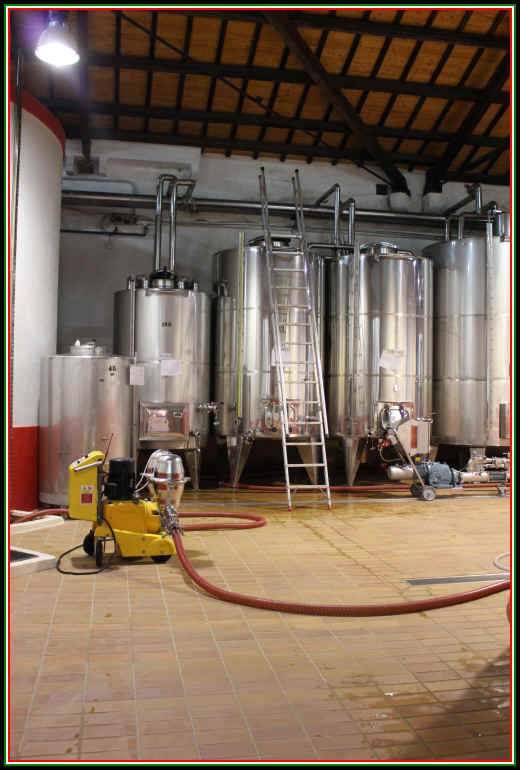 It undergoes a spontaneous malolactic fermentation in those cement tanks and remains there for about a year and a half. 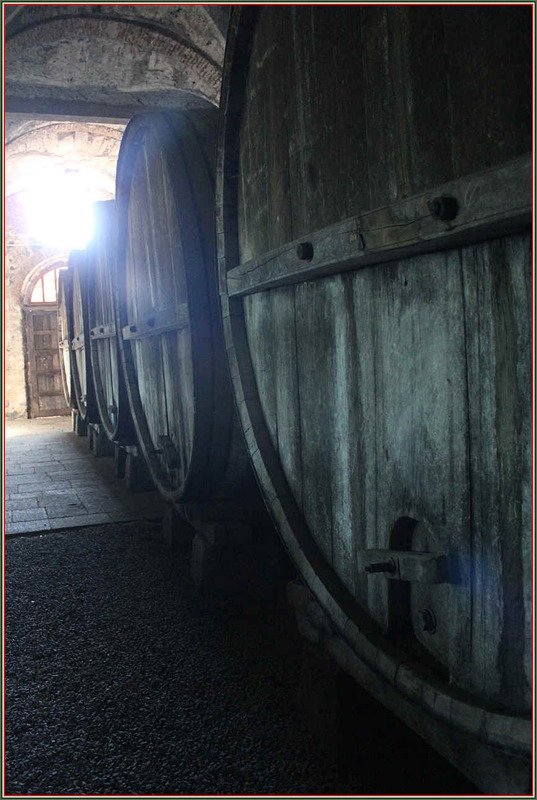 Earlier vintages did not see wood, but Graci told us a small percentage is kept in tini, wooden wine vats. Graci's cellar, by the way, has no French oak barriques. 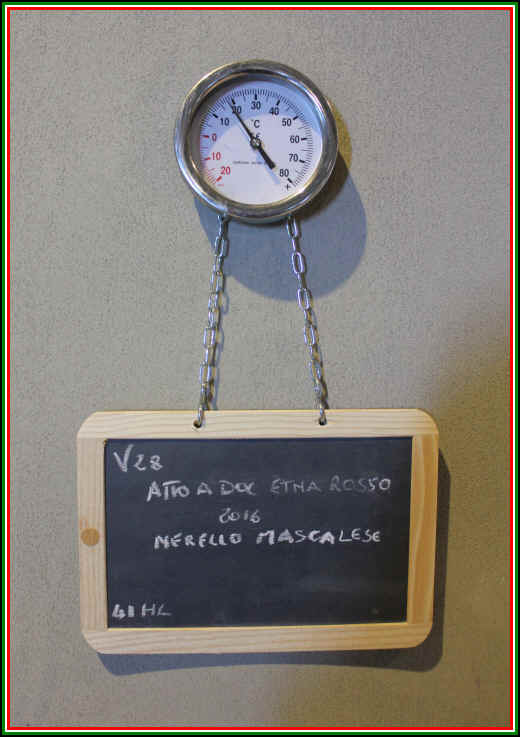 Once bottled, the Etna Rosso stays in the cellar for but a couple of months and then it's offered to a most receptive market. We understand the previous owners of this facility used these wooden tanks into the 1980s...and they are quite old...museum pieces now. The vineyards are farmed organically. And this is, as you can see, quite labor intensive. Ciro Biondi is an architect who didn't have designs on the wine business until he and his wife Stephanie decided to restore some old family vineyard sites to their garden-like splendor. In 1999 they embarked on a wine-growing and winemaking project. At some point they took on some partners and apparently this did not go so well. 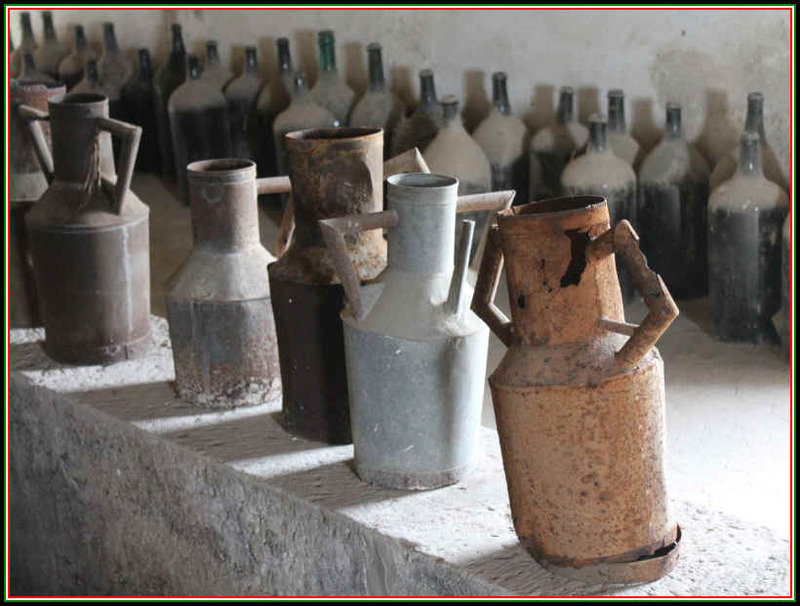 In fact, in 2012 we're told, Biondi had to do some clandestine subterfuge to rescue some wine which was in danger of spoiling due to neglect. 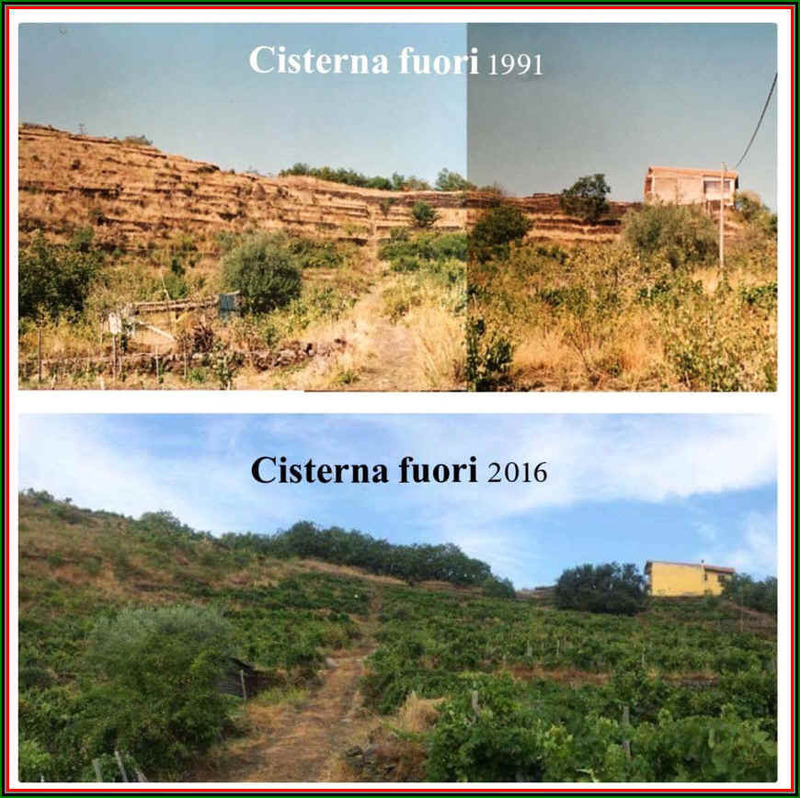 The partnership was apparently on the rocks and Ciro hired a tanker truck to make a covert run to make off with the 2010 and 2011 vintages of his single vineyard "Cisterna Fuori" cru. The wine was, in fact, saved, but some other lots in that cellar were not salvageable. The company "details" have been restructured and today Ciro & Stephanie own the company outright without entanglements from others. 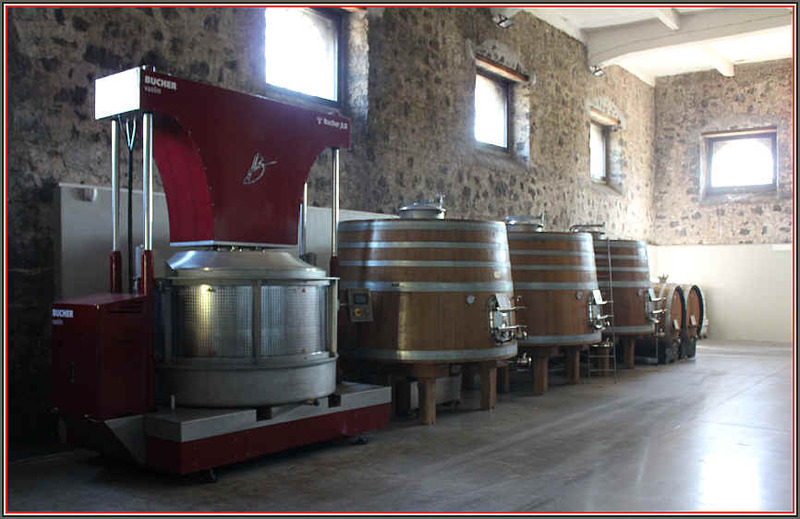 Biondi's winery is on the south side of Etna and it comes with a long and interesting history. Ciro Biondi's grandfather and the grandfather's brother Salvatore had a grape-growing enterprise back in the late 1800s. Uncle Sal teamed up with another fellow in the town of Trecastagni and they made wines branded as "Biondi & Lanzafame." These actually gained a measure of notoriety when, in 1913 and 1914, they entered wines in competitions in Paris, Lyon and Casal Monferrato and won some awards. Their wines even made their way to the United States! 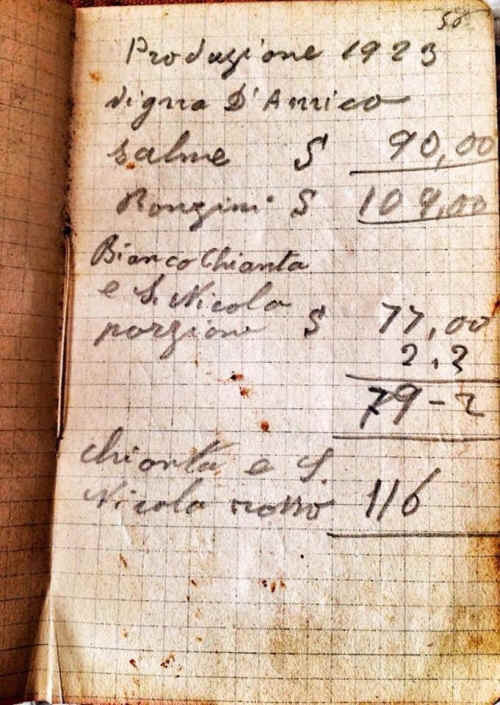 An old document they found at the Biondi property tallying up the 1923 harvest. They currently have about 7 hectares of vineyards in three different locations. The Contrada Ronzini is planted to white grapes, so you'll find Carricante there, along with a bit of Cataratto and the rare Minnella. It's the source of the prestigious "Chianta" white wine. Ciro confided that this name irks some Tuscan vintners who object to the name on the grounds it's too similar to their beloved 'Chianti." 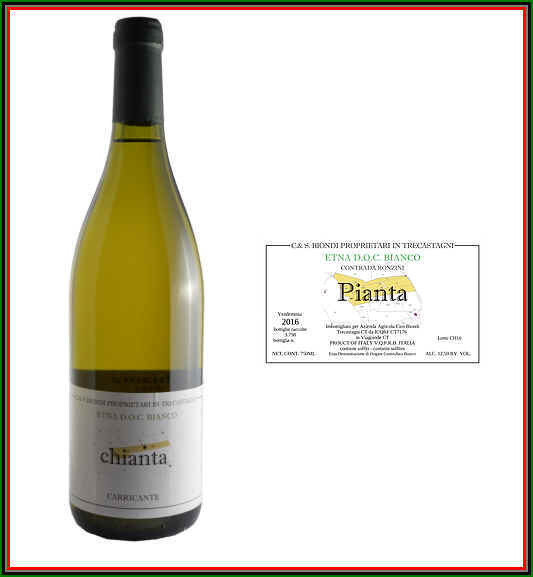 They will soon change the label to appease the Tuscan wine producers, but it should be pointed out that "Chianta" is a Sicilian word for a "plant," with Chianti in Sicilian being the plural, "plants." and the wine will be called "Pianta" which is the Italian word for "plant" (singular). 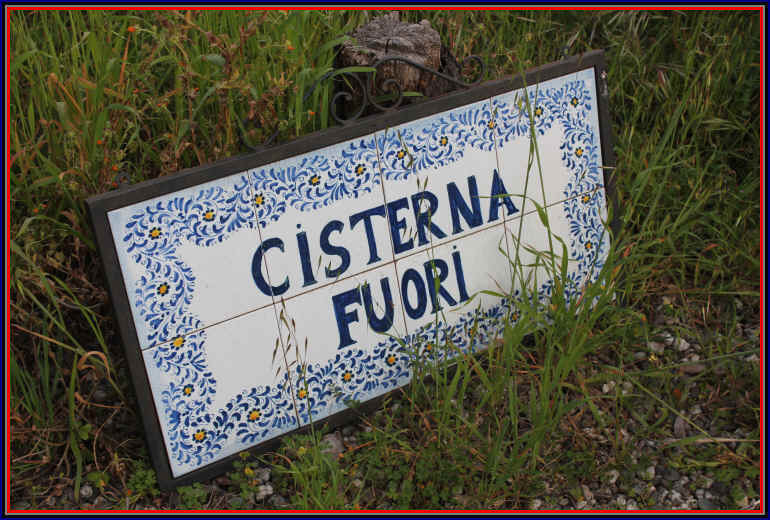 Cisterna Fuori is a site planted with the two red grapes, Nerello Mascalese and Nerello Cappuccio. It's also the home of the vinification cellar and a nice little outdoor reception area. A snapshot of the place in March. 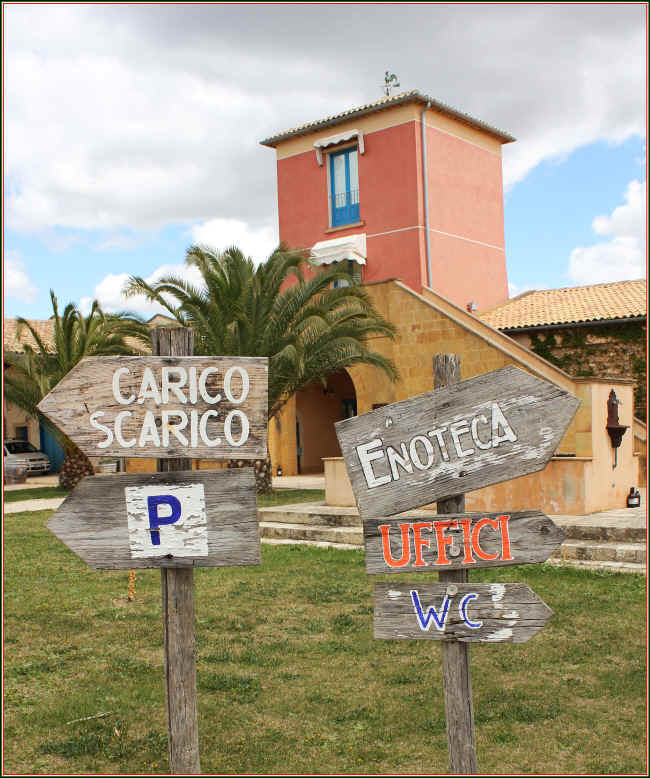 San Nicol� is the smallest vineyard site and it's planted to Nerello Mascalese and Nerello Cappuccio which are planted "on their own roots." 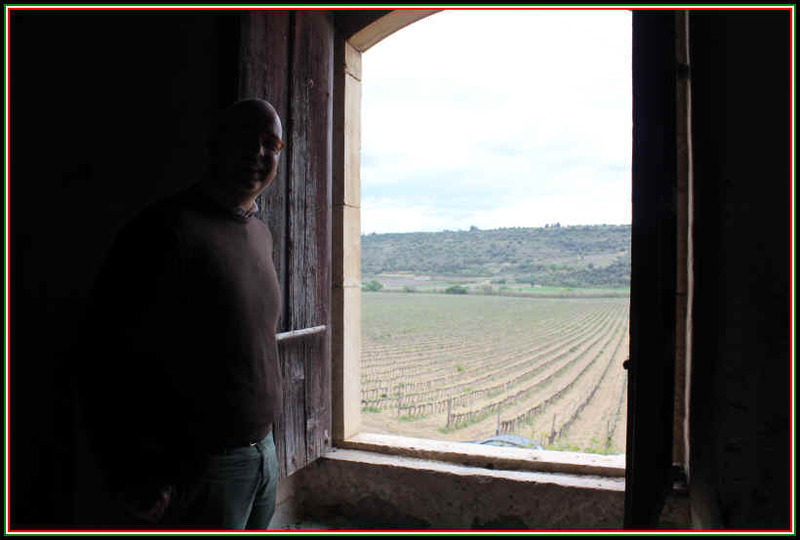 Ciro said he was visited some years ago by Aubert de Villaine, manager of the prestigious Burgundy winery called Domaine de la Roman�e-Conti. Biondi was invited to visit de Villaine's cellar and recalls tasting DRC's sublime Montrachet and thinking perhaps that he was wasting his time making white wine. But Monsieur de Villaine encouraged him to continue his quest for great wines. Biondi, at first, wondered if he should plant Chardonnay. "No...we should not! We should make our own unique wines and keep the inspiration of Burgundy as a model." 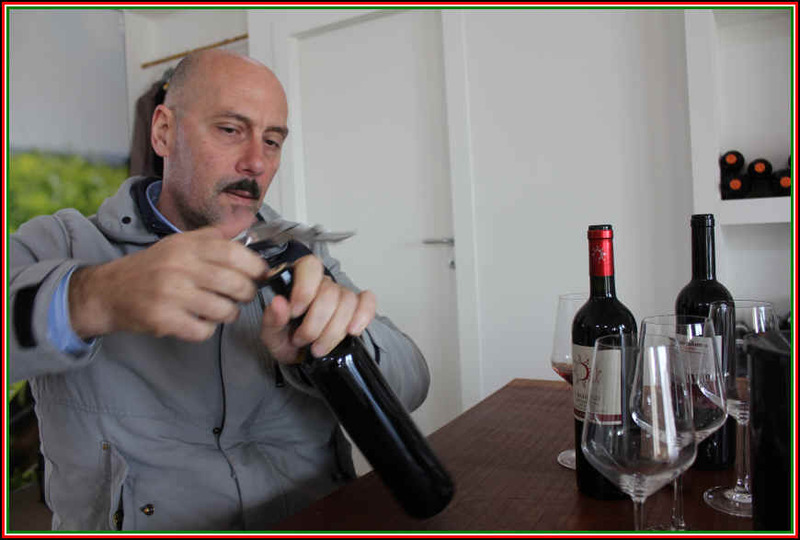 In tasting his Carricante called "Chianta" we found the young wine to be well-made and a bit shy...so Ciro opened a bottle which was a couple of years older and, eccoci qua! Now you're talkin'! The wine blossoms nicely, showing depth and elegance. It's not French white Burgundy...it's Etna Bianco and a good one at that! Biondi's red wines are quite good, too. They routinely have some grip and structure, so pairing them with appropriate foods will help show the wines in a good light. "Outis" is their entry-level wine in both red and white. The name is Greek and means "no one" (nessuno in Italian). 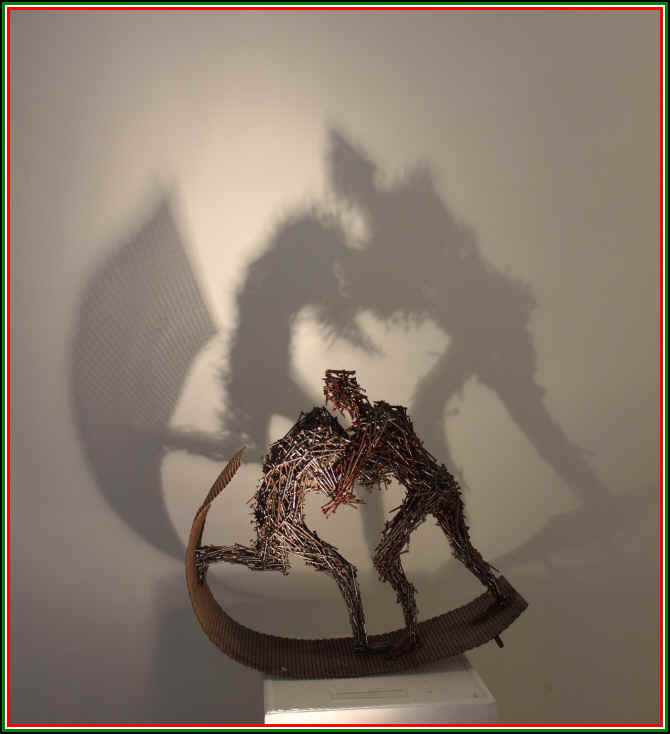 There's a bit of Greek mythology associated with the Etna neighborhood and if you become familiar with the Greek playwright Euripides, you'll know about wine-drinking and debauchery with respect to Cyclops. Odysseus had been drinking with the Cyclops known as Polyphemus. Asked his name, Odysseus says it's "Outis." At one point, Odysseus is trying to kill Cyclops before he, himself, is killed. Being attacked, it's Polyphemus who shouts out that "nobody" was trying to kill him, so, of course, none of the neighbors came to his aid. Outis is also a sort of term for "anonymous" and it's been used as a pseudonym by a number of writers and now, it seems, a winemaker. 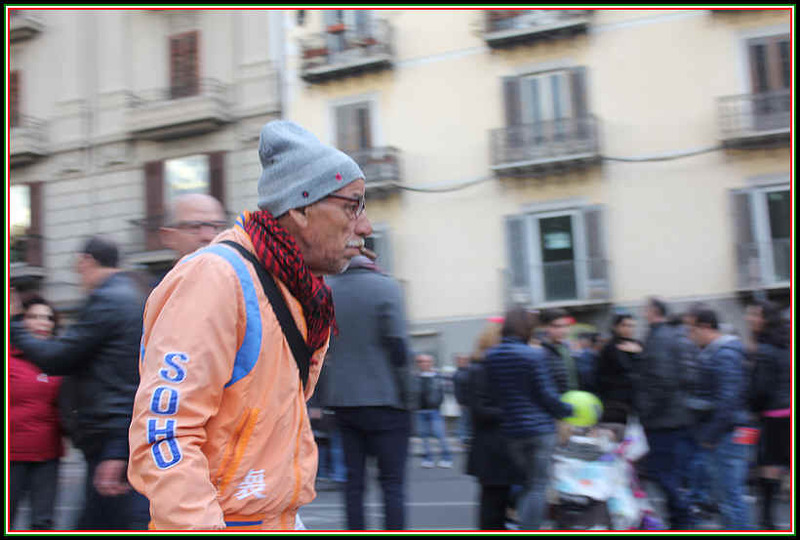 Ironically you will find that Signor Biondi keeps a relatively low profile. Unlike most vintners who seek the praise of various wine critics, Ciro's wines are not seen these past few years in the various Italian wine guides. Talk about anonymous! We currently have the 2014 Chianta Etna Bianco in the shop...This is predominantly Carricante with a bit of Minella and Catarratto. It's still young, but developing nicely. The initial notes on the nose are reminiscent of apricot with a touch of pineapple spice notes...minerally and stony, there's a faintly smoky note to this wine, too. Medium+ in body...it's not an exuberant wine, but one you can watch evolve in the glass as it both warms and airs. 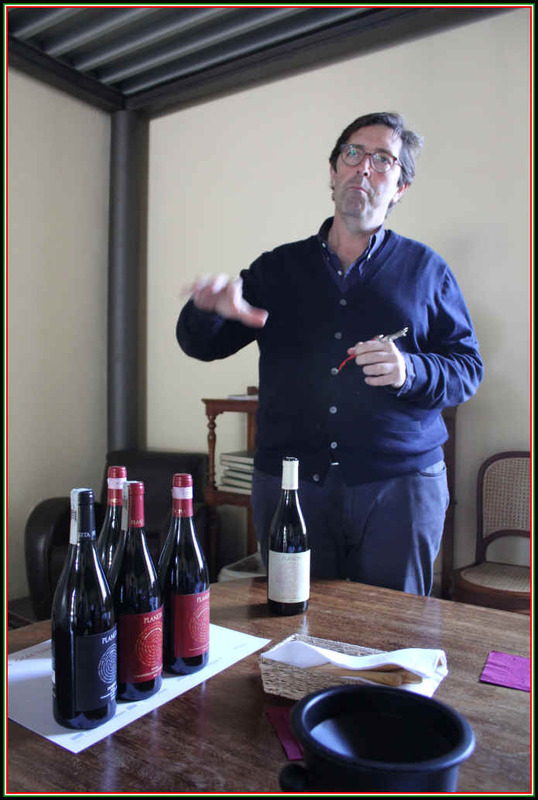 Giuseppe Russo is another one of the leading lights in the Etna region, having grown up in the town of Passopisciaro, close to the family vineyards and his winery. 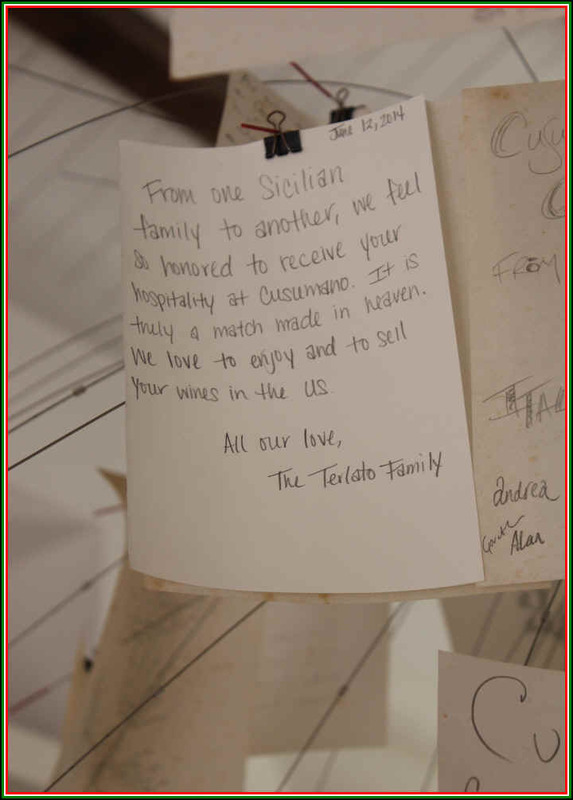 The winery is named after Giuseppe's father who died at an early age having suffered a heart attack. At that point in time (in the early 2000s), he was confronted with the option of selling dad's vineyards and pursuing his other endeavors (teaching literature and piano) or becoming a winemaker. 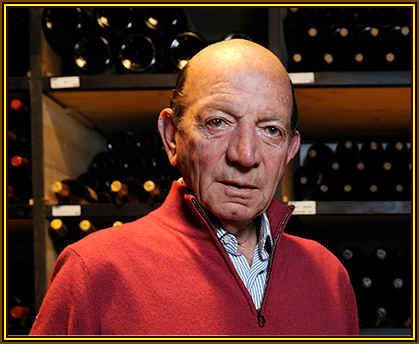 Lucky for us he chose the latter option and today Signor Russo is regarded as one of the best producers of Etna wines. He's continued in his father's footsteps by cultivating the vines organically. There are currently about 15 hectares of vineyards and they make a nice range of wines. Three single vineyard red wines are produced, along with an entry-level blend, a Rosato and a white wine. 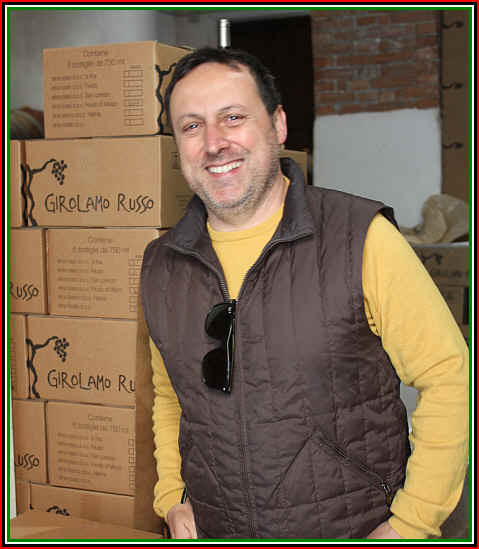 Russo credits Marc de Grazia the famous wine exporter of Terre Nere winery fame, Andrea Franchetti (of Passopisciaro and Trinoro fame) and Frank Cornelissen, an outsider who's making a name for himself with "natural" wines for giving him encouragement and some guidance. As with a piece of music, the harmonies one hears will be different depending upon who's playing the piano. Similarly, wines from the same general region will have different styles depending upon who's growing the grapes and making the wines. Russo's are some of the most harmonious of the northern Etna region. From the area of Randazzo there's a bottling labeled "Feudo." From Castiglione di Sicilia there's Feudo di Mezzo. And there's San Lorenzo, a vineyard site that's also in the Randazzo area. Russo's main wine is called A'Rina, in honor of his mother we initially thought. It turns out it's a reference to the sandy soils on Mount Etna. This is a blend of fruit from San Lorenzo, Feudo and Calderara Sottana (a vineyard site in the Randazzo area, noteworthy for its large stones). This can be an outstanding wine. The 2016 is especially charming. We're big fans of the San Lorenzo bottling. Our first vintage of this was the 2007...now we have the 2015 in stock...there's something particular about this wine which we like. The red fruit aromas are enticing and there's usually a suggestion of it having been matured in an oak barrel. An element of a brown spice note typically emerges as the wine gets some air. And it's a wine of finesse. There's a bit of tannin to the 2015, but it's smoother than a young Barolo. Still, while this can be enjoyed now, we expect it to be even more complex with a few years in the bottle. It's a wine which, if you're in tune with it, is extremely satisfying. We think it's one of the best of Etna. We have dubbed it "Etna Russo." This fellow was preparing to help keep the just-cleaned cooperage in good condition by lighting a sulphur disc. This prevents any little bit of wine residue in the wood from turning to vinegar. The Valenti story is another one of fairly recent history. Giovanni Valenti grew up in Catania, the major city near the Etna region. As a young man he took a job with the Lavazza coffee company before a 20+ year stint with Stock, a vodka and brandy specialist. 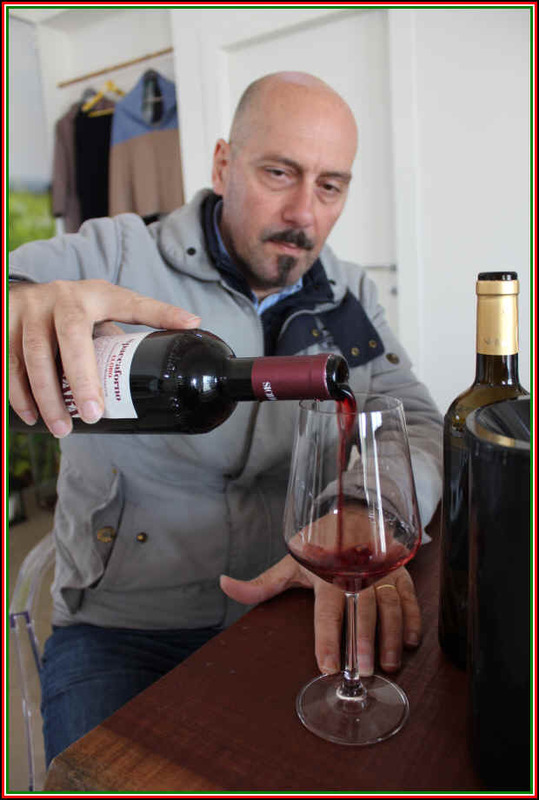 By chance, he was helping a film crew at the Festa dell'Etna (ages ago) and after the finished their job one day, they were invited to taste some local wines. 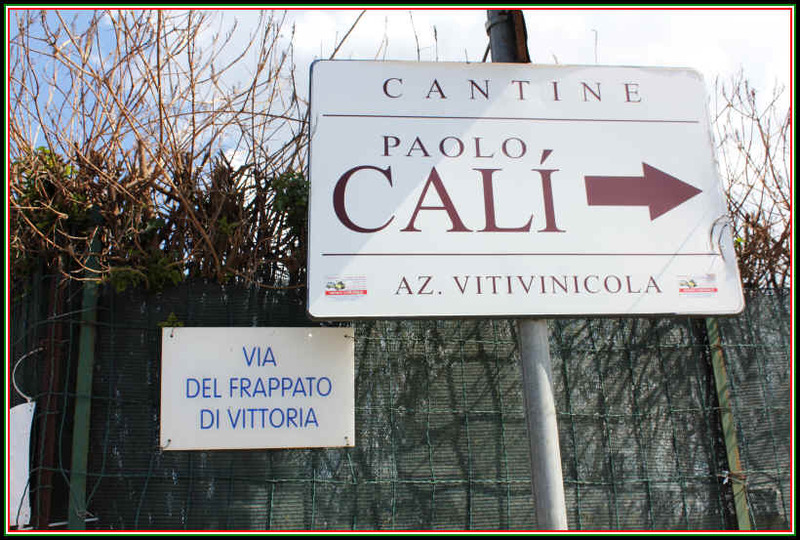 Despite having grown up in the environs of Catania, apparently Valenti hadn't tasted much of the local vinous artistry. 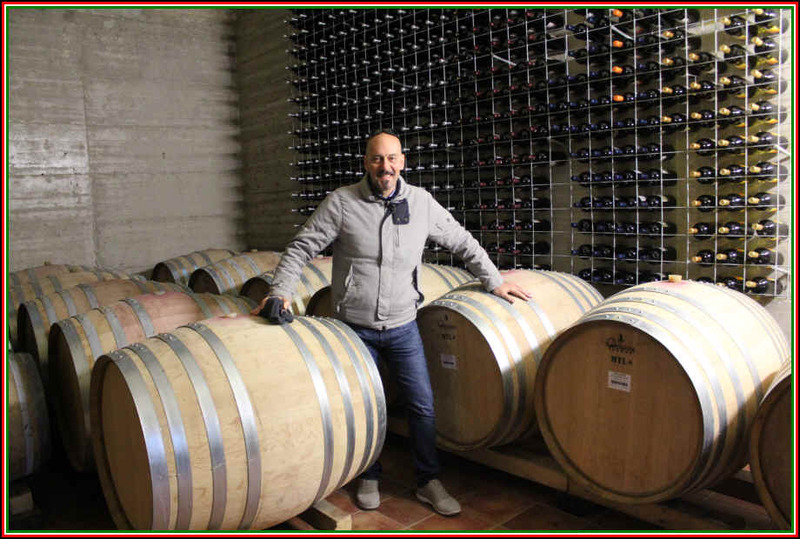 A few decades later, in the early 2000s, Valenti was in a financial position of being able to buy some potential vineyard land and embark on his winemaking adventure. 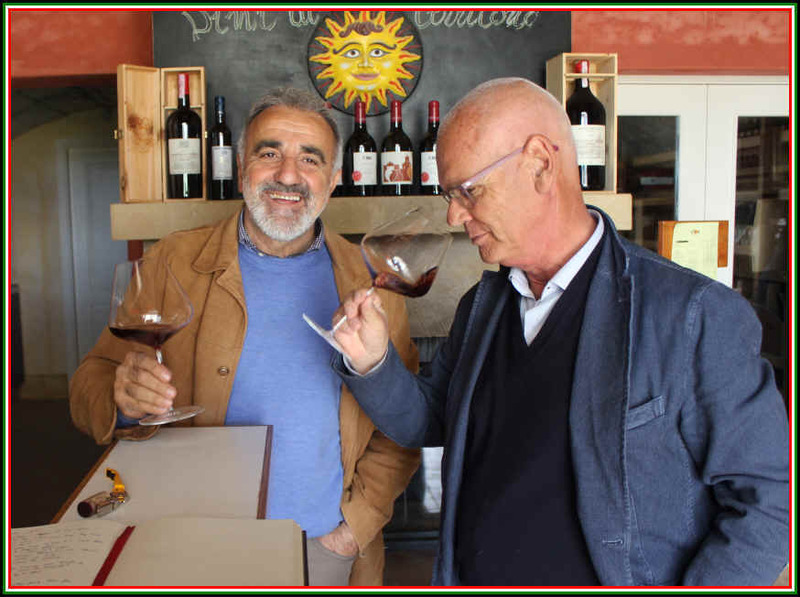 His son had experience in working for iconic designer companies (Versace, Ralph Lauren, Louis Vuitton and Giorgio Armani), so the Valentis decided to roll the dice and get into the winemaking business. So they began buying vineyard property about the same time as Giuseppe Russo and Alberto Graci were launching their brands. It took until 2009 to have their name on the place and begin making wines. 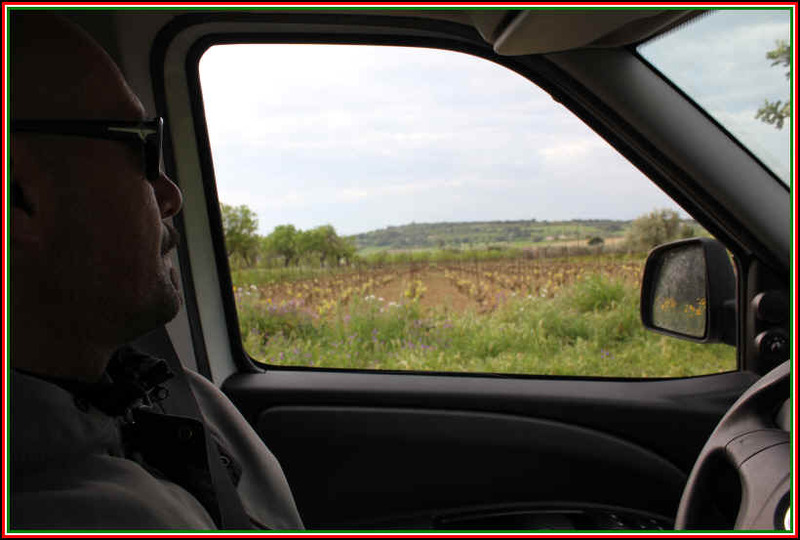 The Valenti holdings comprise about 26 hectares, a few in olives for olive oil and the rest in grapes. They own some seriously old vineyards and have planted new sites. Their first vineyard acquisition was at Guardiola. Additional holdings are in Contrada Bonanno, Contrada Cottanera, Contrada Arcuria, Contrada Santo Spirito and the Contrada Corvo. 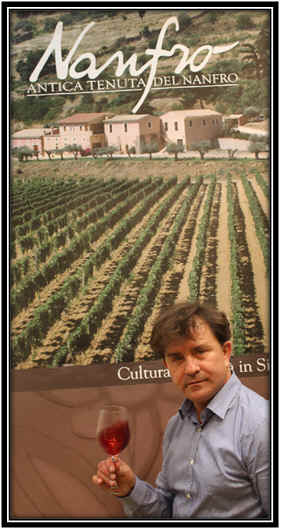 Their winemaking consultant is Emiliano Falsini, the same fellow who assists at the winery of Girolamo Russo and Graci. This enologist has a good hand in making charming and attractive wines. In a tasting group in San Francisco we assembled a set of white wines from Etna, as we wanted to taste something different from mundane Pinot Grigio. We threw a bunch of darts at the dartboard and put together a bunch of wines, mostly made from the Carricante grape. There were many good bottles in the tasting, as it turned out and one of the most compelling for us was Valenti's 2015. The wine offered notes of ripe peach and melon with a spice note reminiscent to a small degree to some favorite whites from France's Alsace. We bought a bottle of the 2016 and tasted it with the crew at the shop and everyone gave it the "thumbs up." Poured a taste for an importer of Italian wines and he thought it was "excellent" (and sorry his company doesn't have such a wine). 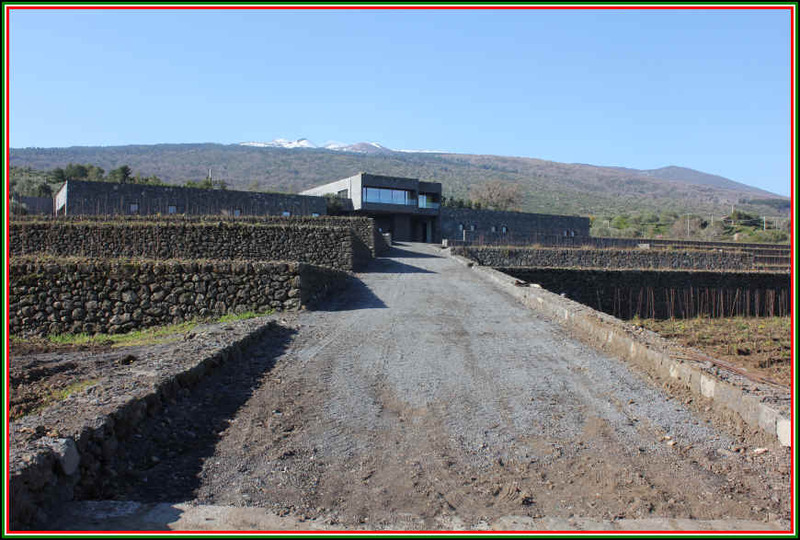 The Faro brothers started this beautiful Etna winery around the same time as Russo and Graci (see above). 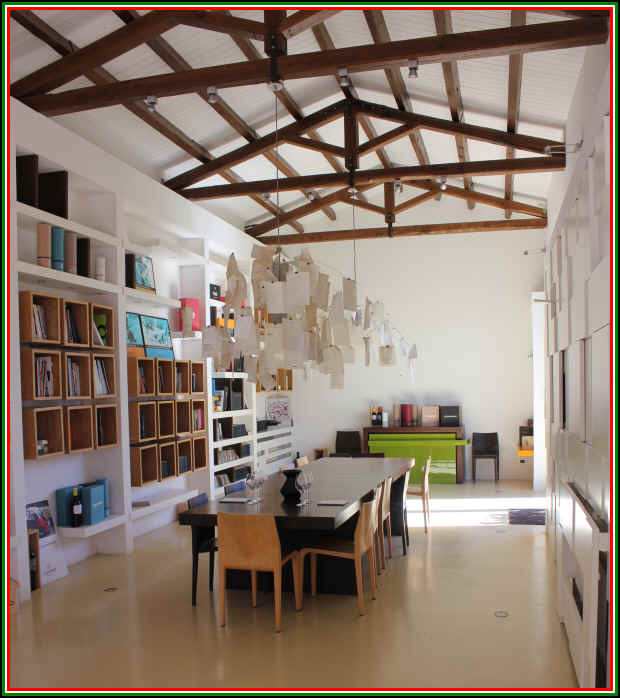 They grew up not far from Etna as their family has a major plant nursery, Piante Faro, with about 1500 acres of land in Giarre, a short drive north of Catania. Michele and Mario's dad Venerando Faro founded the nursery and today they export 5,000 different plants to 60 countries around the world. 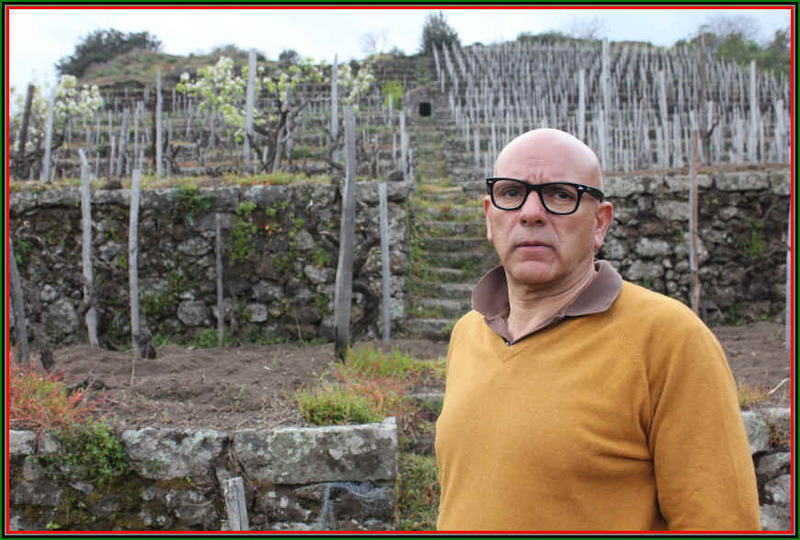 In 2005 he ventured about 24 kilometers north and west to the Etna town of Solicchiata where he found some remarkable terraces with old vines. Michele describes these old sites not as vineyards but as "monuments." 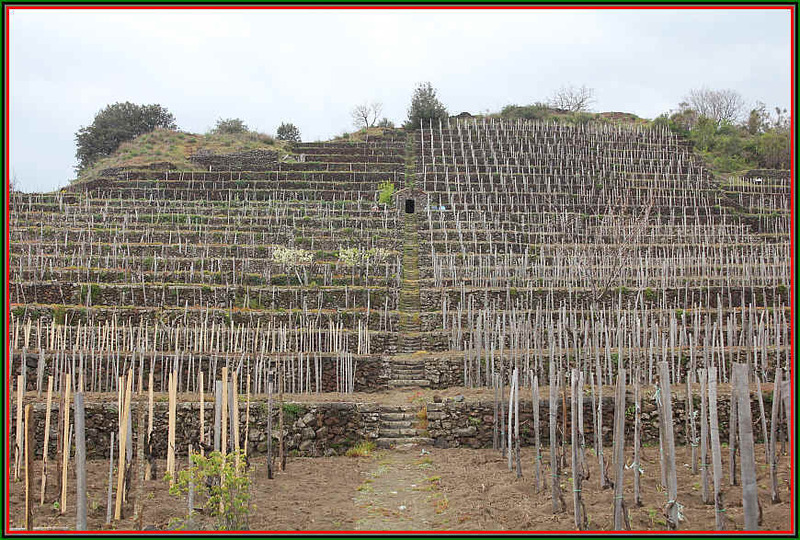 Old terraces with head-pruned vines...called "Alberello" as the vines resemble little trees. They recently built a beautiful winemaking facility to replace the ramshackle place they had near the coast as their original winery. This place is built into the hill and it's a gravity-flow winery. They were putting the finishing touches on the new winery in early 2017. This is a view on top of the winery...they showcase a lot of the vegetation one might find in the environs of Etna with shrubs, small trees and such. In front of the winery they've got a few vines and will add more. 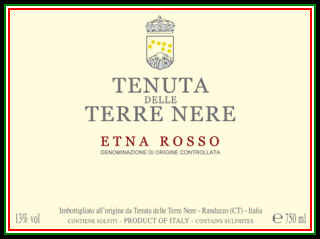 We have been delighted with their normal, classico if you will, Etna Rosso. At this writing, the 2015 is the current release and we don't find it to have the charm and complexity of the previous several vintages. Nerello Mascalese, like Pinot Noir, tends to be a light-colored wine but the 2015 seems a bit pale compared to 2014. It's got the color of a Ros�. The nose is rather shy and the wine is hollow and a bit shrill on the palate. We'll wait for the next vintage and evaluate it when it hits the market. Currently in stock: We can special order the current releases, if you like. 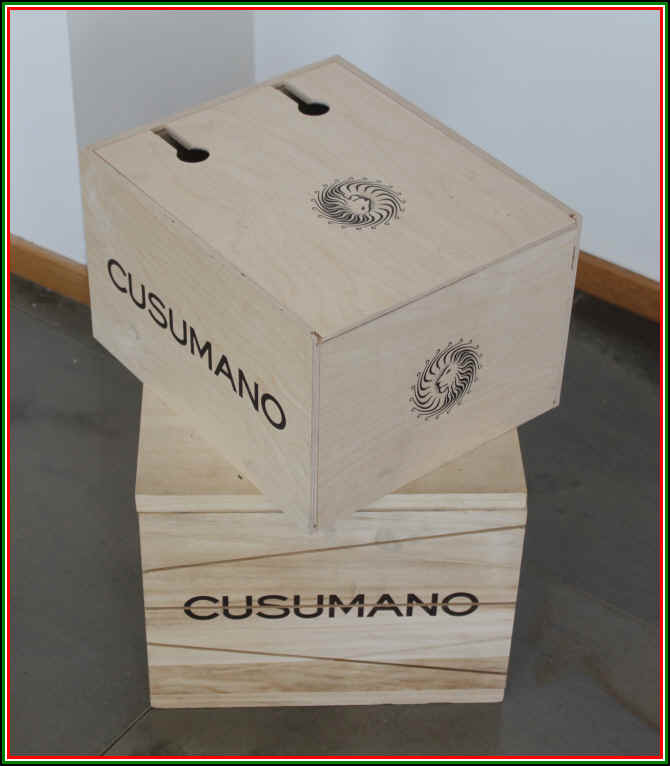 This family wine business is rather large and it's run today by Cusumano brother Diego and Alberto. 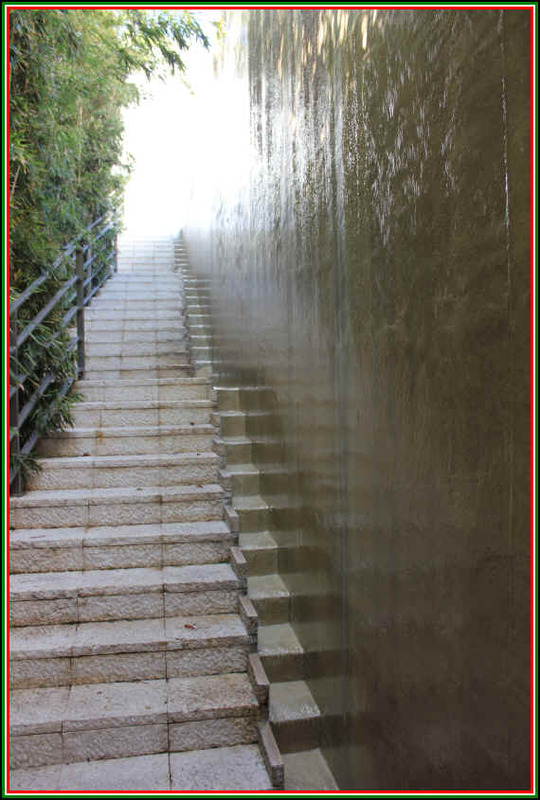 The main cellar is located less than an hour by car from Palermo. Their father Francesco was a grape and wine-broker, so he knew the best places to buy vineyard land. Now the family has holdings in many parts of Sicily and they make some solid wines from numerous areas, scattered around Sicilia. 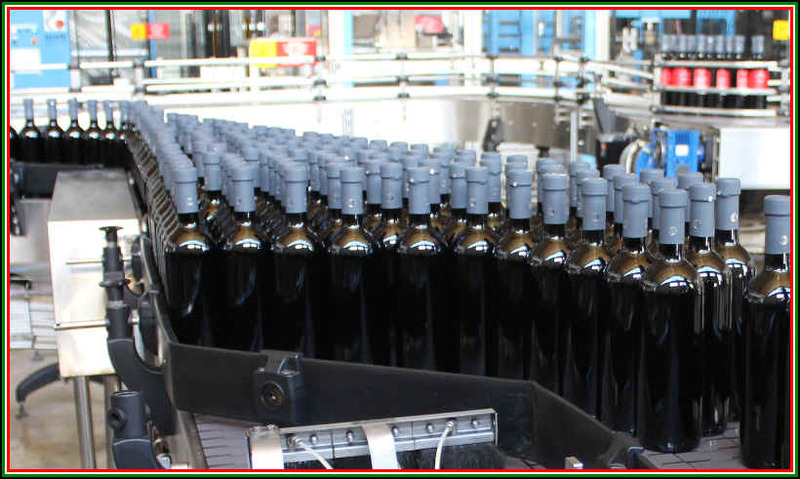 They own more than 550 hectares in 7 or 8 sites and produce more than 2.5 million bottles annually. That's an impressive figure when you consider the brother's little adventure began just a few years ago, in 2000. You'll find typical varietals such as Insolia, Catarratto and Nero d'Avola, but also Syrah, Chardonnay, Pinot Nero, Cabernet and Merlot. 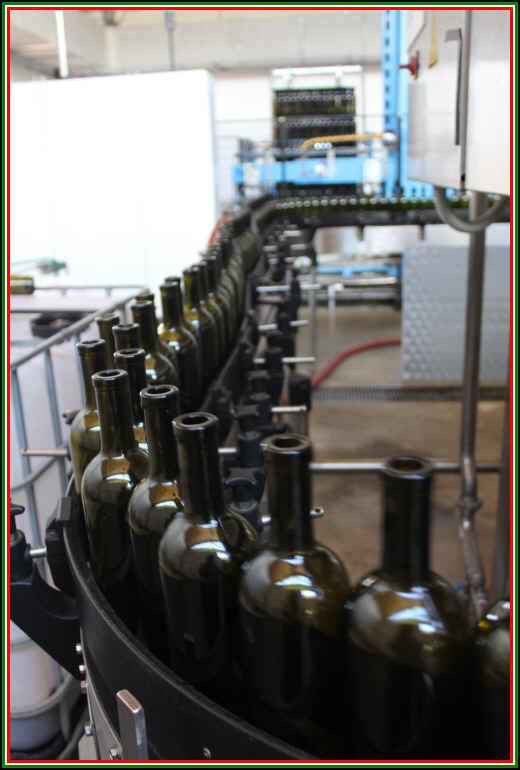 The wines are usually well-made and of good quality. Some might criticize some of the wines for being "too internationally-styled," but one is not obliged to buy Sicilian Chardonnay, per esempio. 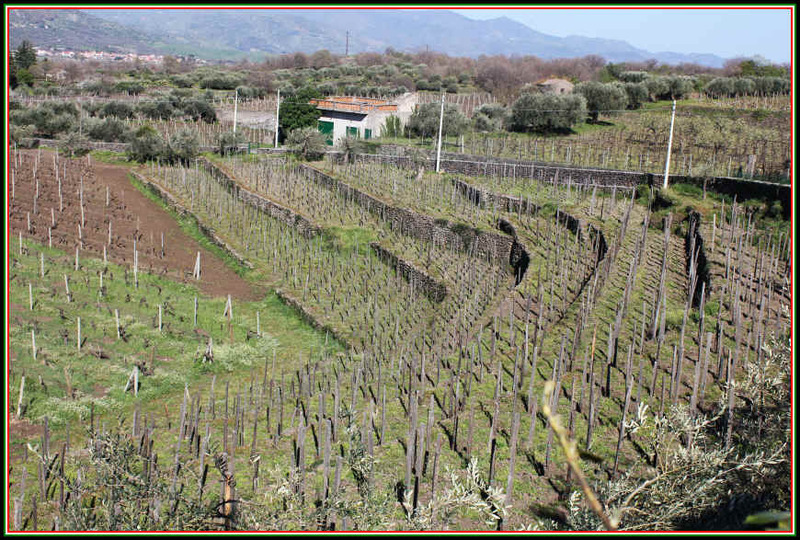 In 2013 they were able to buy an Etna-area vineyard site from the prominent Benanti family. 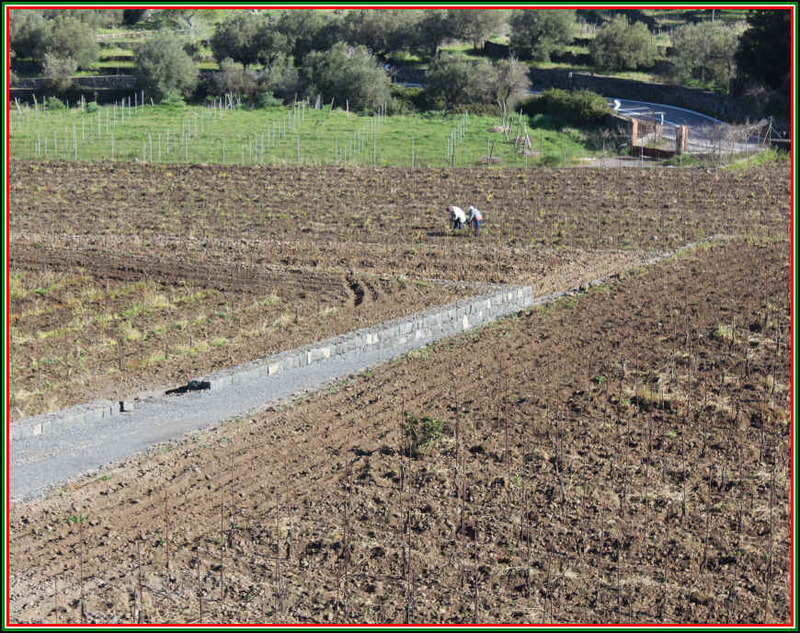 They started with about 15 hectares on the south side of Etna and we understand they have purchased another ten hectares on which they will plant more of the white Carricante grape. 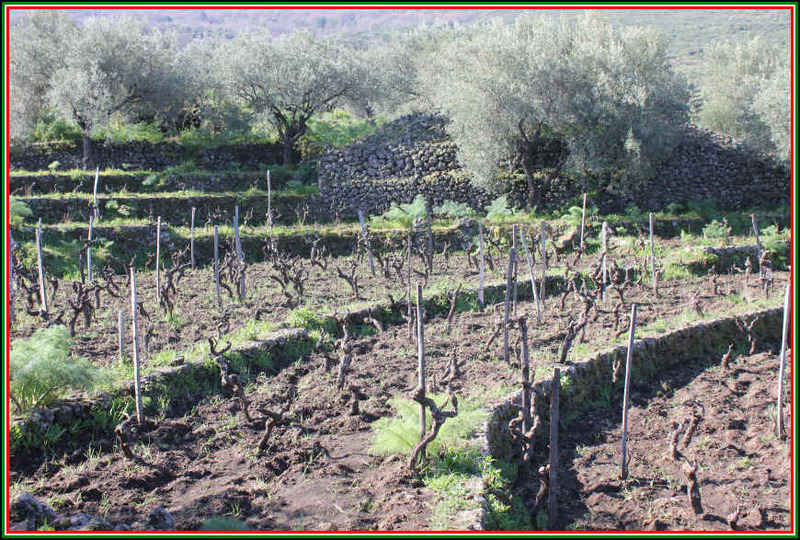 At this moment they own vines on five different Etna sites, including Guardiola, Feudo di Mezzo, Pietramarina, Solicchiata and Verzella. We've been fans of their Alta Mora Etna Bianco. The 2014 was exceptionally good...the 2015 is perhaps slightly less complex, but we ought to open a bottle to see how it's progressing...The 2017 is in stock presently and it's as "electric" as the 2014 and 2016. Beautifully acidic and full of personality! These are made entirely of Carricante, vinified in stainless steel tanks and left on the spent yeast for approximately 4 months. We find some faintly citrusy tones with a hint of pear. Maybe there's a touch of thyme lurking in the background of this dry, medium-bodied white. 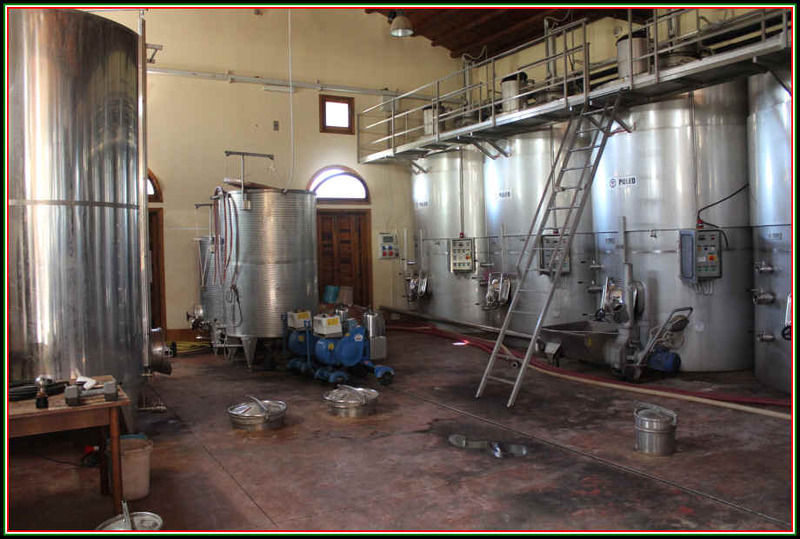 We visited their western Sicilia winemaking facility in the town of Partinico, a short drive from Palermo. 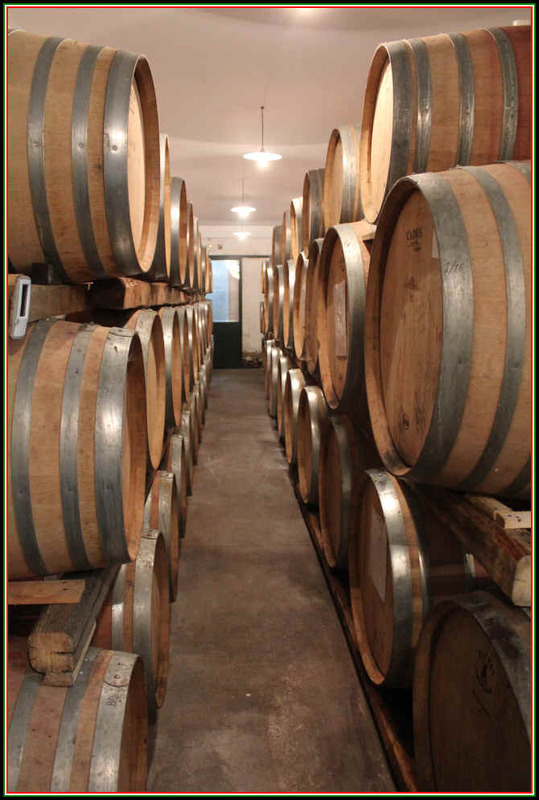 Small oak barriques and large wooden vats. The bottling line is impressive. 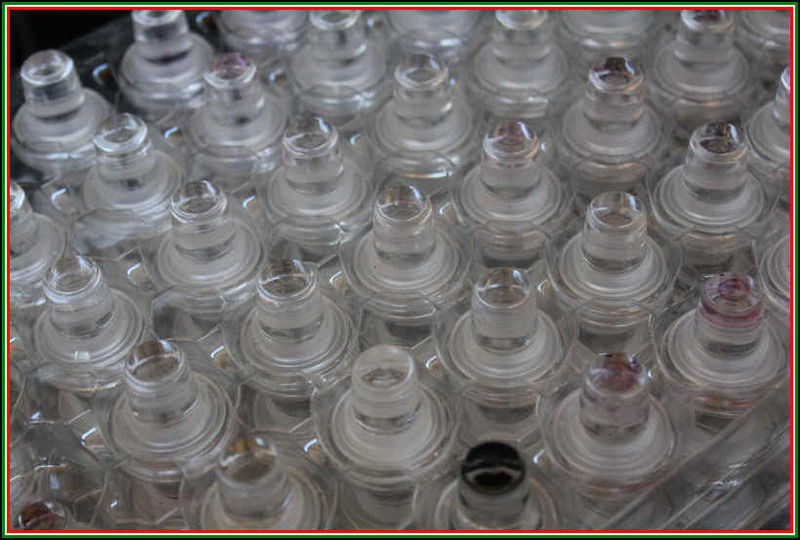 Many bottles are sealed with a glass closure. than a hundred years, but it's only in the 1980s that they began vinifying their fruit and then it took them until the 1990s to start bottling wine. Some things simply take time. 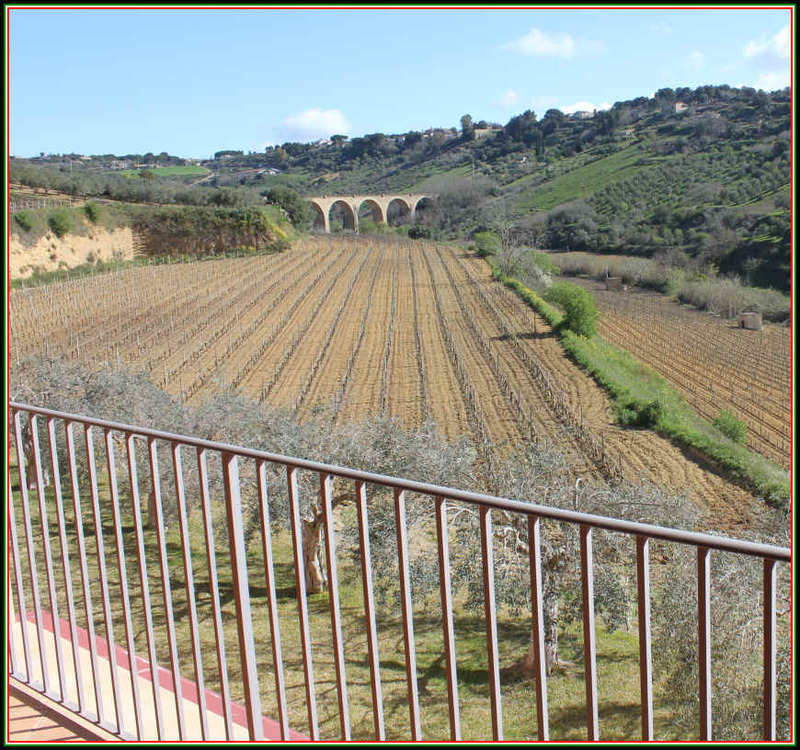 This vineyard and cellar (they also have three rooms if you want to book a stay at this place) are in south-east Sicily, an area highly regarded for the Nero d'Avola grape. 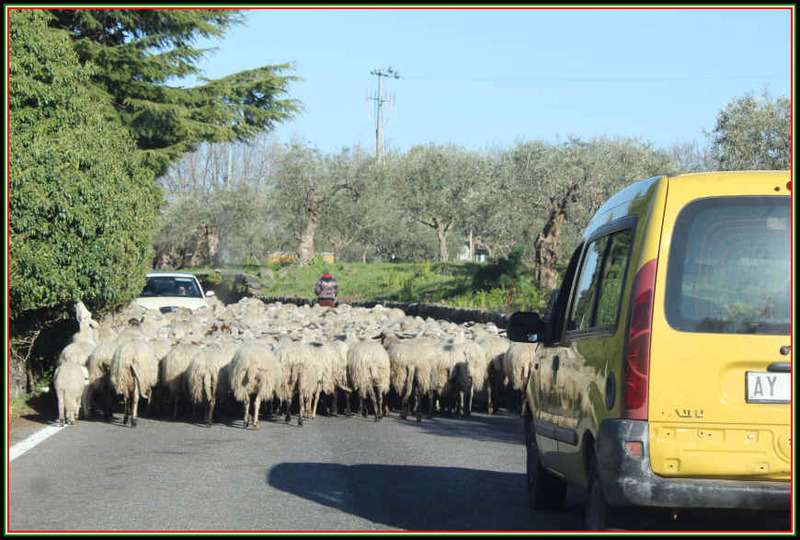 In fact, they are less than 15 miles from the town of Avola. 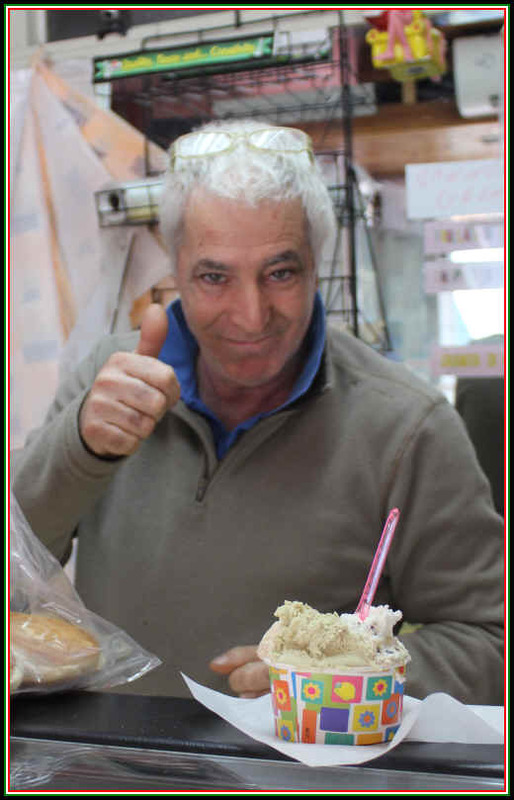 Massimo's great grandfather started the place and cultivated all sorts of crops, not solely grapes. 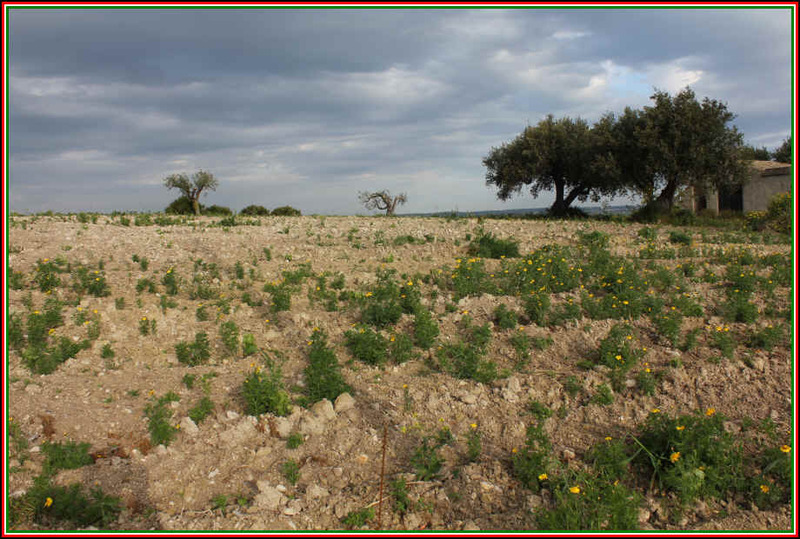 Even today they grow wheat and olives in addition to their winemaking work. The vines are trained in two different systems. They employ the cordone speronato method (cordon) and alberello (an old-fashioned bush-vine or "head-pruned" method). Massimo says he likes having both types of vines. 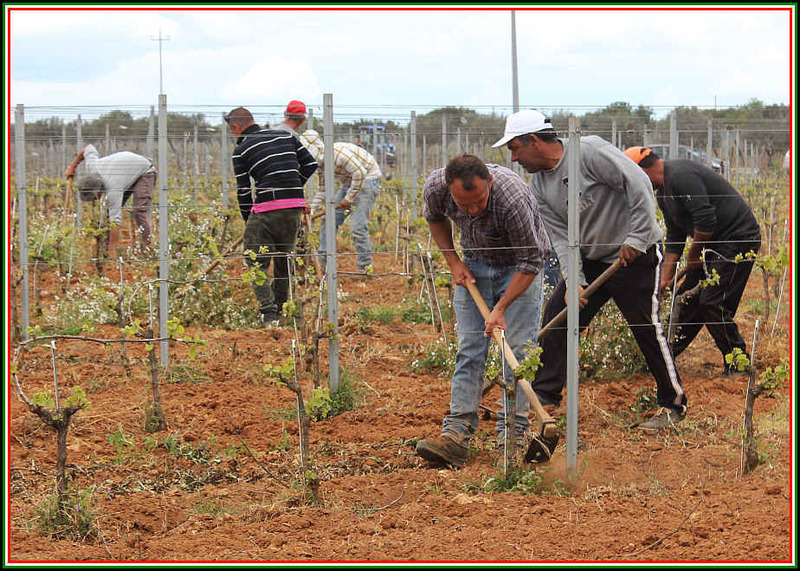 They are planting more vineyard sites and expect to cultivate about 26 hectares in a few years. Currently, as of 2017, they have 16 hectares in production. Massimo is very proud of their vineyard work. The vines are all cultivated organically. Padova was one of the first to embrace organic farming in the region and, we understand, they rejected one of the government agencies that certifies farms and vineyards as "organic" as their criteria were too lax! The vineyards do have some sort of certification but from an organization that actually has higher standard. Riofavara makes a simple white wine blend of Inzolia, Grecanico and one other white grape. My notebook indicates Moscato accounts for about 10% of the blend, though I don't find a fruity note here of Muscat. 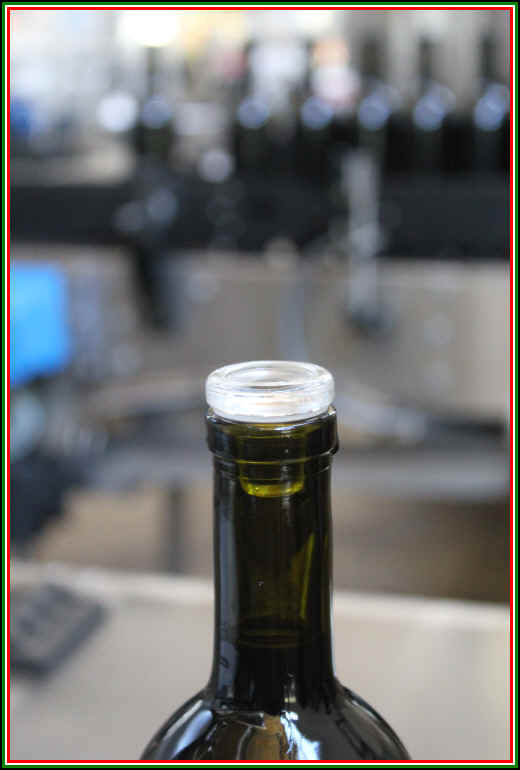 The winery web site indicates there's Chardonnay in the blend. They make a dry Moscato which had 5% of other white grapes, but this doesn't show the aromatics of classic Muscat. Of greater interest is their "Eloro" red wine (that's the DOC) called Spaccaforno. 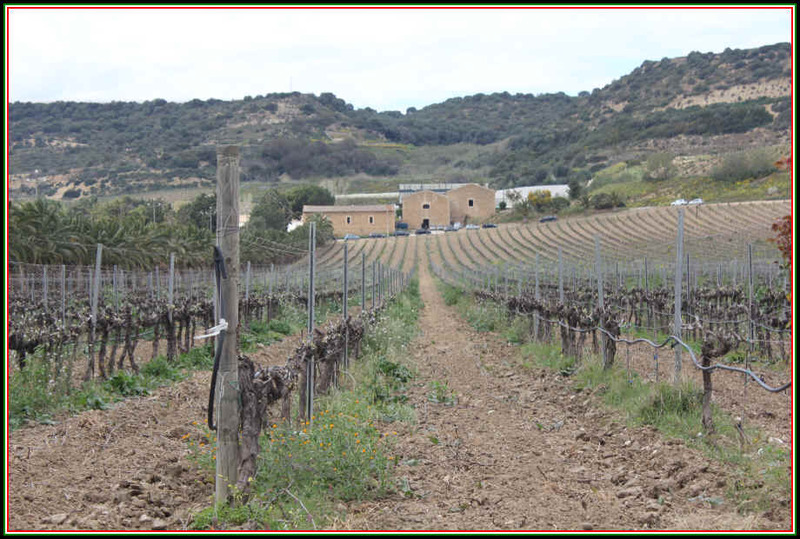 They have three vineyard sites in both Eloro and Noto. 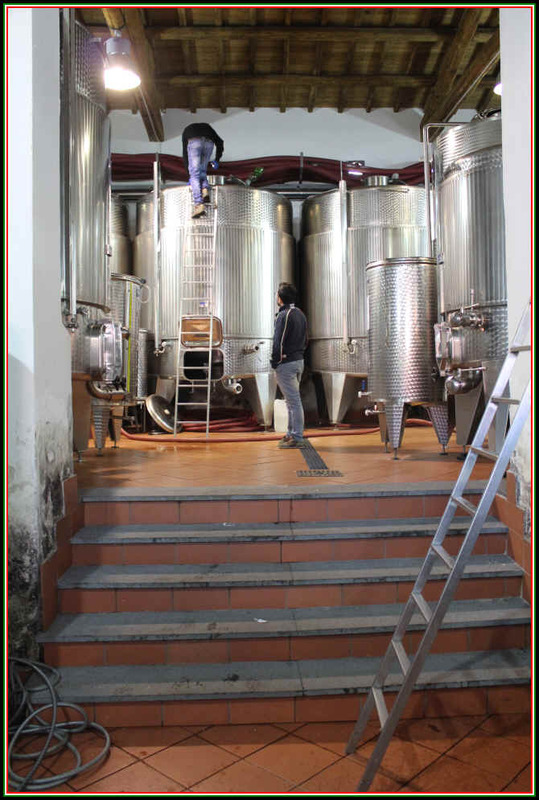 Massimo explained they hand-harvest all their vineyards and the fruit is destemmed before the fermentation. Indigenous yeast. Cement vats for the fermentation. The wine goes into wood for a brief time, maybe 6 months. The cooperage is typically of second and third usage with but a tiny percentage of new wood. 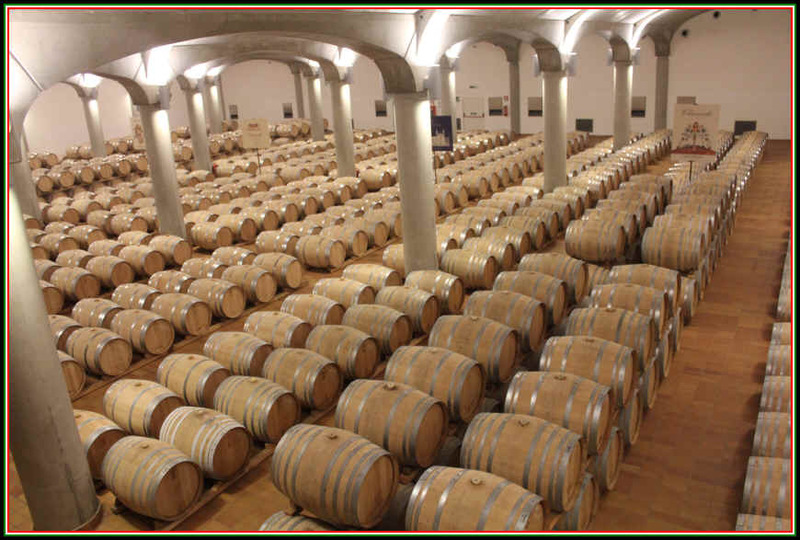 Padova is proud of their vineyard work and wants to highlight that rather than showcase an oak barrel. The wine is unfiltered, by the way. You can sense the ripe fruit in the wine and it's different from those made by big, commercial cellars. We don't view this as a wine needing more cellaring...the 2012 is showing well now and while it will continue to be in good form for a few years, it's not likely to develop additional complexity with time. But we may be wrong on this count. 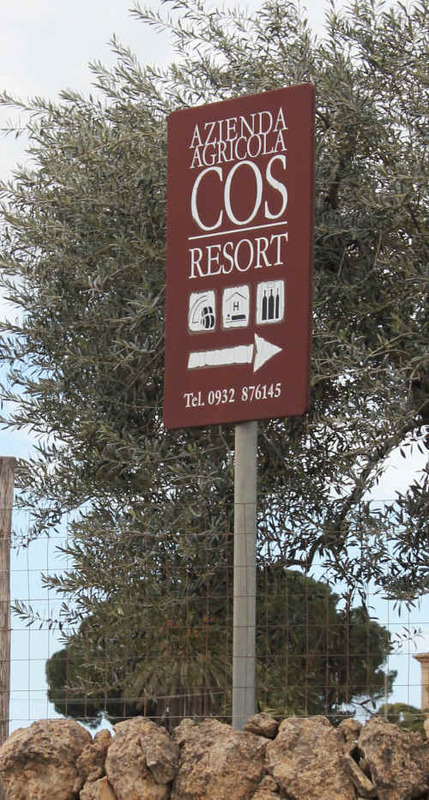 COS is viewed by many as both a leading naturalista winery and one of the classic producers of Nero d'Avola and the Nero d'Avola/Frappato blend called Cerasuolo di Vittoria. Strange that Strano departed and these days it's Cilia and Occhipinti running the CO.
Giusto Occhipinti is the face of the winery. 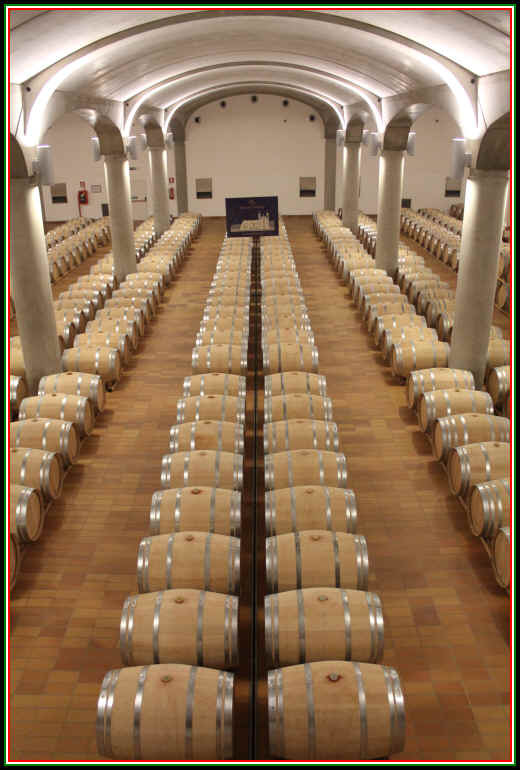 The winery was founded in 1980 using the old Cilia family cellar with three hectares of vineyards. Today the COS winery farms 36 hectares and makes approximately 200,000 bottles of wine annually. As you can see, the soils are not treated with chemical weed killers. They work the vineyards using biodynamic practices. The tractor then was used to work the soil or tame the weeds in the middle of the row. 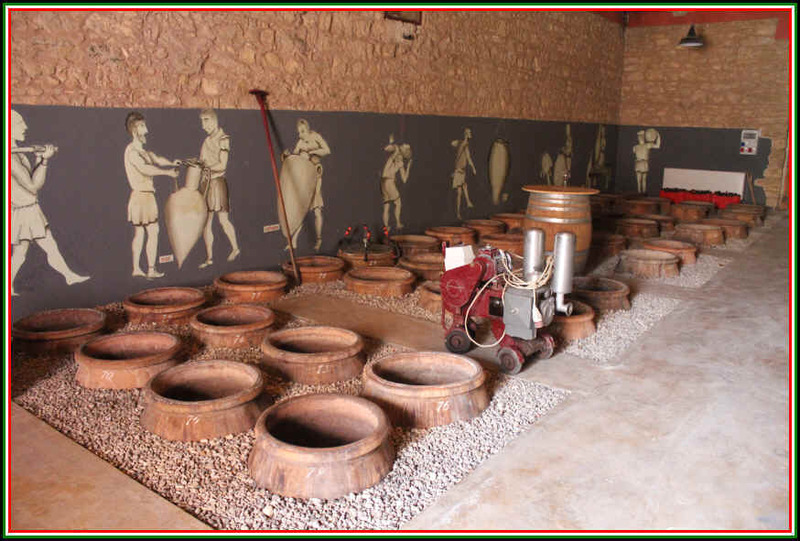 The original cellar had wooden vats and barrels but around the turn of the century they acquired terracotta amphorae and these are now in place. It seems they were enchanted by seeing these being used by winemakers in Georgia where kvevri or qvevri (as they're called). We have wondered about the effects of this on the juice of the fermenting wine. There are other tanks for fermenting and aging their wines. 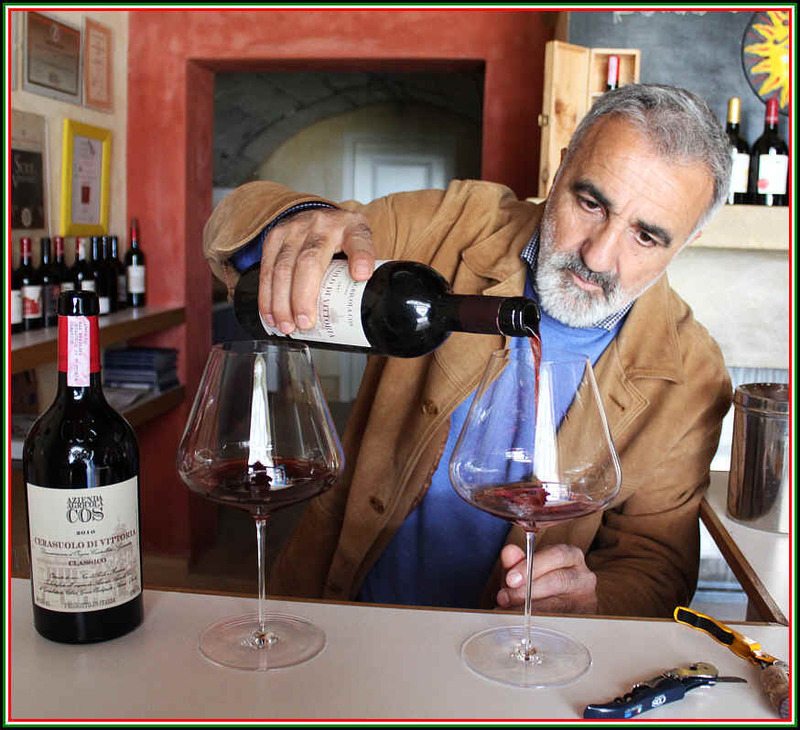 Giusto lamented those who think Sicily is the home of "big wines." "This," he says, "is simply not true." And he added "We have a great range of wines in a relatively small place. We have lots of different grapes." Continuing on the theme of variety, Occhipinti explained "Arabs, French, Normans, Phoenicians and the Spanish, etc., have all left their mark on Sicily. We need to celebrate this diversity." COS, as noted, began in the early 1980s. 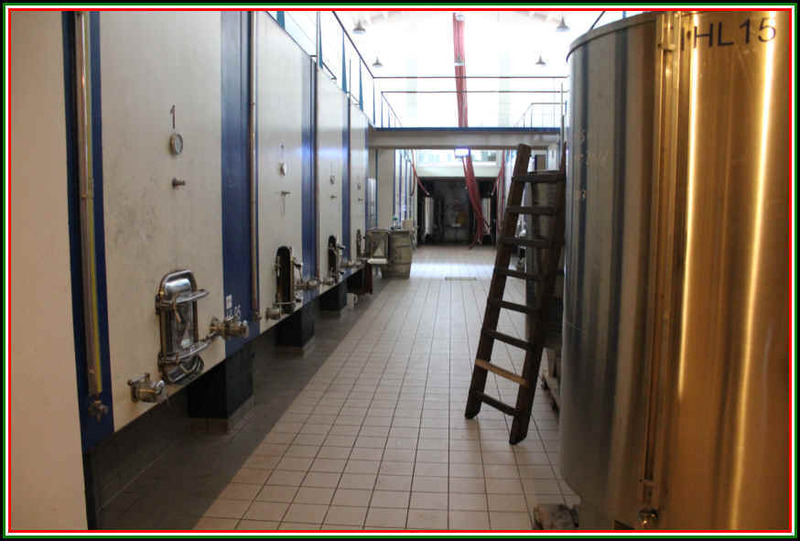 Giusto told us "In the 1960s and 1970s, winemakers were taught to watch the cellars. Curiously they were not schooled to pay attention to the vineyards. We pay attention to both." 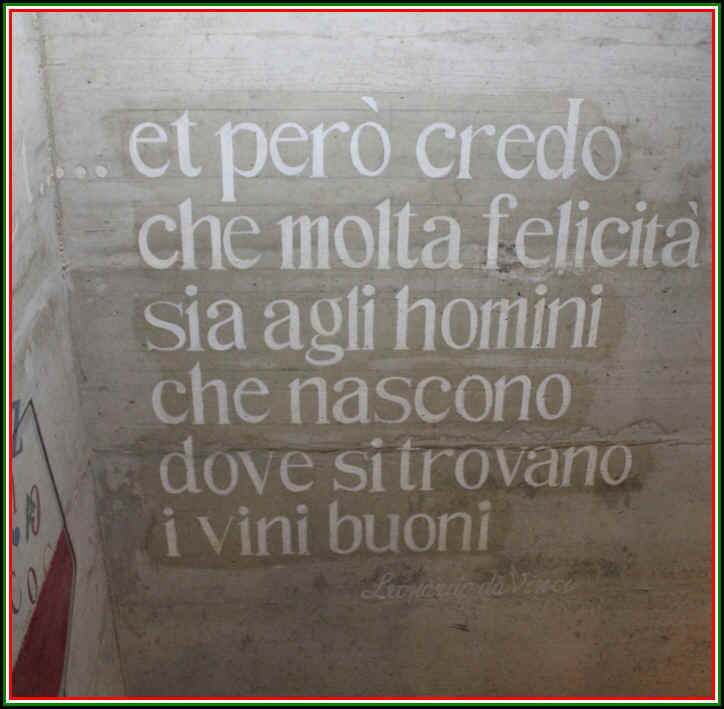 With respect to the various wines they've made, Occhipinti continued his philosophical speech saying "A wine from a single harvest is really a diary of the year. It tells a story of what happened during that growing season, from start to finish. The winemaker simply showcases it in the bottle." COS uses a proprietary wine bottle for its wines, another distinction. The two partners, Giusto Occhipinti and Giambattista (Si)Cilia. We tasted a recent vintage of Cerasuolo and the wine showed itself as somewhat along the lines of a French Burgundy with earthy, cherry fruit and some forest-floor tones. They were kind enough to open a 20 year old bottle of their Cerasuolo di Vittoria. The 1997 was entirely different, though it had a lightly brickish color but with fragrances that were more Bordeaux-like. Tobacco was a dominant fragrance and it was a bit like a mix of Barolo and Bordeaux. Old and mature on the nose and with a light streak of tannin down the middle. Back home we bought a few bottles of the COS distributor and found the wines to be quite distinctive. The Frappato was light and quite earthy/funky on the nose and palate. The 2015 Nero is labeled as Nero di Lupo. The vines are mature but not old. 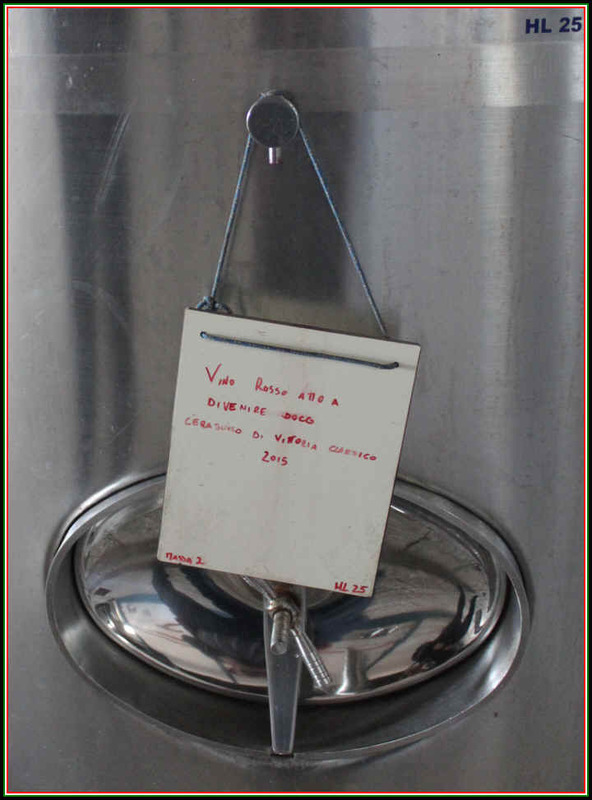 The wine is vinified, we believe, in cement or glass tanks and never sees any wood. It may be described as being a bit rustic as there's a hint of a funky note on the nose. The other people with whom we shared the wine were quite enthusiastic about it, but it's not likely to be a wine of universal appeal. The Rallo name is well-known in the region of Marsala. But this branch of the Rallo family became disenchanted with Marsala and they do not produce Marsala. In the early 1980s the Rallos founded a brand called Donnafugata, named after a woman who had sought refuge in Sicily in the novel Gattopardo by Tomasi di Lampedusa. 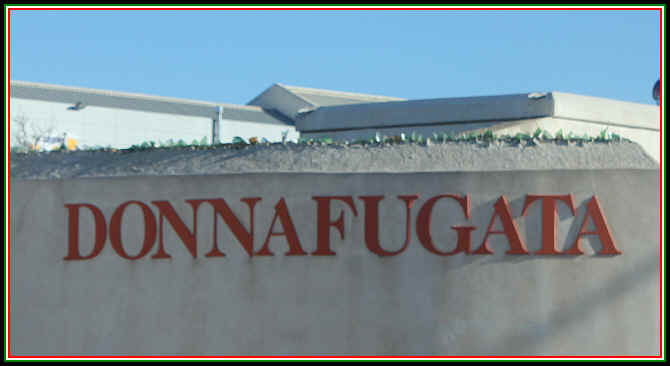 The donna in fuga (a woman seeking refuge or on the run) is the inspiration for the brand name. These days the place is run by Jos� Rallo and her brother Antonio. 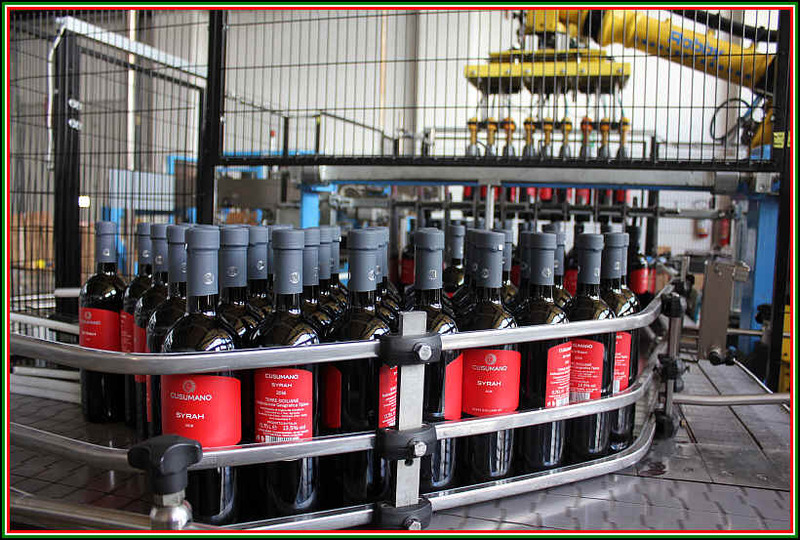 They have four winemaking facilities, including an important product facility off of Sicily on the island of Pantelleria where they make an amazingly good sweet wine called Ben Ry�. Aside from vineyards on Pantelleria, their table wines are sourced from an area called Contessa Entellina, some 41 miles east of their Marsala-area facility. 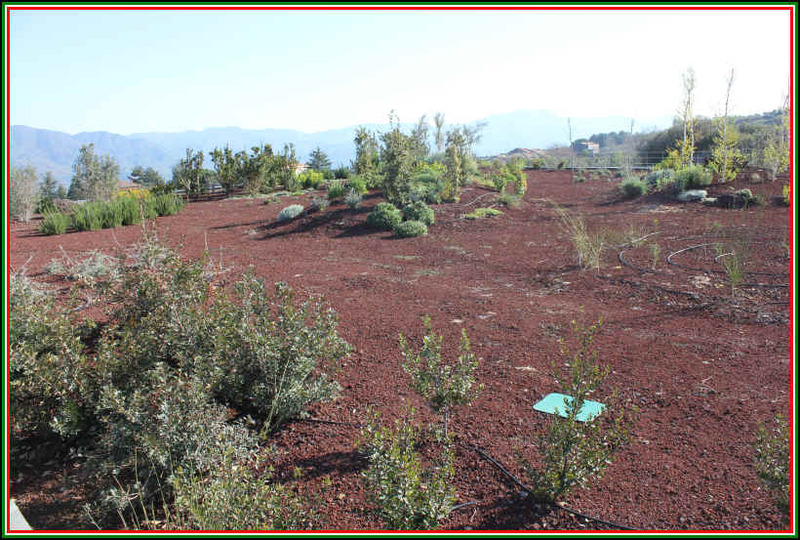 The family recently purchased soe property in the Etna area, too. Some international grape varieties were planted in order to validate the local grapes and to attract some attention to the winery. And they make reliably good wines, though some of the entry-level bottles are, well, entry-level quality. 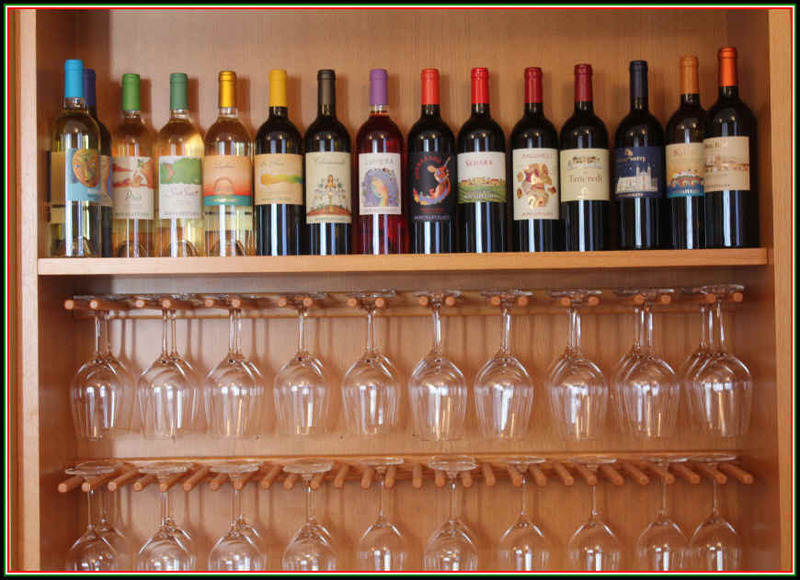 We have access to many of their wines. Of course, the Ben Ry� wine from Pantelleria is in stock. 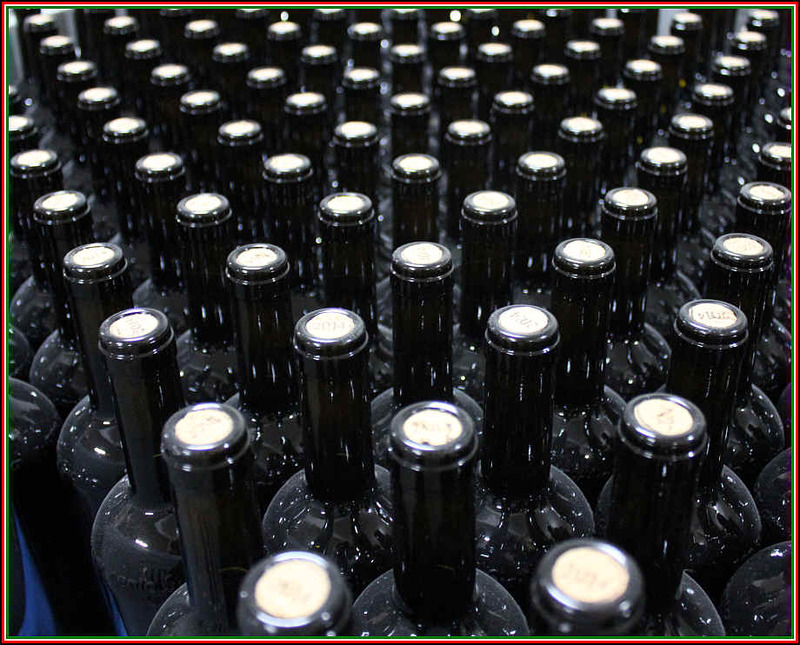 Sed�ra is a blended red based on Nero d'Avola but including Cabernet Sauvignon, Merlot, Syrah and other varieties. Their Nero d'Avola called Sherazade is a pleasant take, if a bit simple. No oak. Tancredi is a serious red with Cabernet Sauvignon, Nero d'Avola, Tannat and another few reds. It's matured in French oak for a bit more than a year. Now you're talking! The Nero d'Avola called Mille e Una Notte is blended with a bit of Petit Verdot, Syrah and maybe other reds. 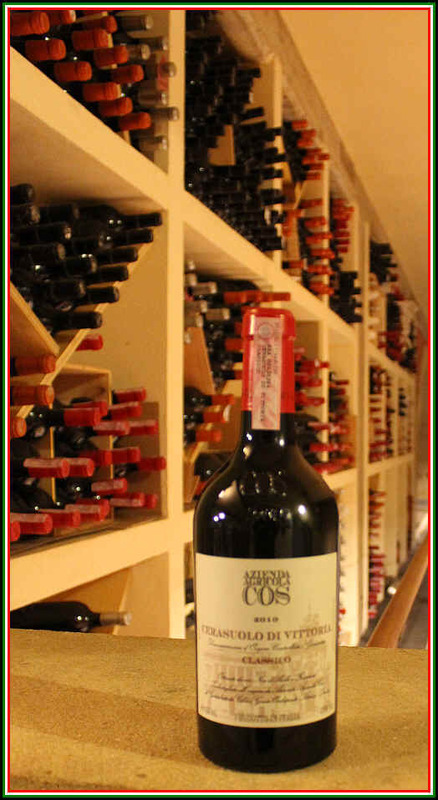 It's matured in French oak and is one of the best internationally-styled Sicilian reds. 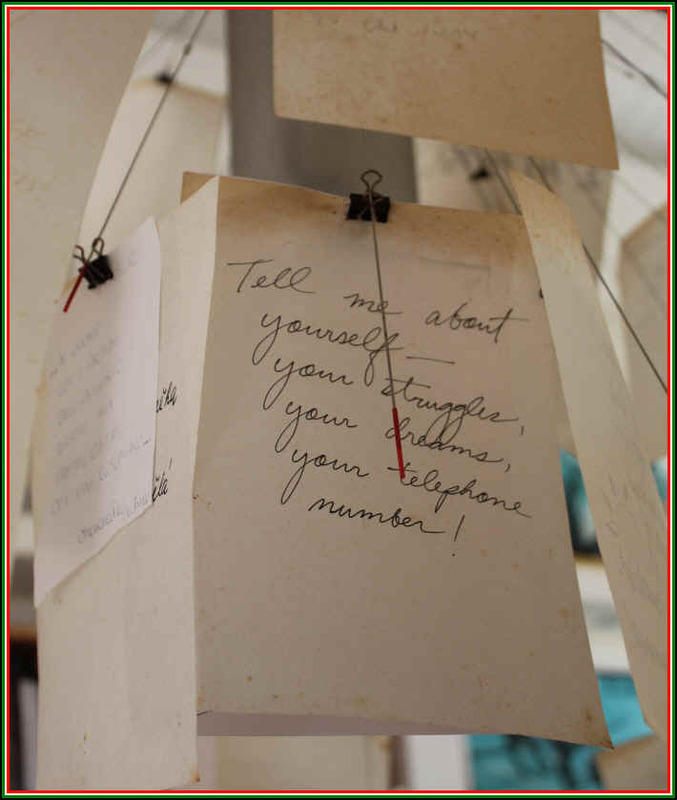 Let us know what you'd like and we will get them for you! 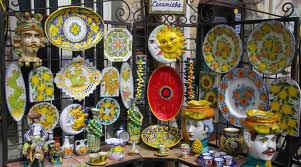 The town of Caltagirone is actually rather well-known, but not so much for wine as for ceramics. But there's some good wine made just outside the town and it's at the winery of the Lo Certo brothers, the Antica Tenuta del Nanfro. 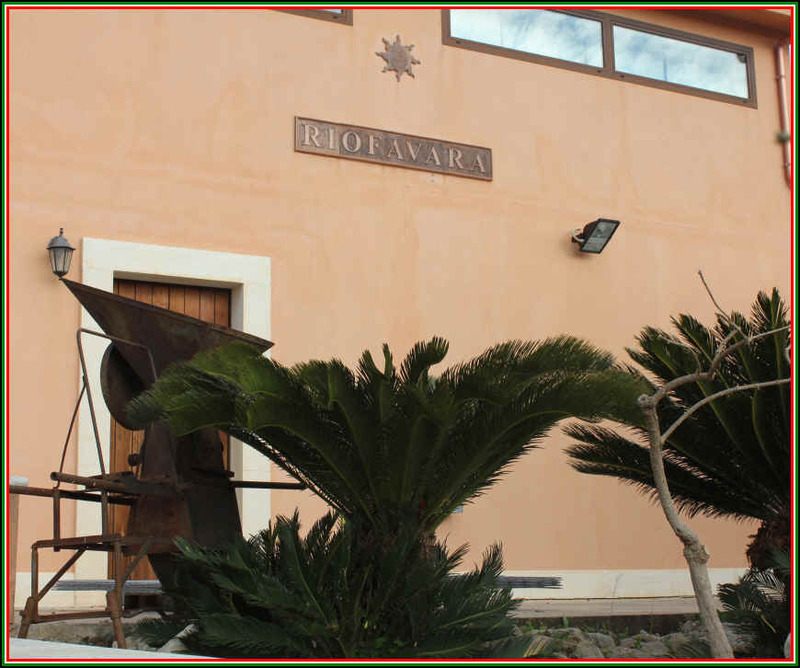 This winery is located a little more than an hours' drive west of Catania and 2 hours from Mount Etna. They have about 30 hectares on which they culivate grapes and olives. 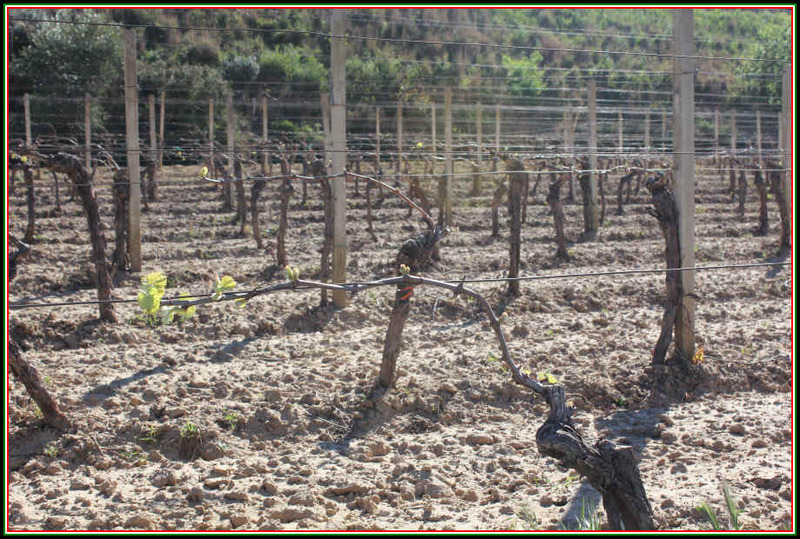 The vineyards are cultivated with care and are said to be farmed according to biodynamic principles. By the way, they now have a few rooms for visitors. CLICK HERE for a link to their web site for rooms. 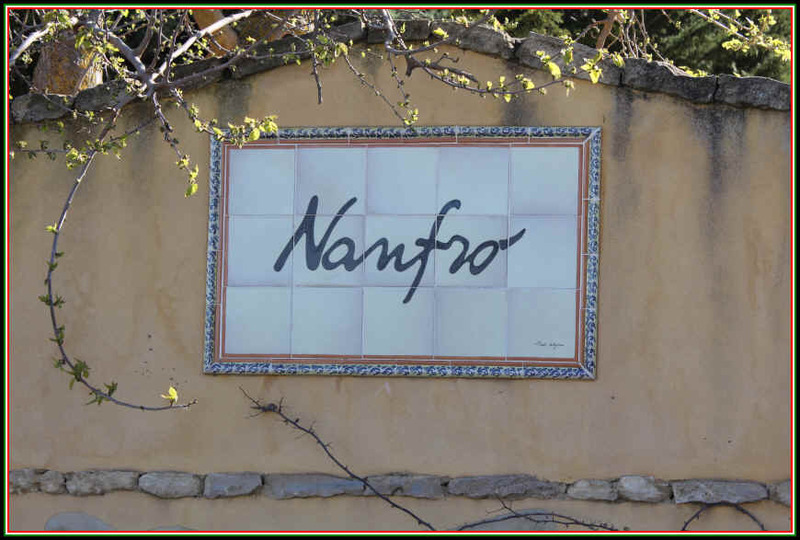 Nanfro's cellar is simple and well-maintained. "Want to taste Nanfro wine?" The Frappato grape isn't one with which most wine drinkers are familiar. It's made on its own, of course, but also turns up in blends as it's nicely aromatic and adds a point of balance and finesse to bigger reds. 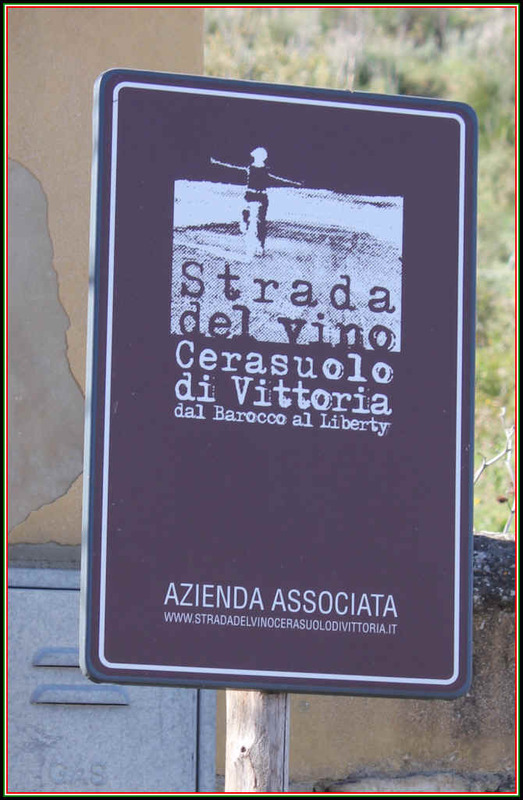 The famous Cerasuolo di Vittoria is Sicily's lone DOCG-designated wine and it's a blend of Nero d'Avola and Frappato. 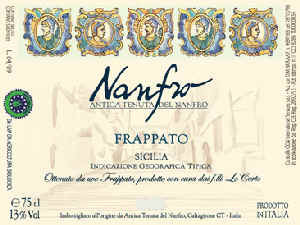 The Nanfro label has a really good example of Frappato...nice raspberry and cherry notes in a medium-light bodied red wine. The 2015 seemed to show a piney or resiny tone, as well. This is ideally served at cool cellar temperature, so we pop a bottle in the 'frigo for 40 minutes to an hour. It's not oak aged and some people describe this sort of wine as Sicily's Beaujolais. Nanfro's is not wood aged and, typical of this variety, it's nicely acidic. 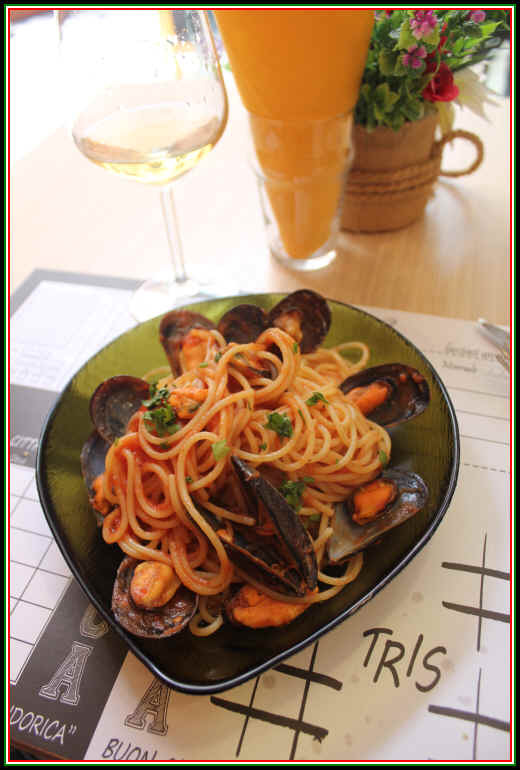 This makes Frappato a nice choice to pair with seafood pastas (tomato sauced prawns/calamari are a delight) or mildly seasoned chicken or pork dishes. POST SCRIPT: I was visiting some winemaker friends in Northern Italy and one of them was 'testing' me. He asked if I knew Ravignan in Armagnac. "Damn, you know all the best secrets!" A few California winemakers call to have me select some off-beat wines for them to explore. One called the other day raving about Nanfro Frappato. "Man, you have to send me some more of that!" he exclaimed. Paolo Cali is actually "Doctor Paolo Cali," a pharmacist in "real life." His passion, however, is viticulture and winemaking. 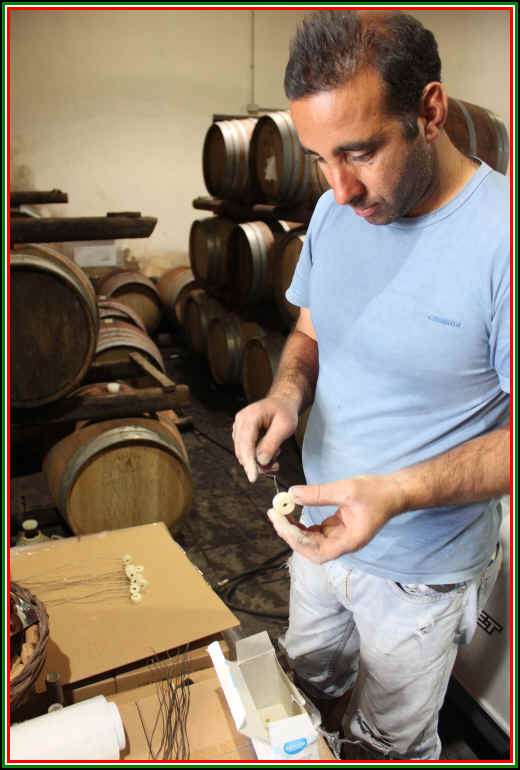 Paolo's father was also a pharmacist and the family has had some vines in Vittoria in southeast Sicily. The family has owned this dating back to the 1700s. They have three vineyard sites of note: Pruvuletta, Niscia and Forfice. They are just a few miles from the sea and the soils are rather sandy for the most part. Cali says many visitors like to walk barefoot through the vineyards. 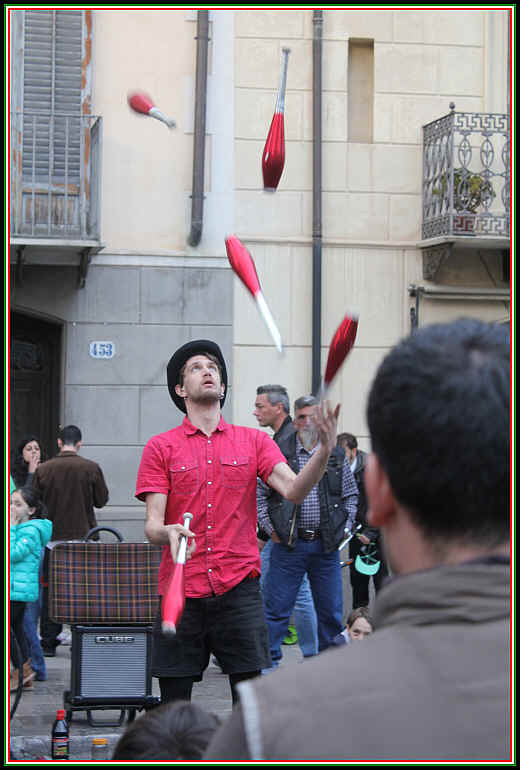 His father gave him the family property in 2001, the Contrada Salm�. Paolo has been planting vineyards ever since, apparently, and today they have about 15 hectares. 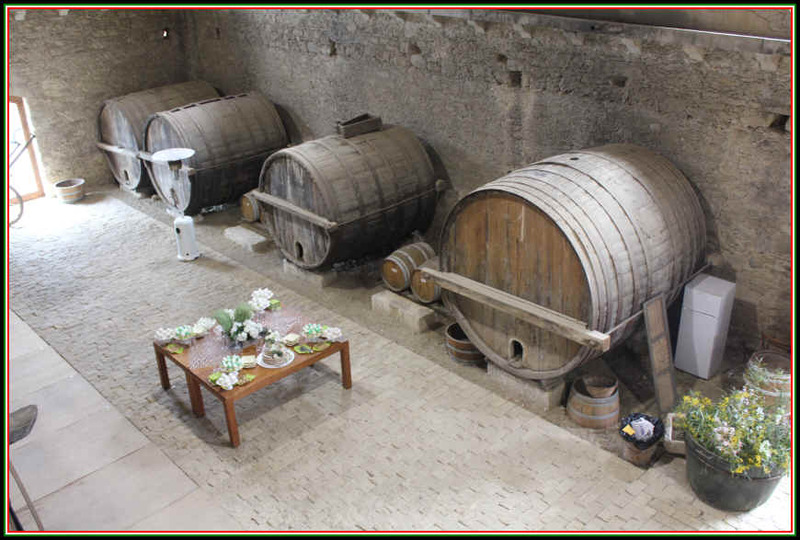 The first wine cellar in this modern saga was used in 2004 and they could vinify and store the wines. A year later they decided to incorporate a bottling machine which is housed next to the main cellar. 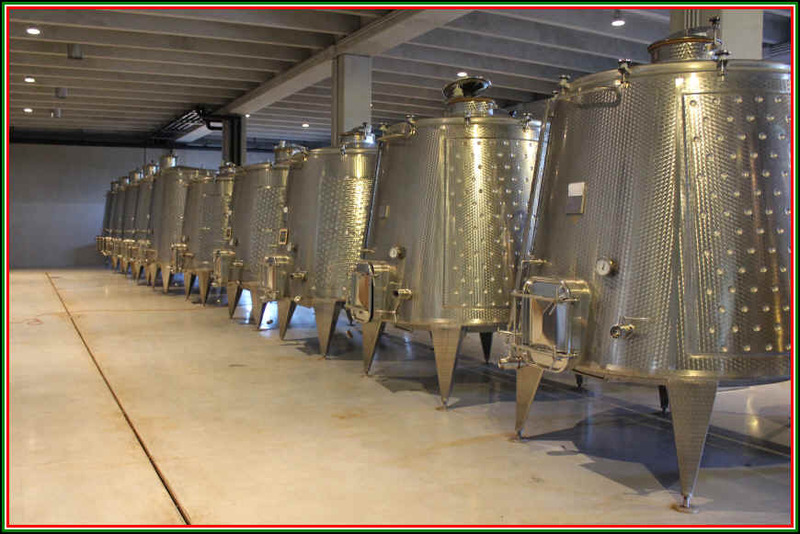 The grapes are picked and chilled for 24 hours before processing in stainless steel, temperature-controlled tanks. They employ indigenous yeasts, by the way and the vineyards are farmed organically. Cali is a big music fan and has names for his wines such as "Blues," "Jazz" and "Violino." We currently have a 2015 Nero d'Avola from Cali under the name "Violino." It's made entirely of Nero and Cali suggests pairing this with a music by Johann Sebastian Bach. It's Partita No. 3, BWV 1006. Better drink quickly, though as this piece takes but 20 minutes to play. We noticed the new bottling no longer has this musical suggestion on the label, though. While this is certainly a nice pairing, might we suggest matching a bottle of Cali's Nero with roasted chicken, grilled pork chops or a rack of lamb? You can play whatever music you like, frankly. We found the piano stylings of Joyce Cooling worked nicely as did some Pat Metheny tunes. Some samba tunes by Michael Franks seemed to pair nicely as did some classical music by Smetana. The wine is about the weight of a Pinot Noir and fairly gentle and it's drinkable now...no aging required. It's one of our favorite Sicilian reds as the wine is top quality and wlel-priced. The Planeta family claims 5 centuries of history, tallying to something like 17 generations. 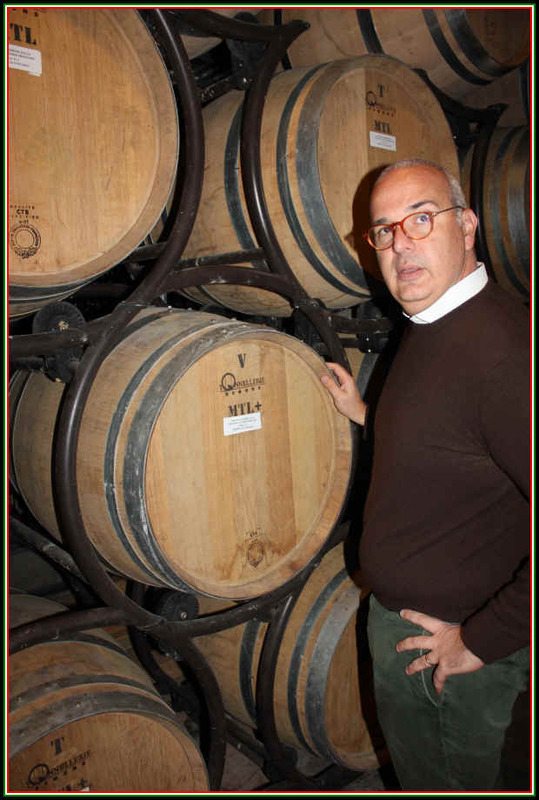 As noted elsewhere on this web page, Diego Planeta assumed the helm of a large Sicilian co-op winery in the 1970s and changed the course of wine growing and winemaking on the island. He was quite a visionary and today the next generation is running a family-operated company comprised of 5 wine estates around Sicilia. 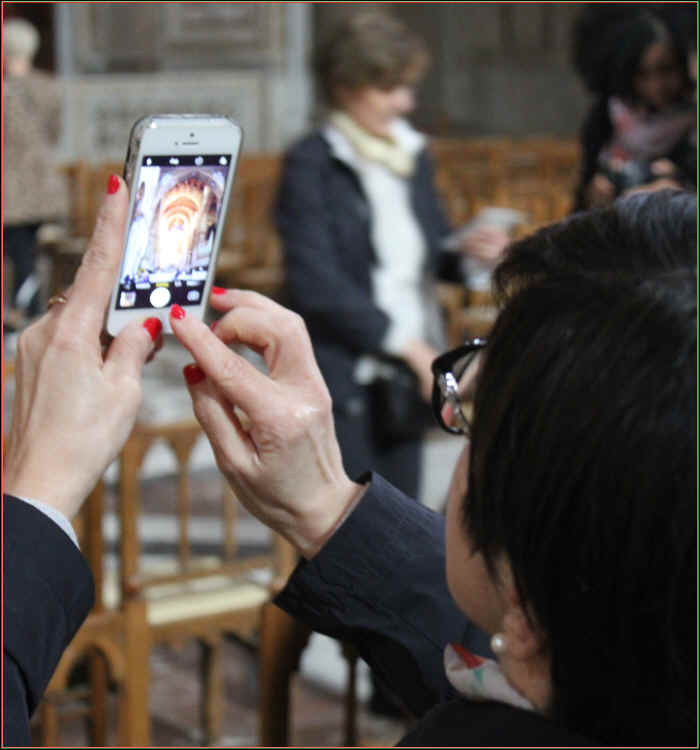 Today you'll meet Francesca, Alessio or Santi Planeta who run this impressive show. People have likened the Planeta family to Napa's Mondavi clan. There are some similarities, to be sure, as both are pioneers. 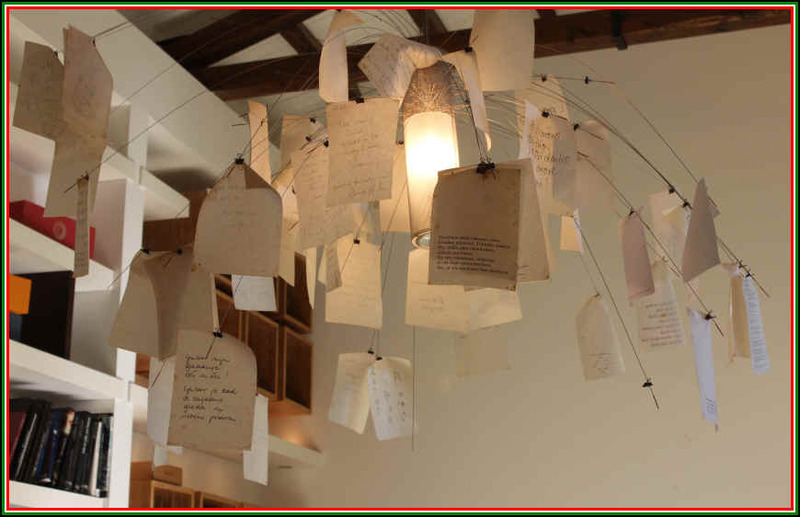 Robert Mondavi had the idea of improving wine quality and this had a major impact not solely for his family, but for his neighbors. 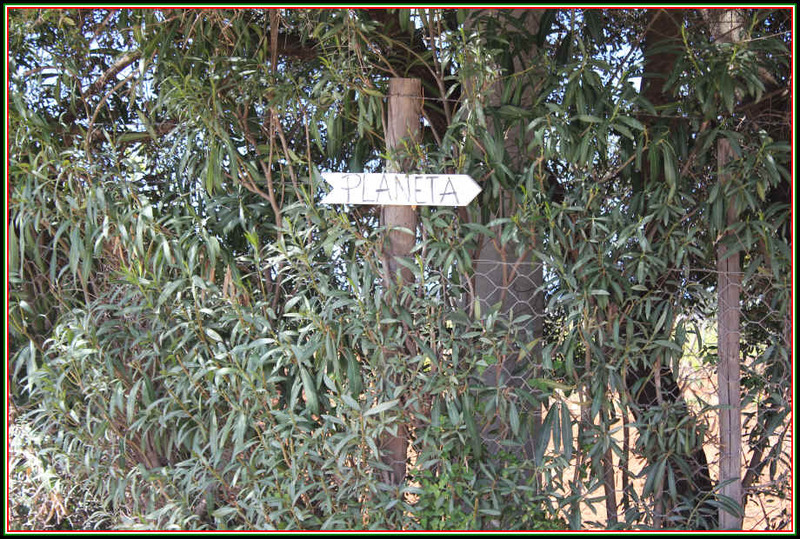 The Planetas, similarly, have led the way in Sicilian viticulture, winemaking and marketing. We have heard some Sicilian producers credit the Planeta family with leading the way for them to be in the wine business, period. And the Planeta wines set a good standard, constantly raising the bar. Mondavi, of course, began in Napa making premium wines. As the business grew, they expanded their holdings with vineyards in other wine regions. The Planeta family began on an unplanted site called Ulmo near the lago Arancio, about a 30 minute drive eat of Menfi and one hour south of Palermo. 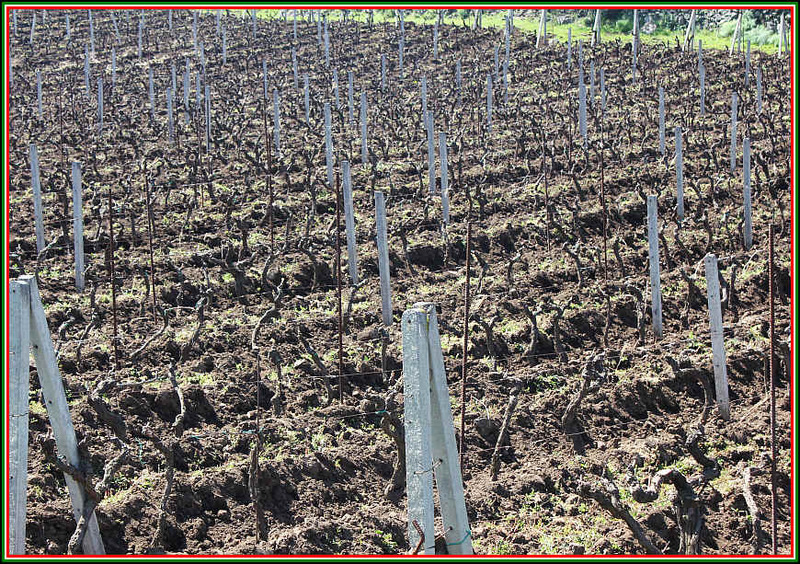 Diego Planeta proposed this to his nephew Alessio in the mid-1980s and they soon planted 50 hectares of vineyards. And the work and exploration has continued ever since. They researched Sicilian history and grape-growing, planting old, indigenous varieties and brought in some international vines, as well. Planeta brought in a globe-trotting Piemontese winemaker, Carlo Corino, to help advise them on winemaking. From their relatively modest beginning, they ventured to other parts of Sicily, setting up shop in Vittoria, Noto, Etna and, most recently, Capo Milazzo. This last or most recent site is a great example of pioneering grape growing by going "back to the future." It's a vineyard (and olive grove) place that's about 17 miles northwest of Messina with a view towards the Lipari Islands. 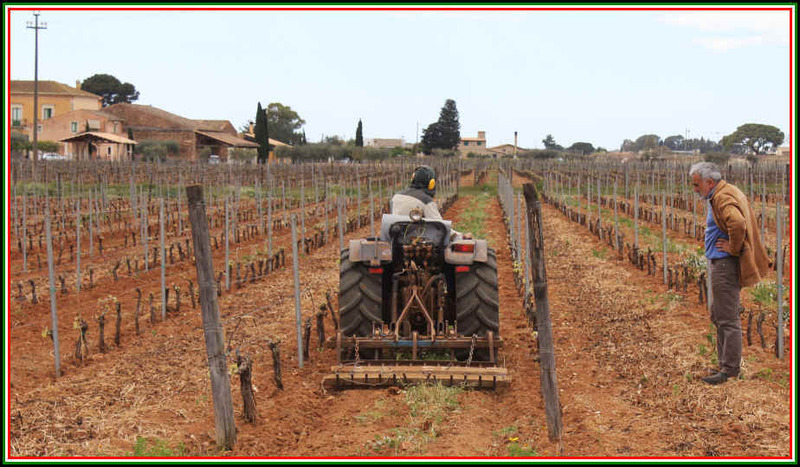 There they've planted Nero d'Avola and Nocera, but are also playing with some ancient and obscure varieties such as Catanese Nera, Lucignola and Vitraruolo. With contemporary packing and modern wines, Planeta's wines have been a terrific ambassador for Sicily. More than one Sicilian vintner has told us they would not be in the wine business with their own brands were it not for Planeta. "They put Sicilia on the map." we've been told. 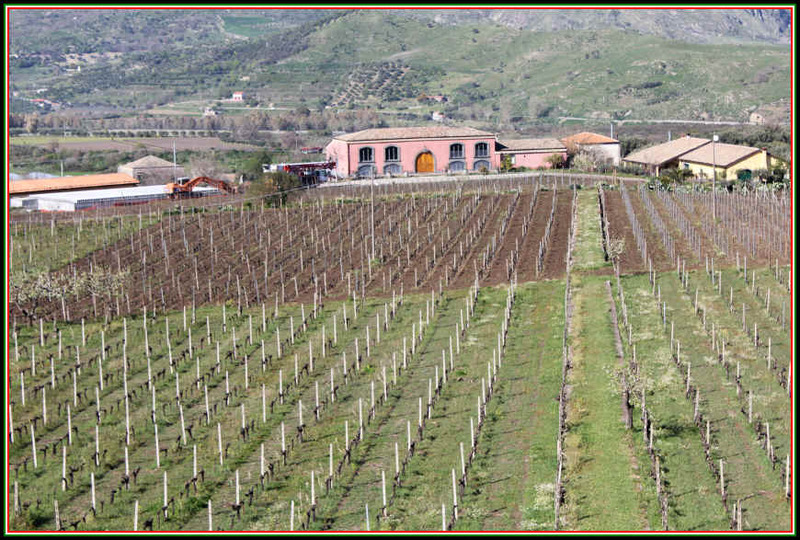 With numerous wineries in well-chosen sites across Sicily, Planeta range of wines is impressive. They farm "sustainably," by the way. We've typically found the wines to be quite good and the range of bottlings is impressive. There's Nero d'Avola, of course and Nerello Mascalese from Etna. Their Cerasuolo di Vittoria is routinely very fine (and it turns out these can age handsomely. An old vintage opened for us by Alessio Planeta was a surprise!). The planted the Fiano grape, a variety typically found in Campania. There's Syrah. They make a Bordeaux blend of Cabernet Sauvignon and Cabernet Franc (called Burdese). They even dabble in Riesling. Sparkling wine? Yes! Made of Carricante from the Etna area...quite good, too. And there's Moscato in dry and sweet formats. One of the real pioneers in the world of Italian wine is a fellow we met in the 1980s. His name was Marco de Grazia back when we first met him. Today he's "Marc de Grazia" and he fancies himself to be some sort of Italian vigneron having established a production of wine on the slopes of Mount Etna. Back in 1980 he was representing maybe a half a dozen wineries from Italy. He had importers and distributors around the US and he would make a tour to promote the little producers whose wineries he represented. 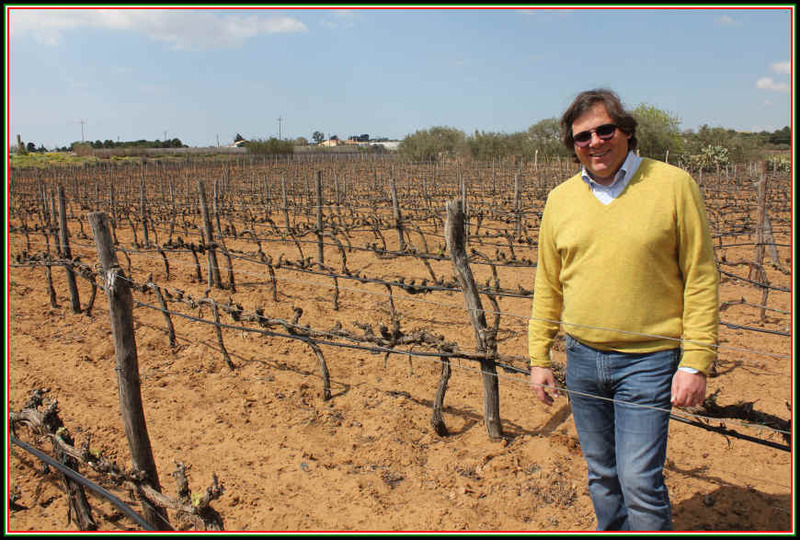 Over the years this business expanded considerably and these days Marc and his brother Iano (as in Sebastiano) deal with more than 5 dozen estates. 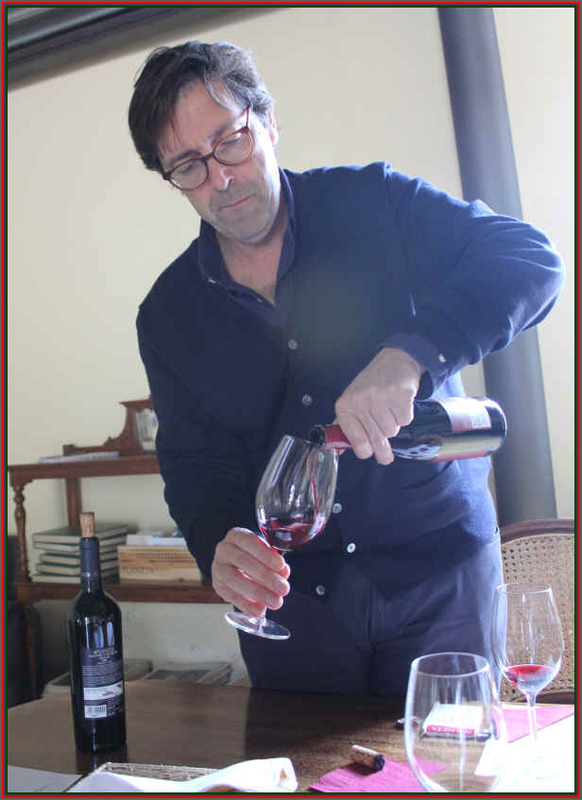 De Grazia had some of the top artisan winemakers in his portfolio, representing great winemakers from Piemonte such as Luciano Sandrone, Elio Altare and (the now late) Domenico Clerico. 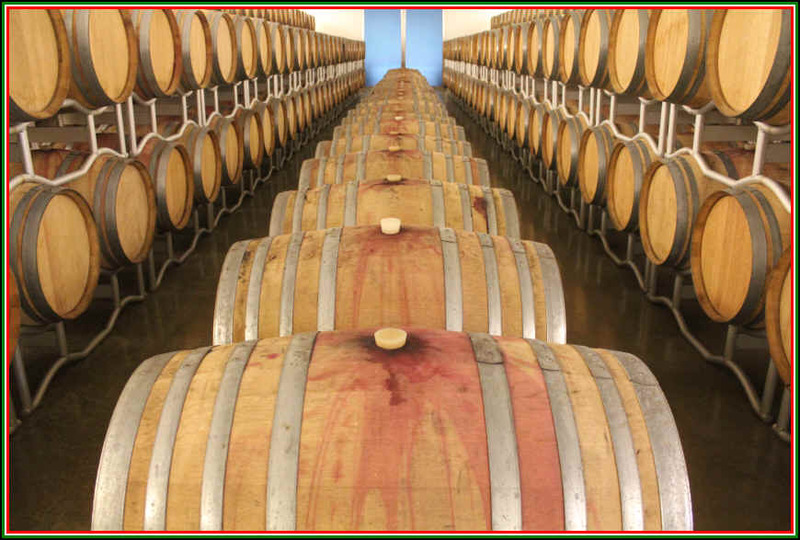 He encourage these modernistas to break from the traditional winemaking practices and embrace, amongst other things, French oak barrels. It was remarkable to see the changes in the style of wine many of De Grazia's wineries employed. Back in the "old days," Piemontese wines were really hard as nails. 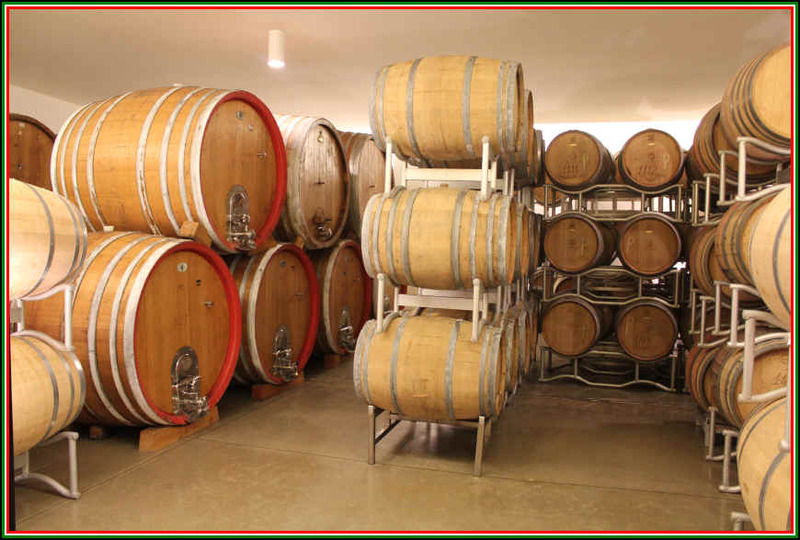 By changing the maceration of the skins during the fermentation and using small oak instead of large botte grande his stable of Piemontese wineries was turning out showy wines which were approachable earlier than their old school brethren. We found, though, while his wines from Piemonte were perhaps better balanced, many of his Tuscan producers were then making fierce Sangiovese-based wines. 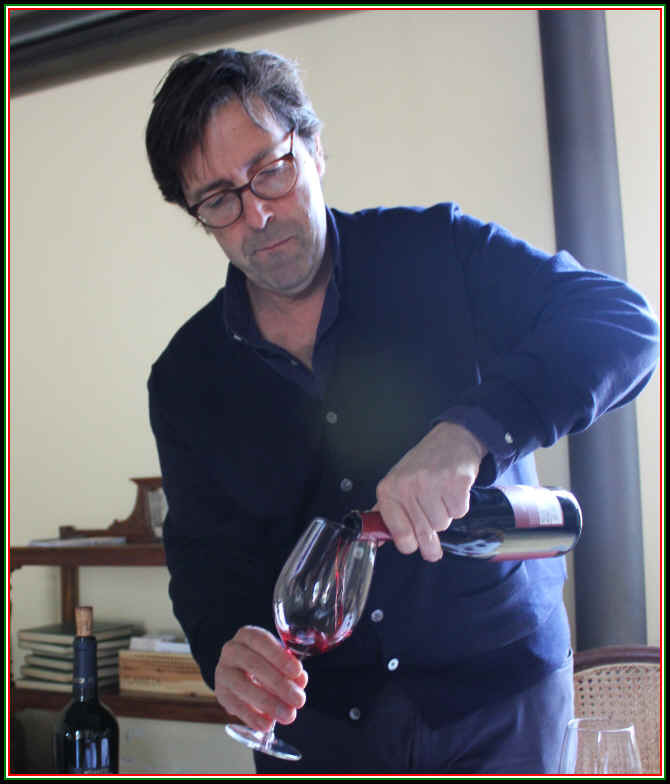 In the early 2000s, de Grazia found another challenge...not merely advising winemakers what to do to make their wines more appealing to the consumer, but to taking the plunge and actually making his own wines. But he did not set up shop in the backyard of any of his producers. 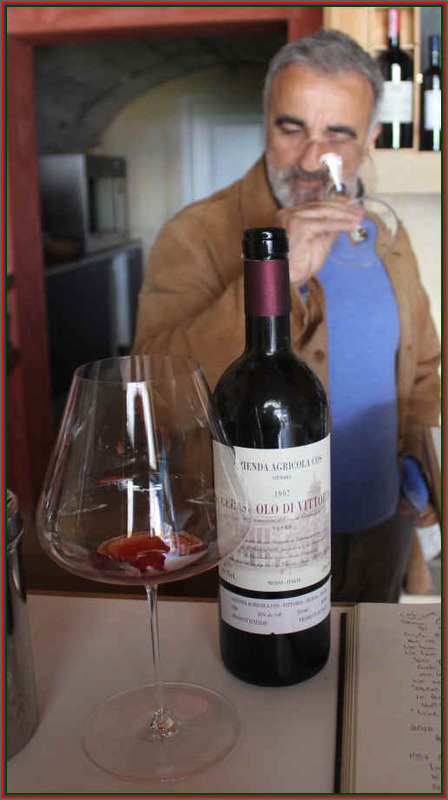 Instead he took on the challenge of making wine from vineyards on the slopes of the active volcano, Mount Etna. The vineyard land was relatively sensibly-priced and he could make wine in an area where there was, at that moment, untapped potential. In fact, in the late 1990s, wine from Etna was a curiosity and not something worthy of the connoisseur market. So De Grazia first vinified Nerello Mascalese from recently-purchased vineyard under the brand name of Tenuta delle Terre Nere, the estate of black soils. We recall tasting early vintages and found many of these to be styled along the lines of the old school Piemontese wines made of Nebbiolo. The entry level bottling of Etna Rosso struck us as the most consumer-friendly wine. And tasting through the various wines being made at Terre Nere today, we find the single vineyard wines to be quite promising, but they are usually released much younger than they should be. 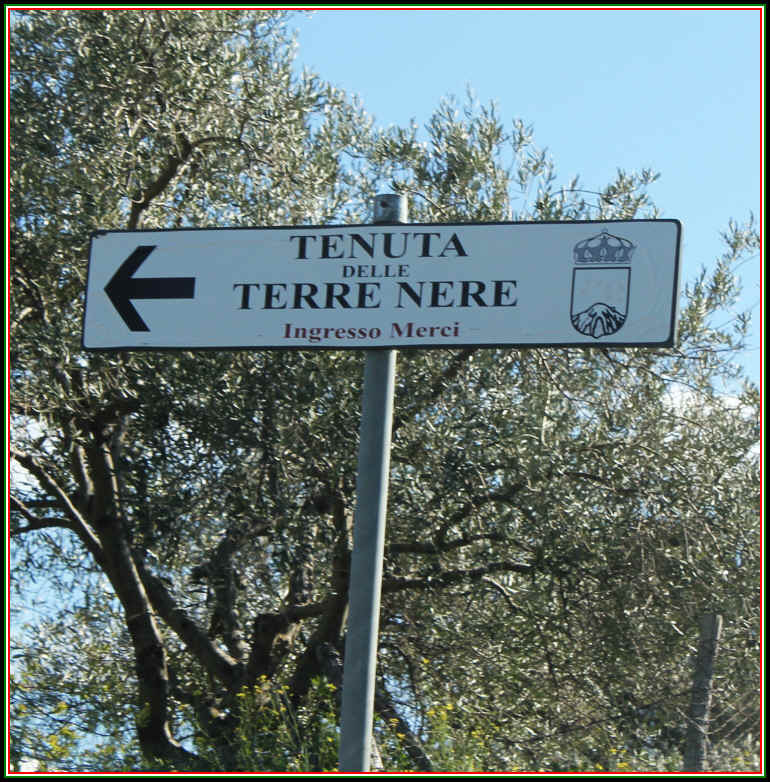 The Terre Nere estate comprises some 30 hectares of vineyards in 2018 and it includes some very old, pre-phylloxera parcels. 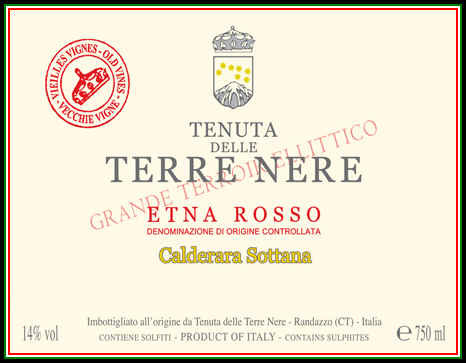 We currently have the 2016 TERRE NERE Etna Rosso in stock...as noted previously, this is intended for immediate consumption and it's showing beautifully in its youth. Grapes from numerous vineyard sites are incorporated into this. It's said to be 95% Nerello Mascalese and 5% Nerello Cappuccio. The grapes come from parcels planted in 1967 and 2012. It's a medium-bodied red and a good introduction to Etna reds. We suggest serving this at cool cellar temperature. 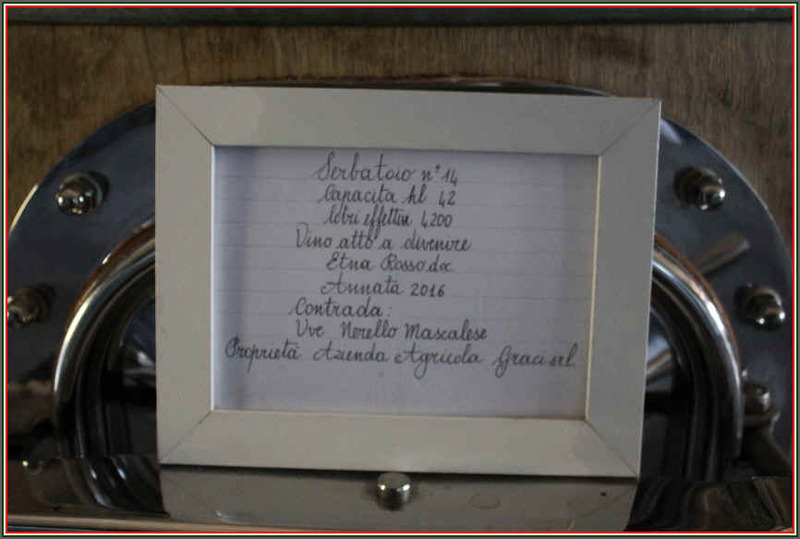 The 2015 single vineyard bottling of Calderara Sottana is a wine for cellaring. The Nerello Mascalese comes from vineyards planted in 1917, 1963 and 1967. There's maybe 2% of Nerello Cappuccio and those vines are from 1917 and 1967. 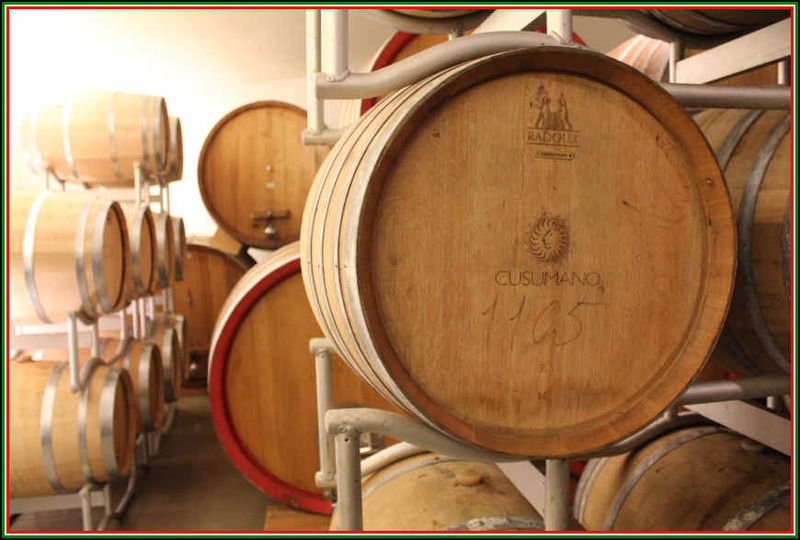 The wine is matured in a variety of wood: barriques, tonneaux and large casks. Only 20% of the wood is new and there's a firm backbone of tannin and acid here. If you're going to drink this presently, we suggest splashing it around in a decanter for an hour, or so. 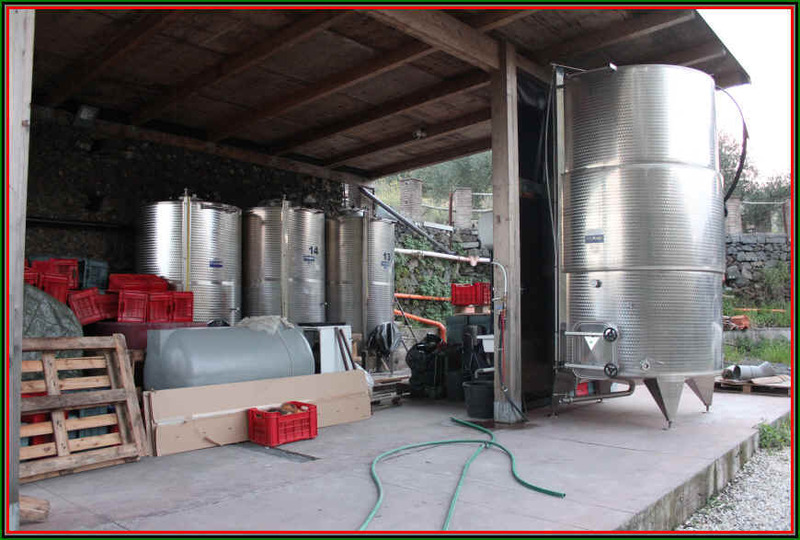 This modest-sized enterprise is the work of two families, the Jaconos (who started making wine in the late 1800s) and the Ferreris (who came on board in the early 1980s). 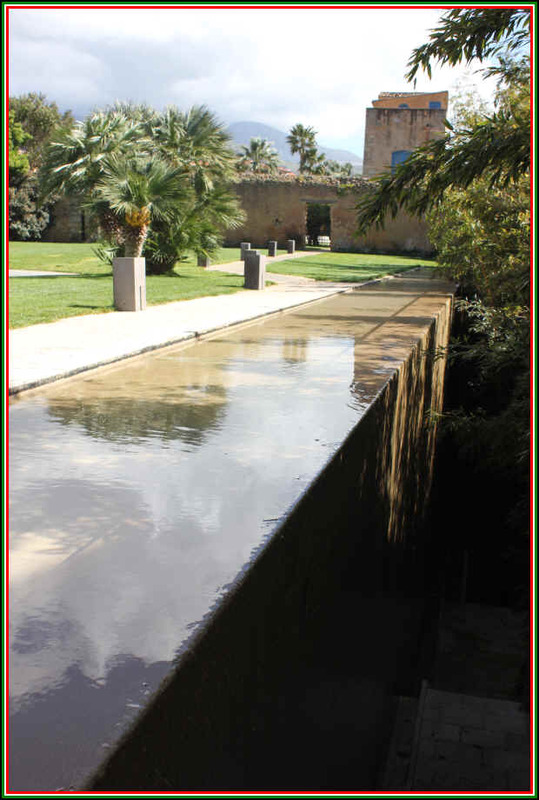 The place is located in the Valle del Dirillo near the town of Acate...34 kilometers, roughly, from Ragusa. 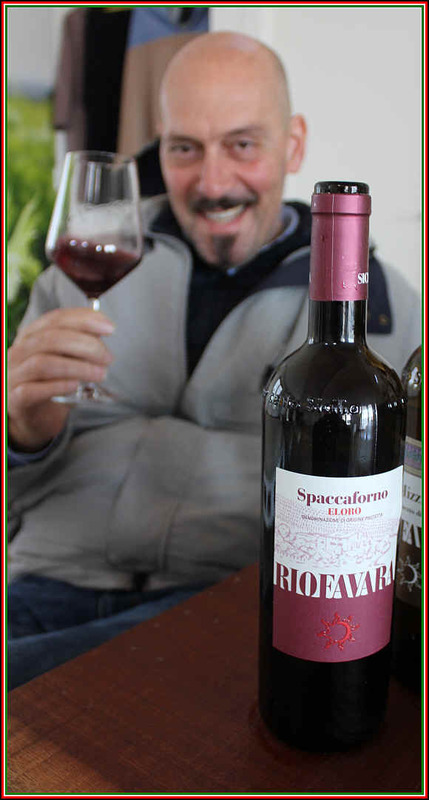 Gaetana Jacono is the face of the winery these days and Francesco Ferreri also plays a major role in running the place. The winery is locked behind a walled compound and it appears to be some sort of warehouse design. Those nice stone buildings may have been a winery or agricultural facility at one time. These days one of the buildings houses old farm and winery equipment and it's a bit of a museum. 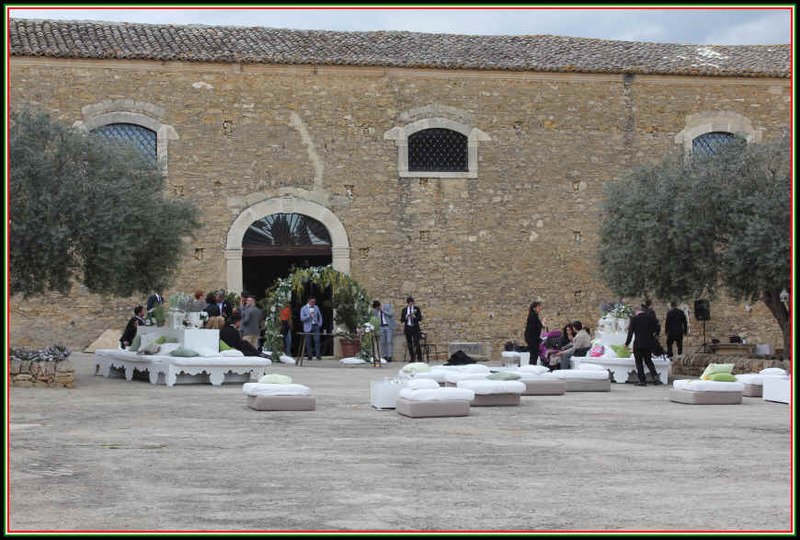 They also host weddings and other events, serving, of course, the Valle dell'Acate wines. The day we visited there was a wedding and the band they had serenading the party-goers played 1950s American rock tunes! There is some river in the region called Acate or Achates and it's said that Pliny the Elder agreed with the Greek expert Theophrastus that the stones called Agate came from this river. We are not sure if this adds to the supposed terroir of the wines from this region. 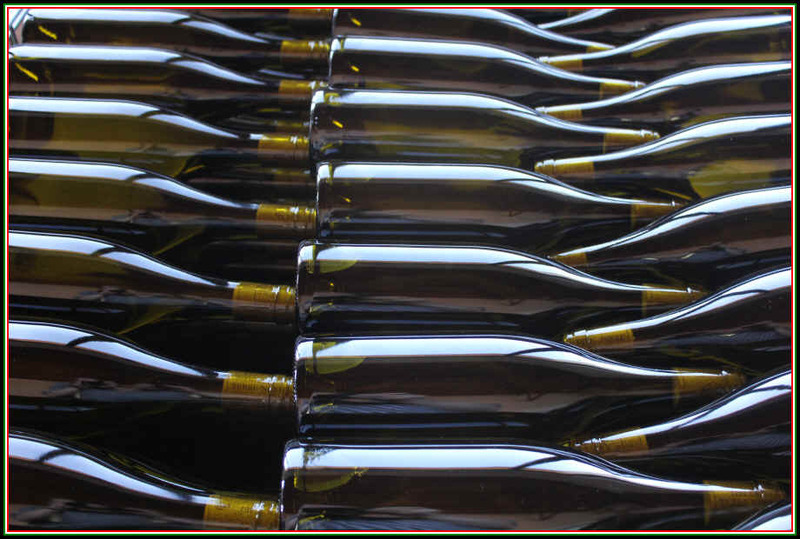 In the modern era, the first wine was bottled in the early 1990s and the US was their first customer. 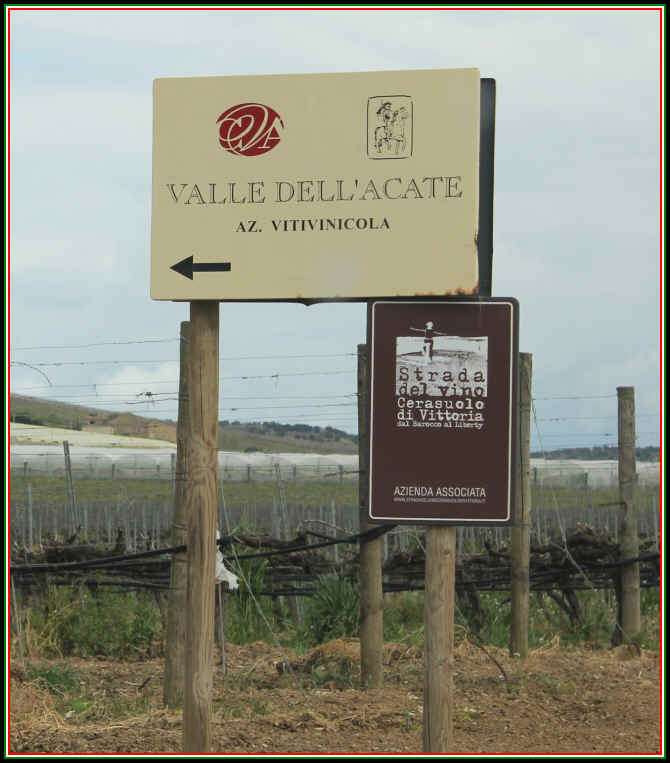 Today Valle dell'Acate wines are sold in Canada, Brazil, Japan, China, Australia and in various European markets. The estate comprises something like 110 hectares and they make maybe a half a million bottles we're told. 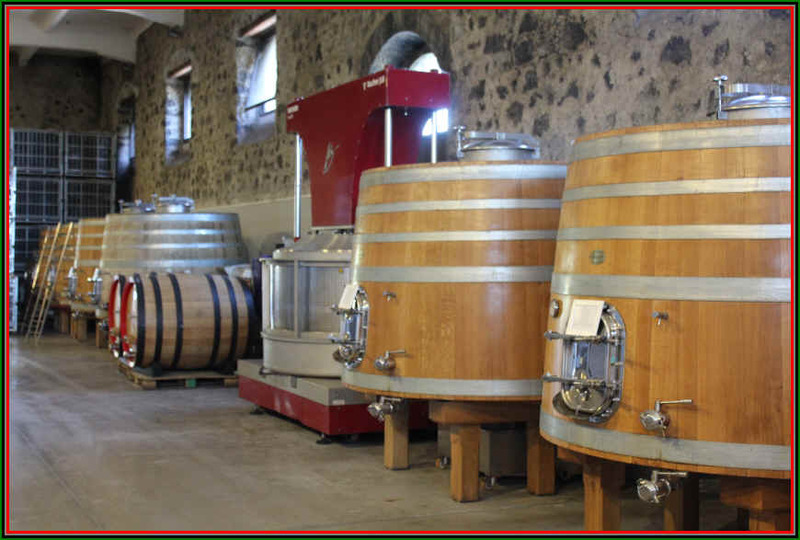 In 2001 they built their barricaia for the oak cooperage of which you'll find barriques, tonneaux and large vats. 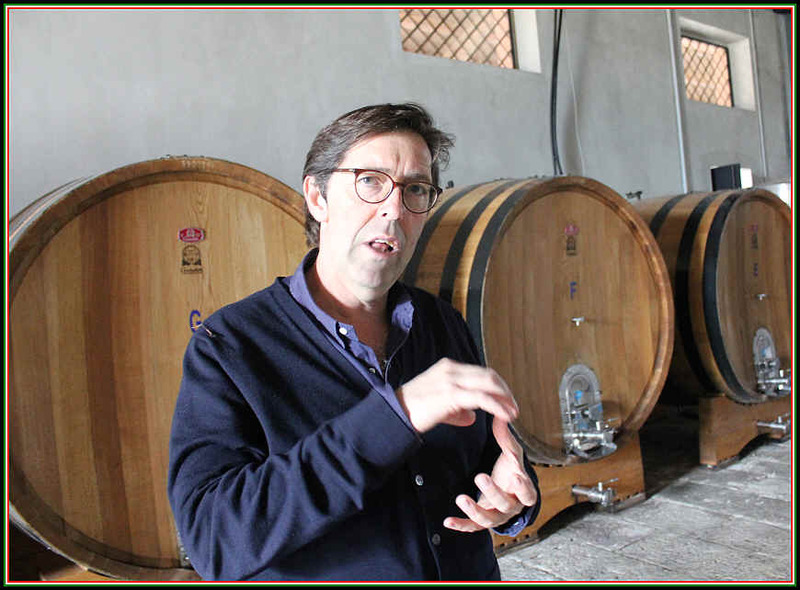 Francesco told us "We don't want too much wood on the wines and typically emply the oak for Chardonnay and a part of the Nero d'Avola production." 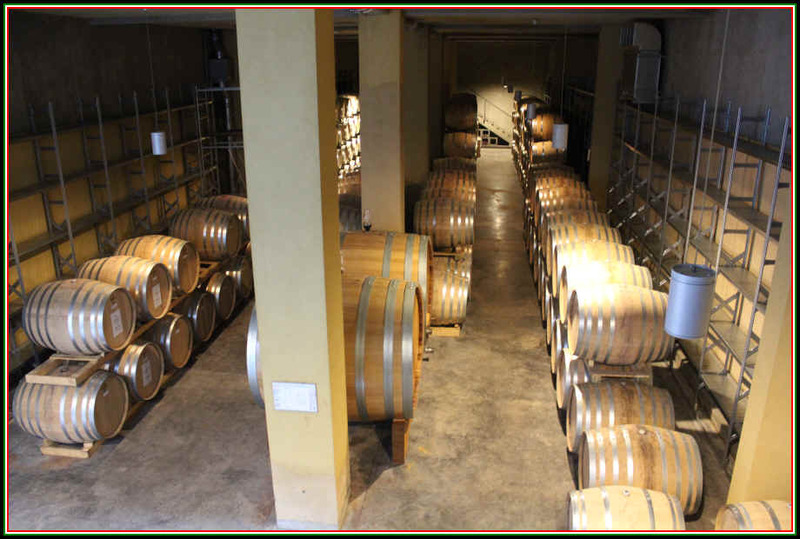 We should note that, in our view, their "Bidis" Chardonnay usually has more wood than you can shake a stick at...Lots of coconut tones and they have a good following for that wine. 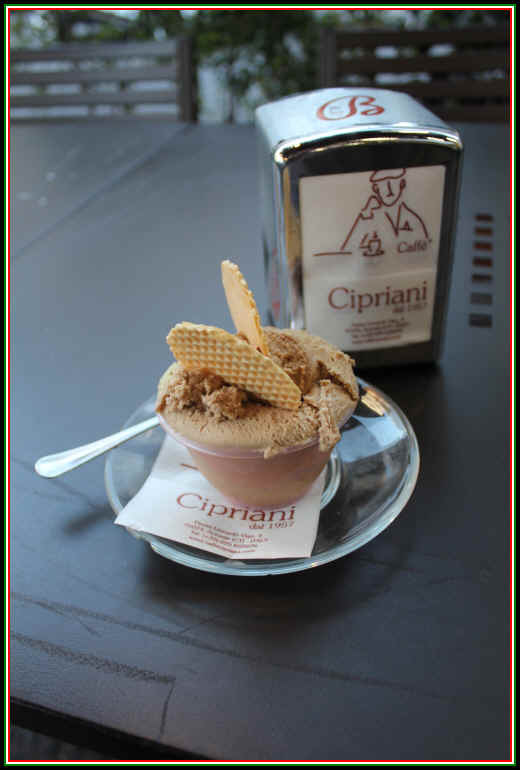 The Frappato here is often quite good. Cerasuolo di Vittoria is also pretty good. They make a wine called "Il Moro" that's Nero d'Avola in stainless steel...Syrah is a work in progress, but heading in the right direction. 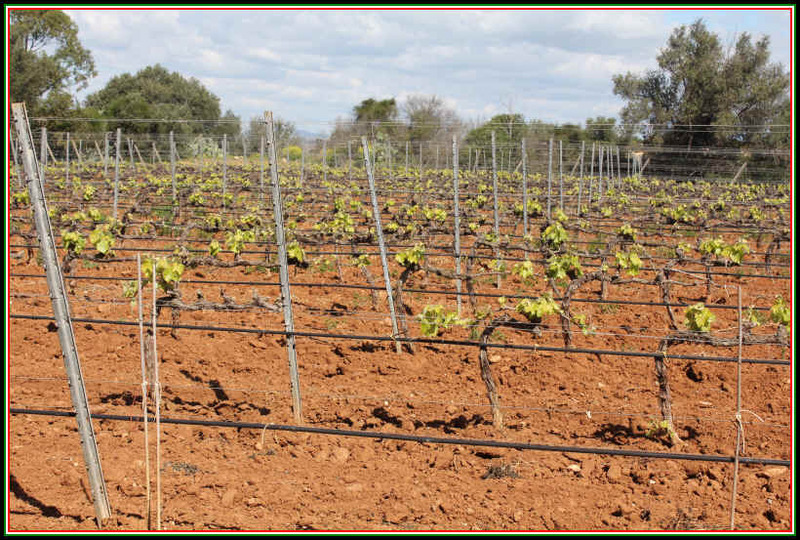 Tan� is a powerful, ripe version of Nero d'Avola and it sees about a year in French oak. The wood is certainly prominent but the fruit seems up to the task of balancing. They sometimes offer a Limited Edition bottling of Il Moro, a rather woody version of Nero d'Avola. We usually have had their Case Ibidini Nero d'Avola in the shop. This wine sees no oak and it's vinified to be drinkable in its youth. We suggest serving it lightly chilled, as the wine doesn't have much in the way of tannin. The wine is an easily drinkable, simple style of Nero...medium bodied. The old winery facility is now a sort of museum and a party venue. 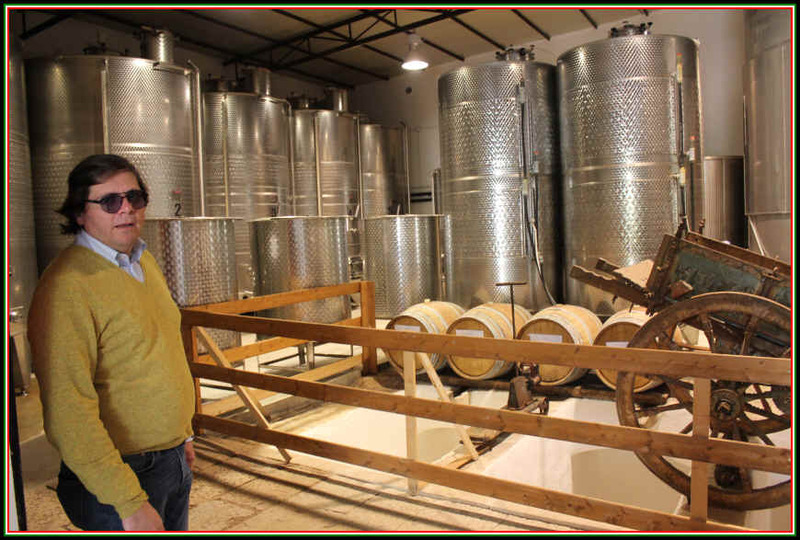 The Gulfi winery was powered by the late Vito Catania, who passed away in May of 2017. Vito's Pop, Raffaele, uprooted the family after World War II and took them to Paris...And the family moved back to Sicily when Vito was 20 years of age, so he had a chance to appreciate the wines of France. Catania worked in Milano and had some sort of business selling lubricants for machinery...his background was chemistry but he always loved wine. He teamed up with a prominent enologist; a fellow named Salvo Foti. Foti is generally well-respected though he's apparently a bit demanding and some say "difficult." But there's no denying Foti has helped put the Gulfi winery in the map. They started in the mid-1990s with vines around the winery. 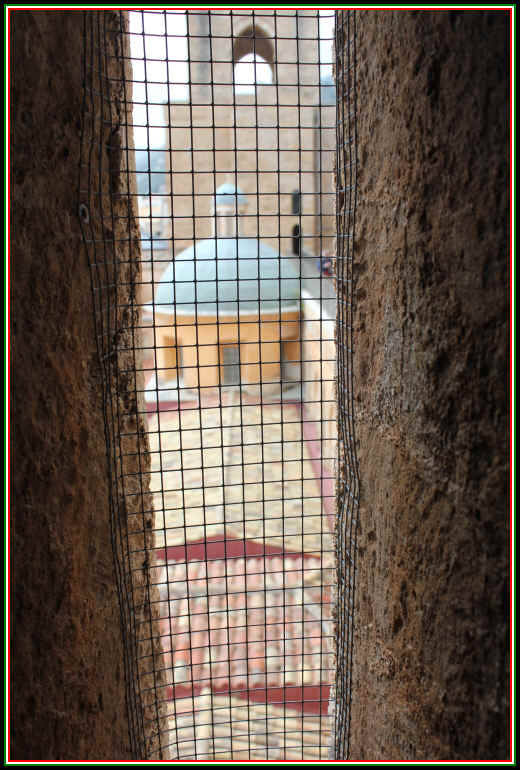 That's in the provincia of Ragusa in Chiaramonte Gulfi. It's within the delimited area for the wine called Cerasuolo di Vittoria. There they grow Nero d'Avola and Frappato. Vittoria, by the way, was the Duchess Victoria Hernandez. She helped develop the region and the town that bears her name. The first settlers there were given a hectare of land provided they planted grapevines. Gulfi is on the Iblei hillside...so their microclimate is different from those nearer to Vittoria where the land is more flat. We were told the first vintage was 2000 and in 2009 they added a hotel and fancy restaurant. 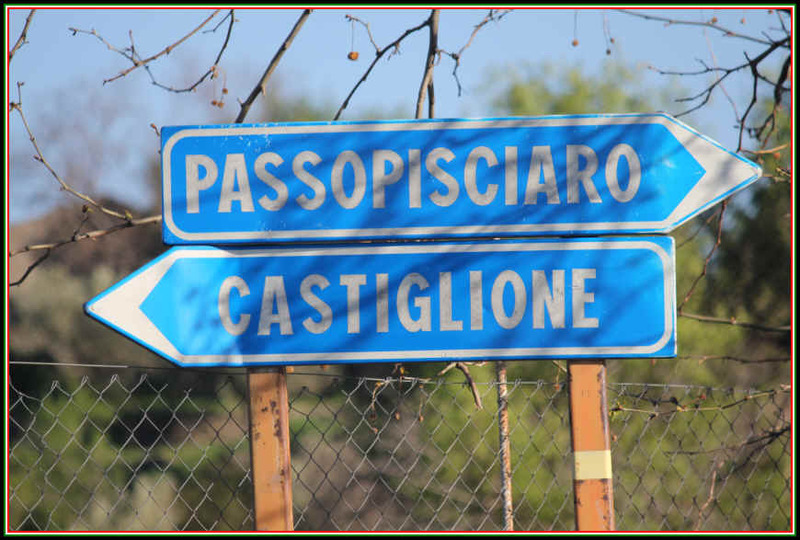 Foti pushed for them to invest in vineyard land in the Pachino area, southeast of the winery where they have four contrade or vineyard sites. And being a fanatic for the vines and wines of Etna (to the north). 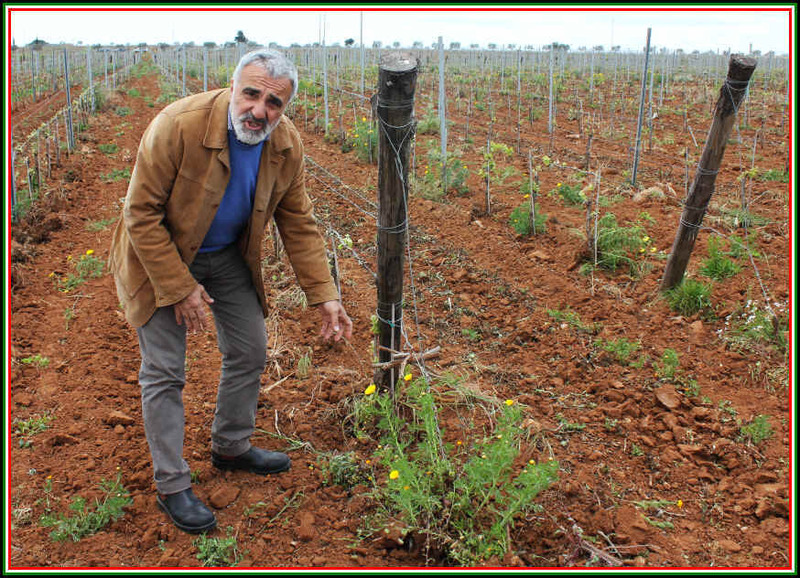 Foti got the Catania family to invest in vineyards. 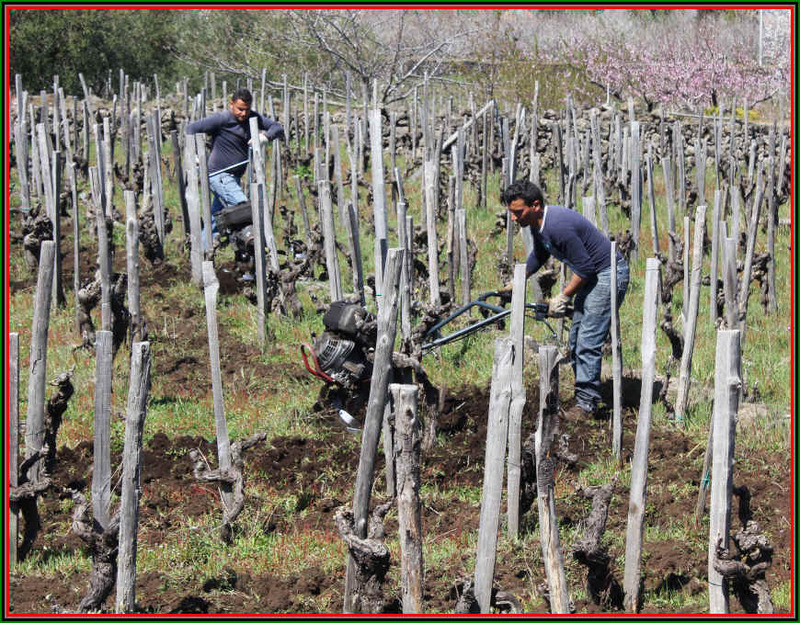 Nerello Mascalese for their Etna wine but they also planted some Pinot Noir there. 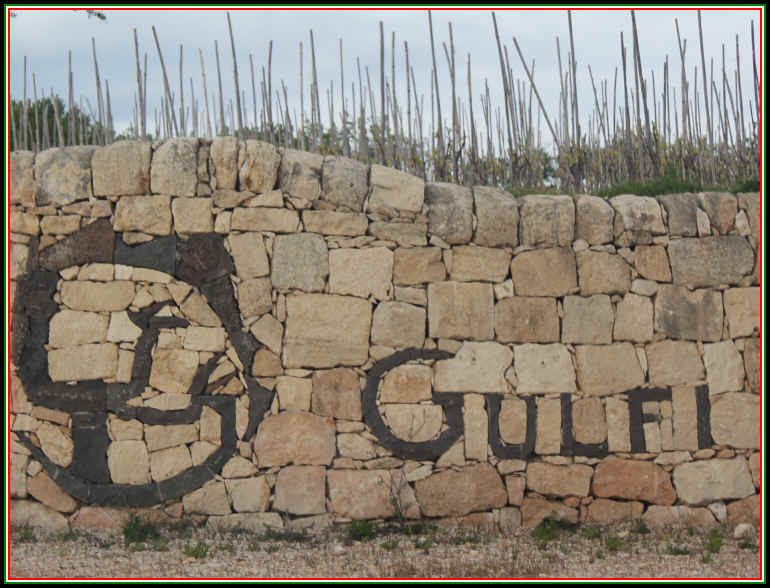 Today Gulfi comprises close to 70 hectares of vineyards in its several vineyard areas. An expert in the lands of Pachino guided them to some interesting sites. 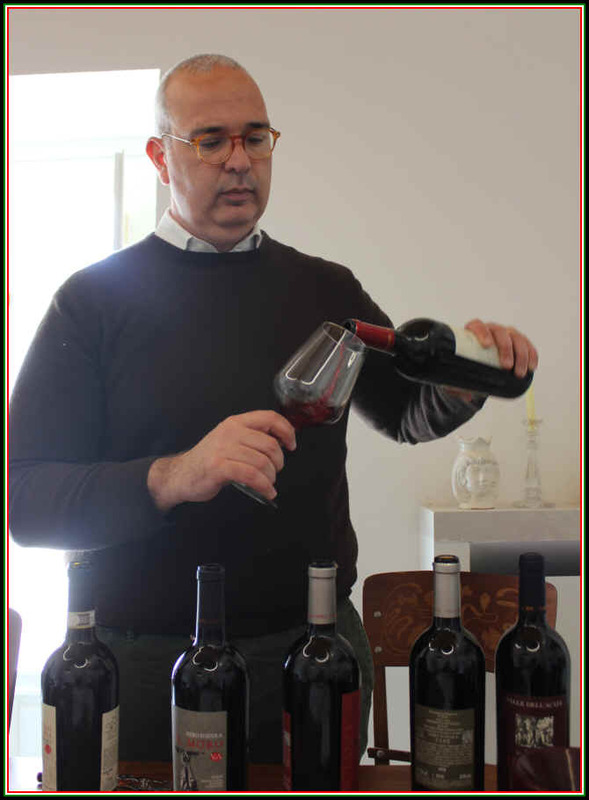 Mateo Catania explains that the grape varieties are not shown on bottles of Chianti Classico or Barolo and so they choose to call these special Nero d'Avola wines with names such as Maccarj, Bufaleffj, Baronj and Sanlor�. The idea is, as you might imagine, to showcase the vineyard site as they feel each produces a decidedly different Nero d'Avola. We tasted through the range of wines and they are all good. Each "level" is spot on. The various "cru" wines of Nero d'Avola are also impressive. The Baronj comes from chalky soils and is quite elegant...lovely aromatics and moderately tannic. The Catarratto grape has typical been employed as a blending variety, though if you look hard enough, you may find a wine that's entirely or mostly Catarratto. If you find the Contea di Sclafani wine in white, that's made of Catarratto. Some Alcamo wines, too. 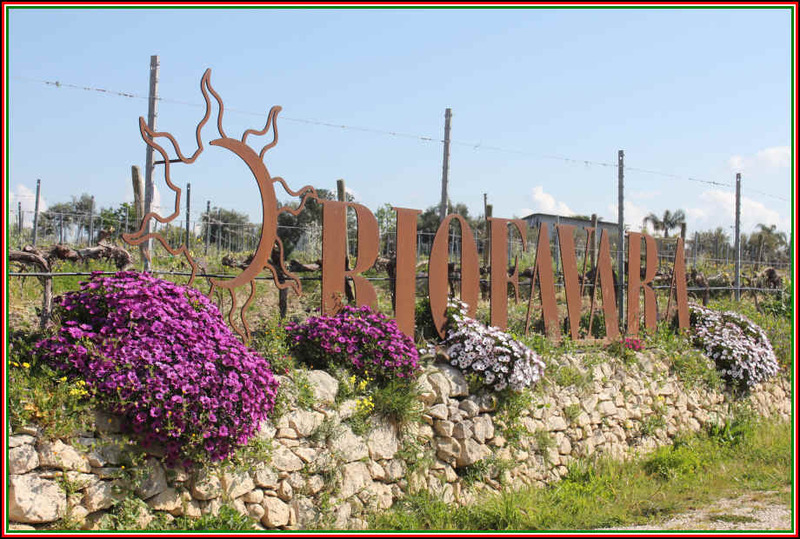 Ever heard of Santa Margherita di Belice? 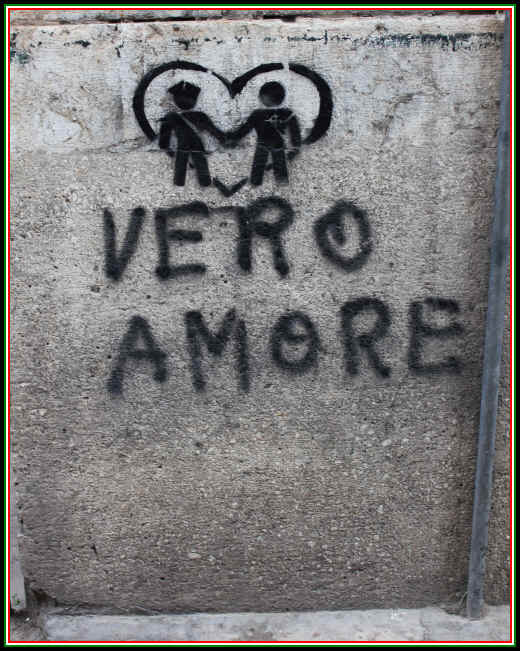 Monreale? There are sometimes varietal bottlings of Catarratto there, too. 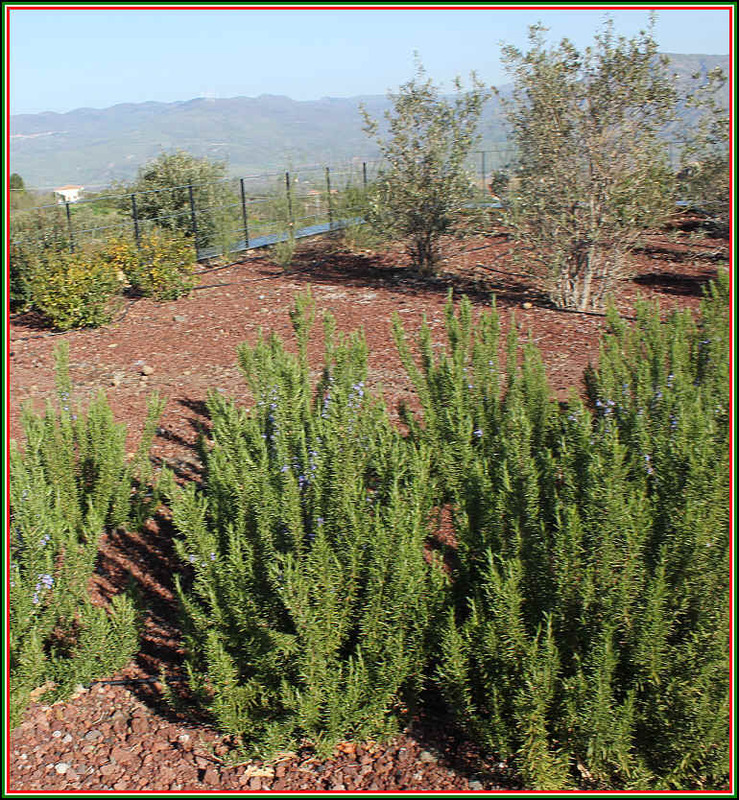 It's a variety that's widely planted around Sicily. As of the 2010 census, Catarratto is the fourth most widely planted grape in Italy! It's behind Sangiovese, Trebbiano and Montepulciano, ye you'll more easily find wines made of those than you will Catarratto. We understand the grape may have some relationship to the Venetian variety used to make Soave wines, Garganega. At a trade tasting in Verona in 2017 we were trying to wrap up our sampling of wines and there was the stand for this producer by the exit, so we stuck out our glass and asked for a pour. Wow! The wine was electric in its crisp acidity. Great perfume, too. Melon/peach notes. In 2018 we saw the fellows from this winery and again had a taste...still pouring the 2016 and it was delicious. A few cases of this obscure bottling made it to the West Coast and we snagged some bottles. 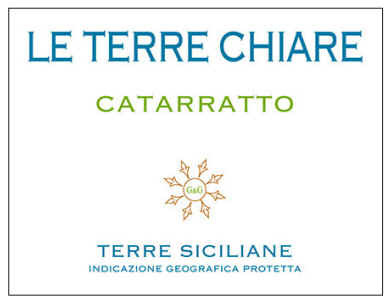 The wine comes from a 5 hectare site in the provincia of Trapani. Five hundred meters above sea level. It's dry and reasonably crisp...perfect for seafood, so pair it with Rex Sole, Sand Dabs, etc. That's Etna blowing off some gas in the background. In Palermo one Sunday afternoon.